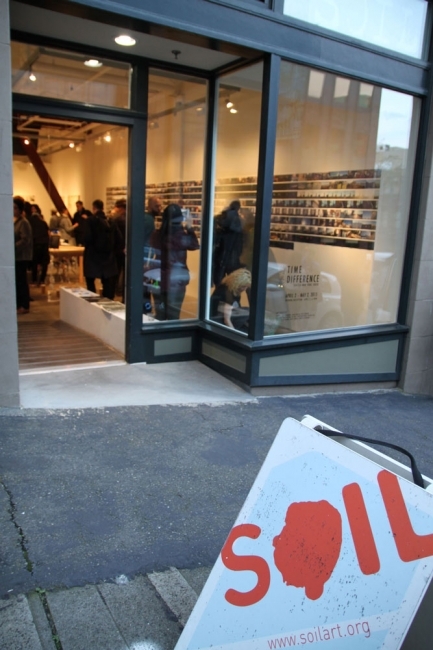 *Admission until 30 minutes before closing. 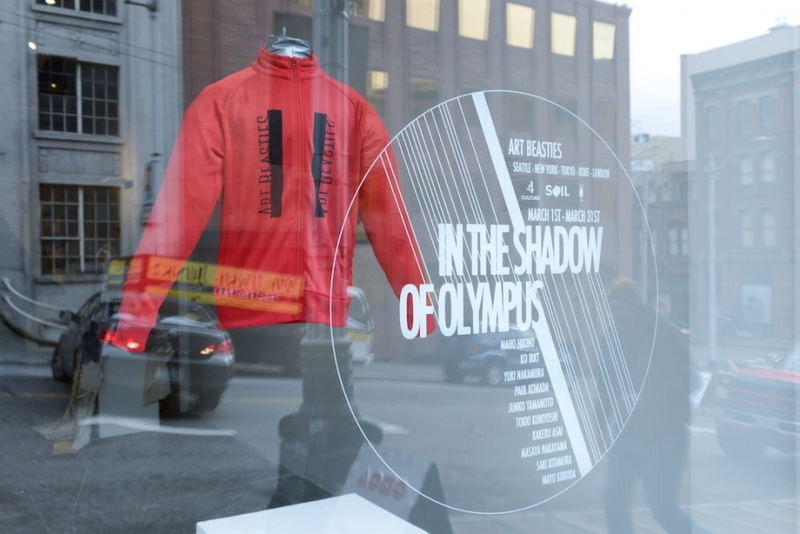 The group exhibition titled In the Shadow of Olympus will be held in March 2018 at SOIL Gallery. 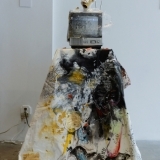 Less than a second later the flame was extinguished in Rio de Janeiro, the machination of Olympics has commenced its tumbling journey aimed toward Tokyo. 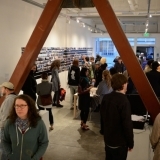 If there was a straight flight path connecting the two cities, the airplane would fly over Seattle with a payload of extreme anticipation and anxiety. 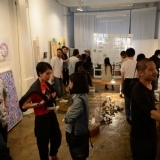 The exhibition would revolve around the idea of politics, economy, history, and the symbology of the long standing global ceremony. 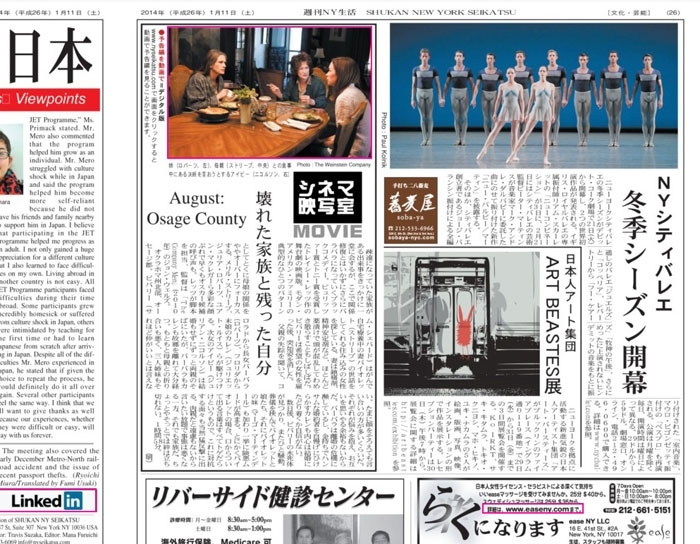 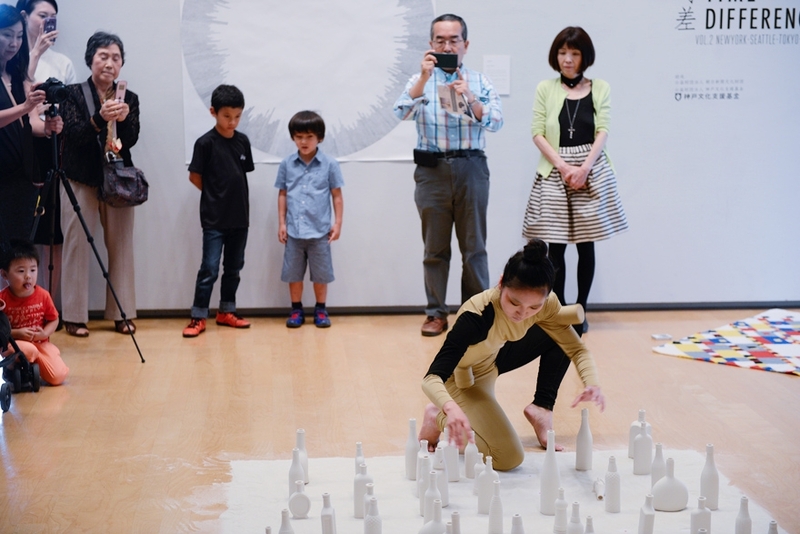 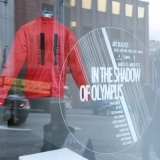 The forthcoming Tokyo Olympics preparation and promotion will be examined from the point of view of Japanese artists with various sentiments ranging from: positively enthusiastic to pessimistically dystopian. 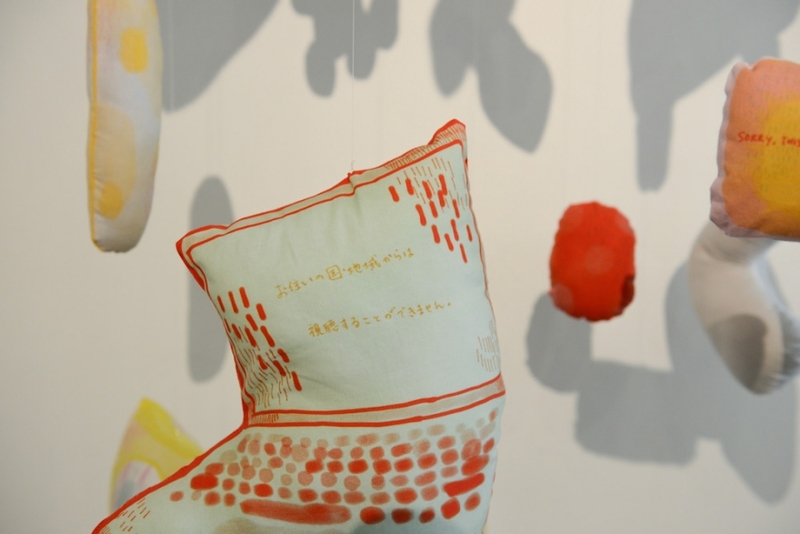 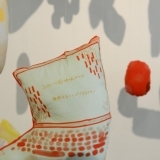 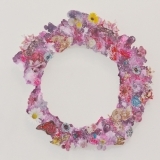 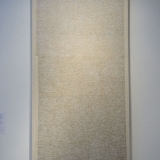 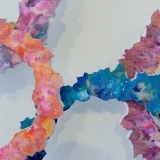 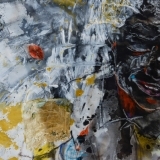 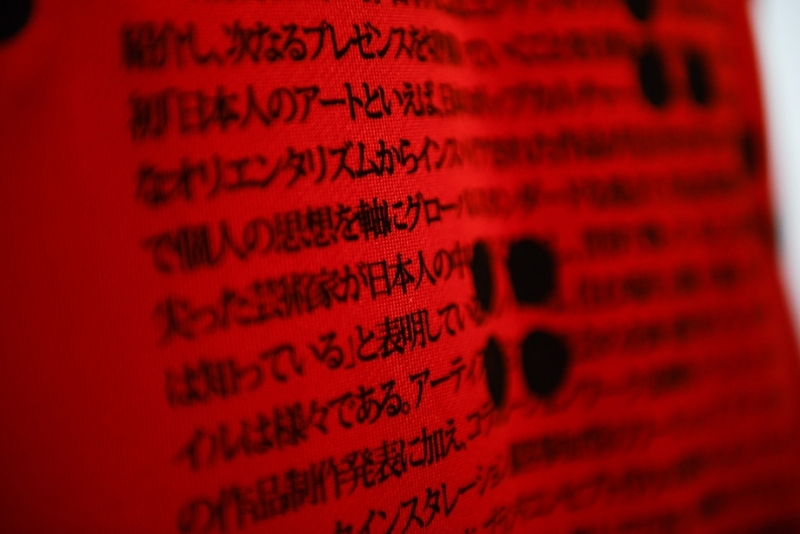 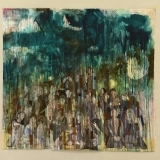 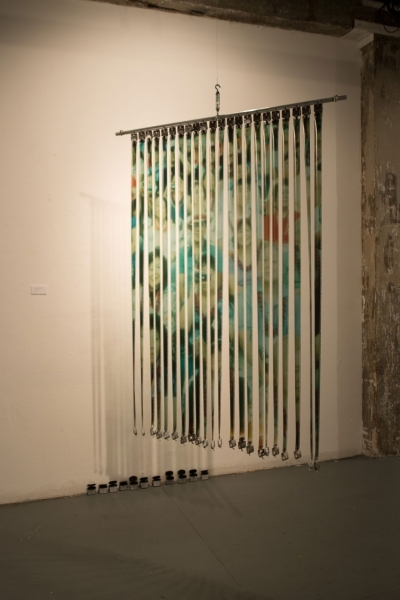 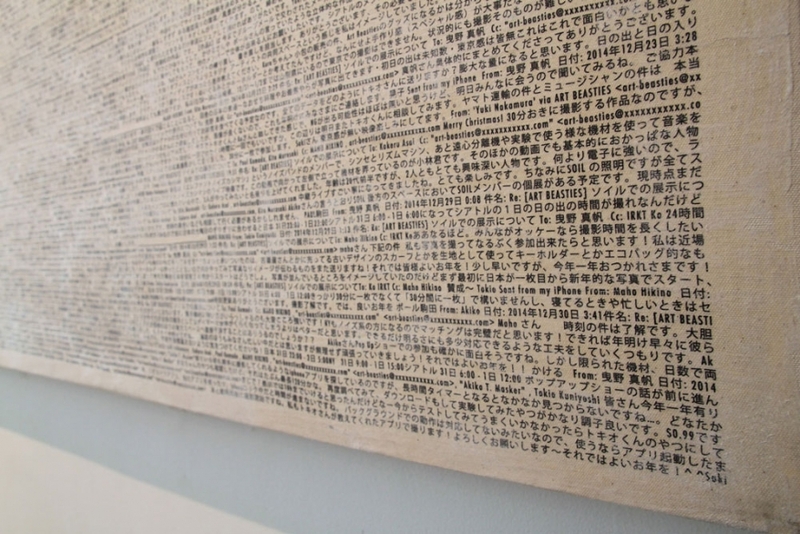 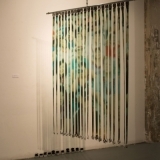 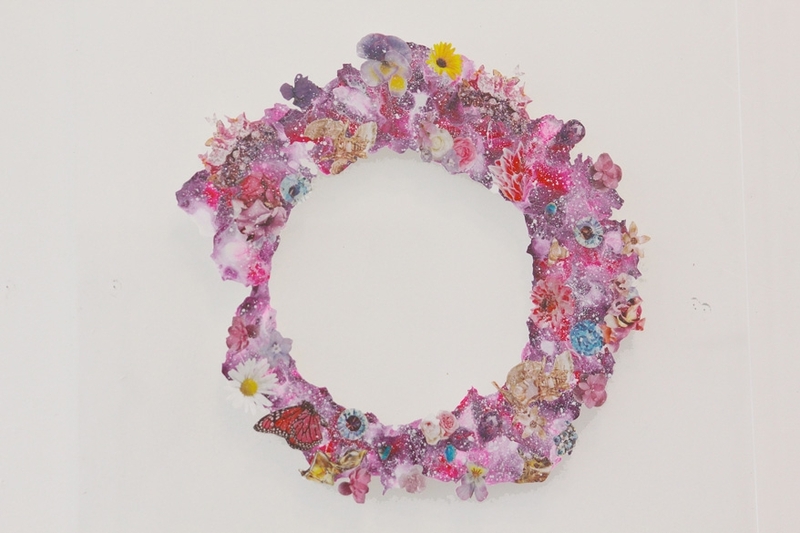 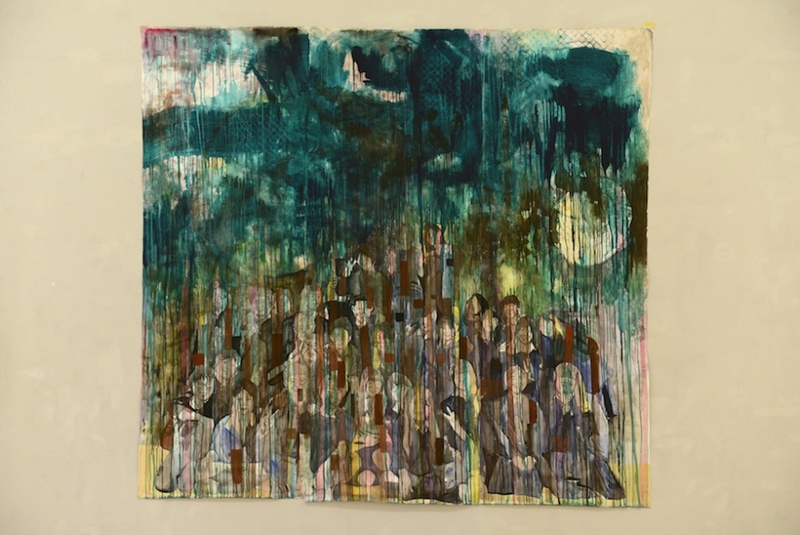 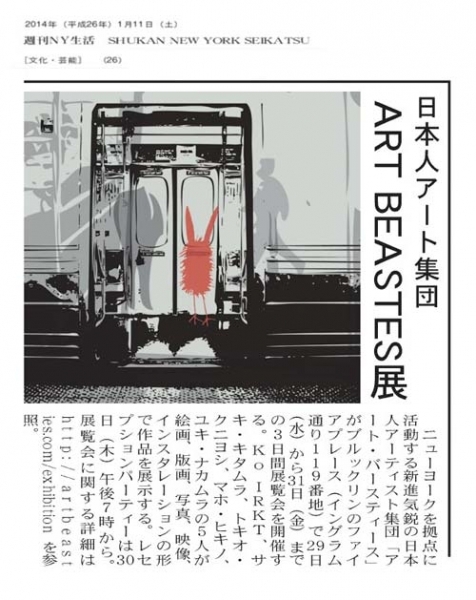 The participating artists are members of Japanese artist collective, Art Beasties based in Seattle, NY, London and Tokyo. 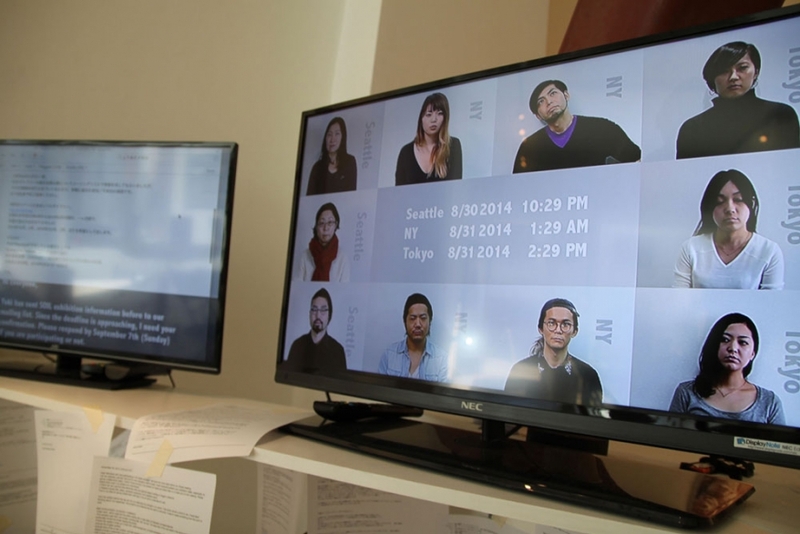 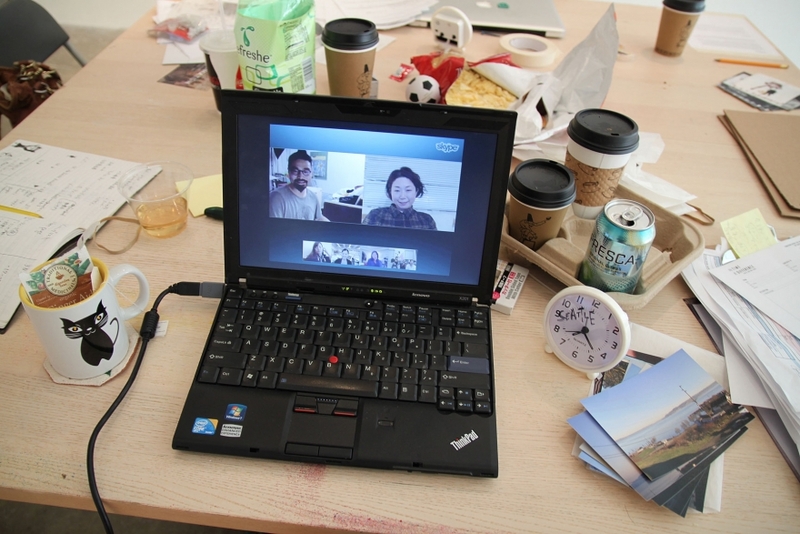 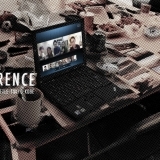 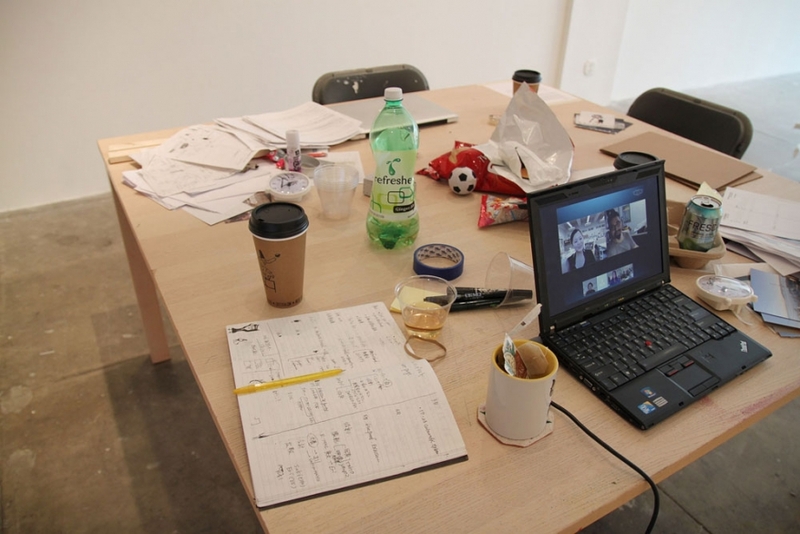 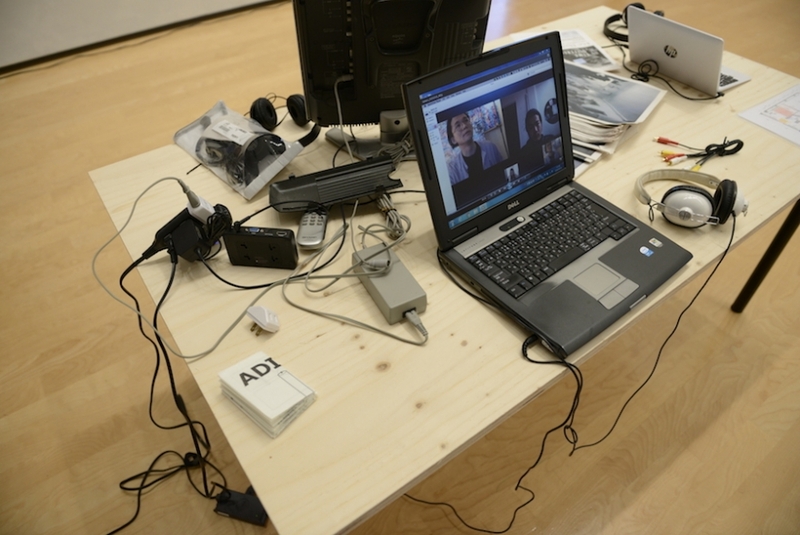 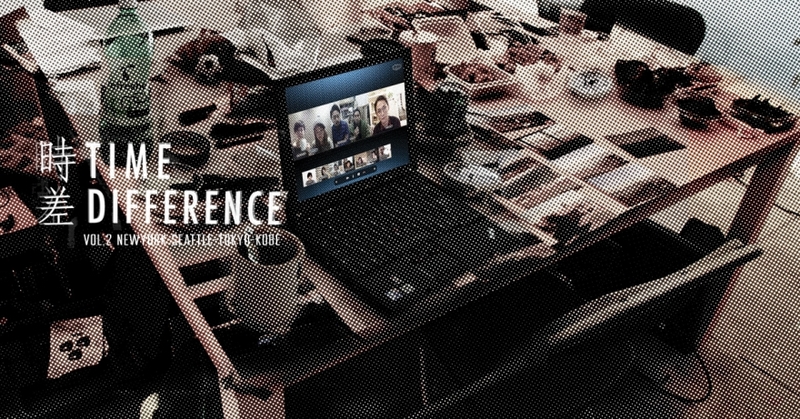 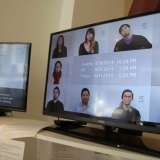 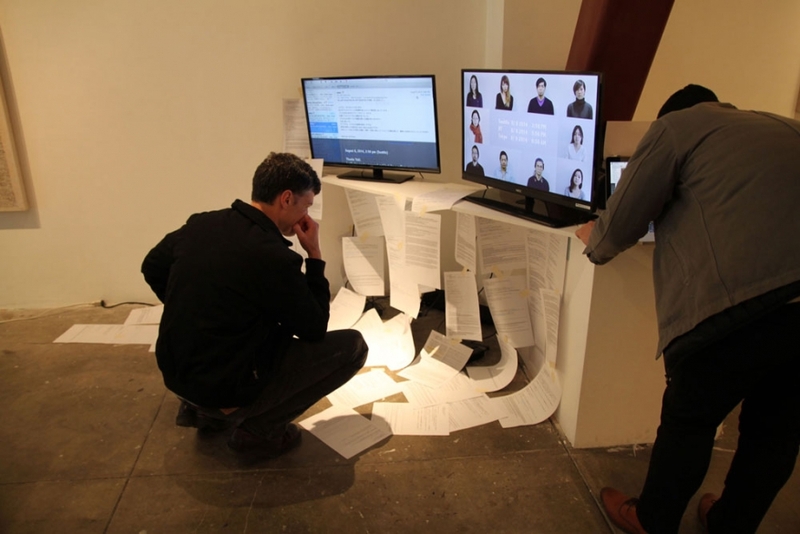 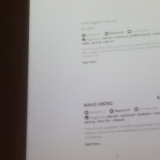 The group members frequently engage each other intersecting multiple time-zones through Skype meetings, in order to shape and advance the projects. 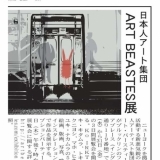 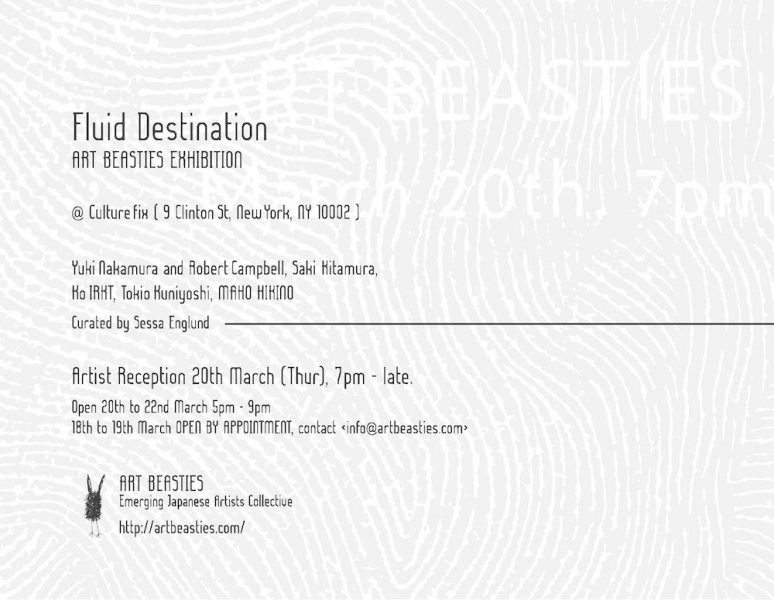 ART BEASTIES is a Japanese artist collective based in New York City. 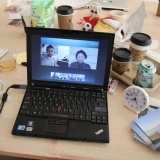 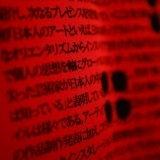 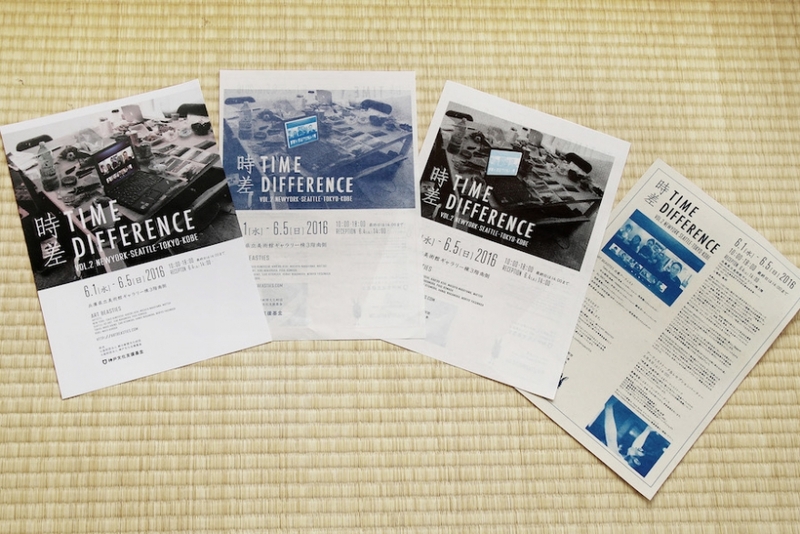 We live in different time zones; NY, Seattle, Tokyo and Kobe; we communicate online and some of us never met in person. 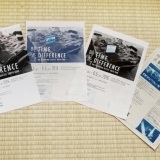 Starting off from experiencing somewhat counter-intuitive and awkward moments created through E-mail, Skype or SNS communication between three time zones, we explore the gap in our perception of time in the different time zones. 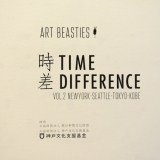 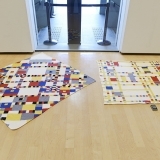 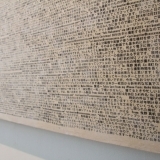 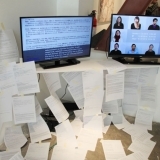 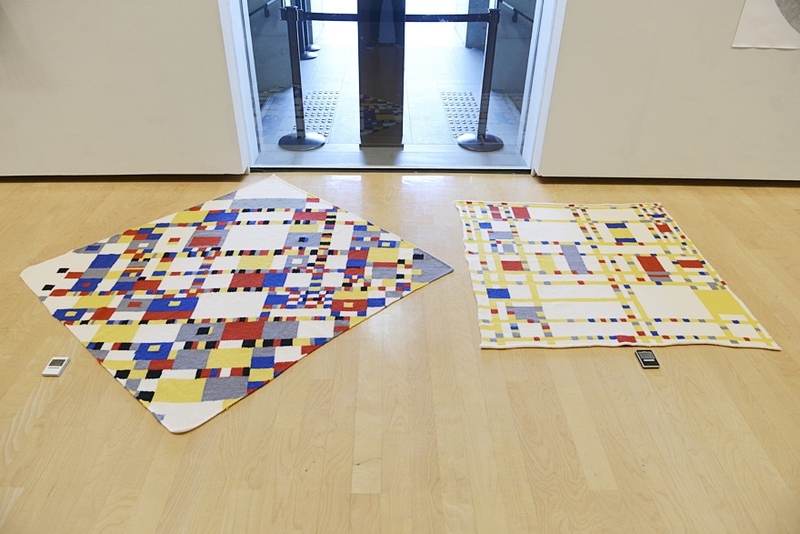 The Art Beasties members investigate new discoveries and possibilities that miscommunications; time lag, digital glitch and cultural and linguistic context would create the process. 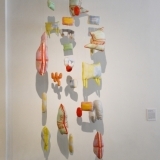 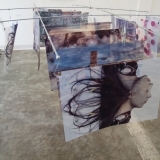 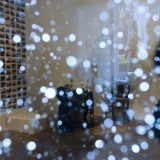 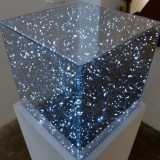 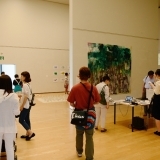 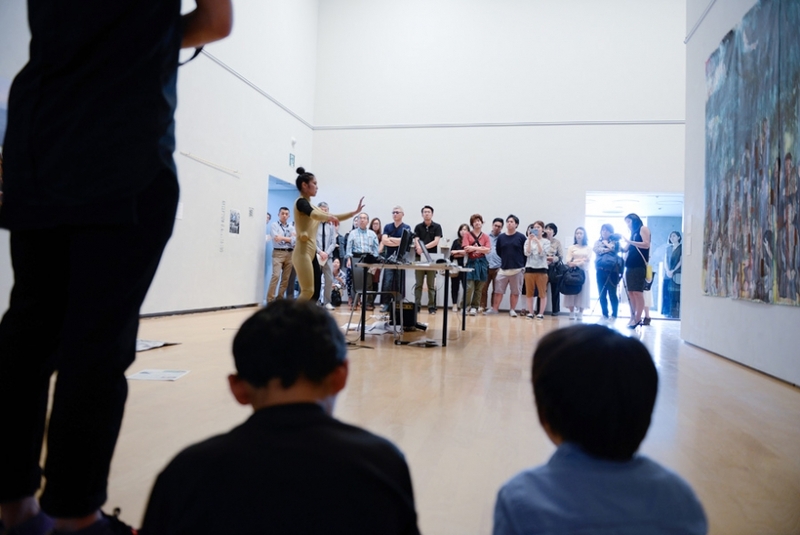 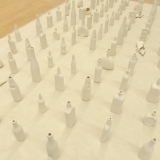 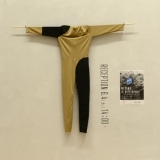 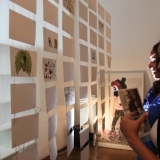 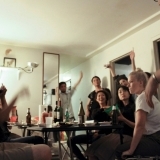 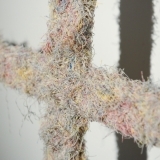 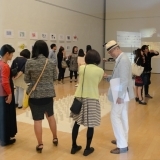 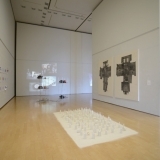 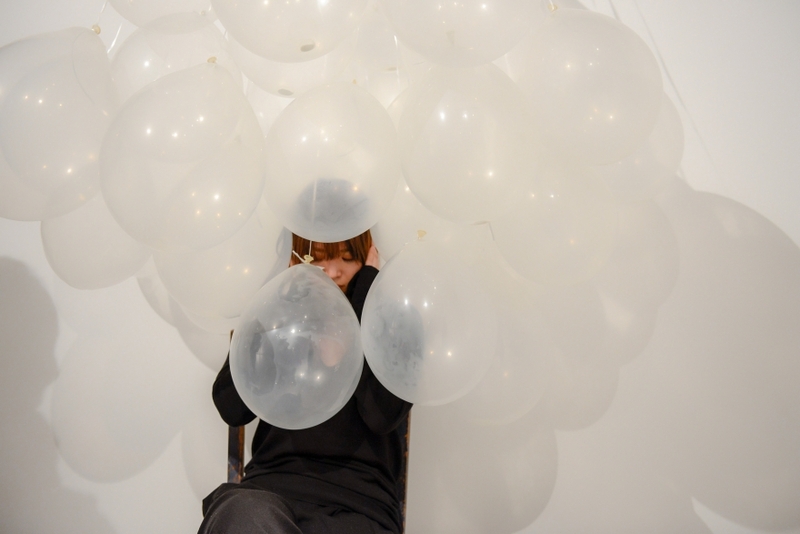 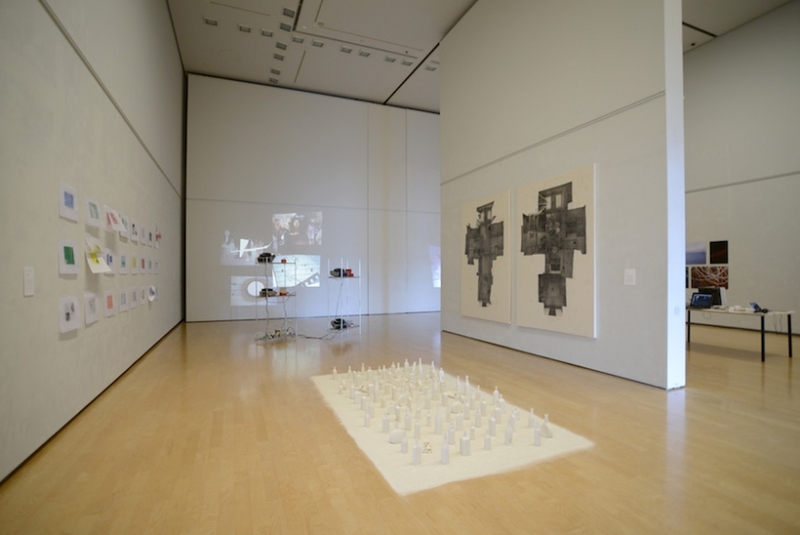 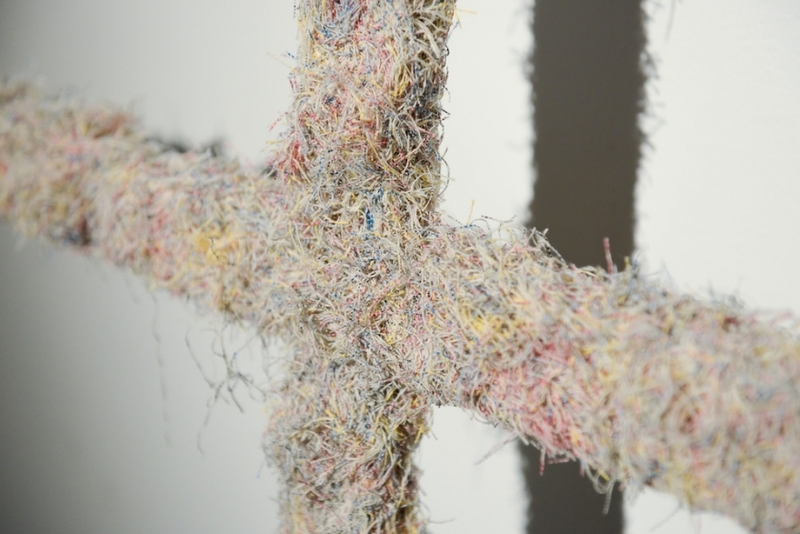 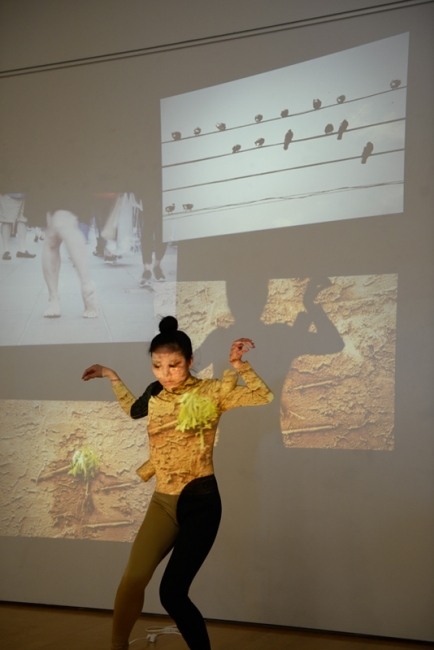 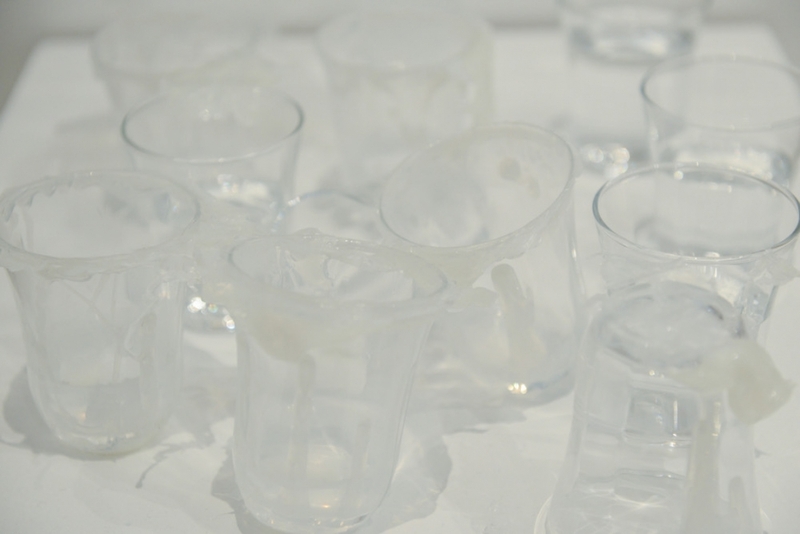 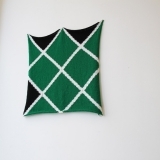 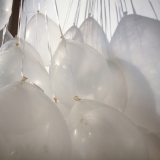 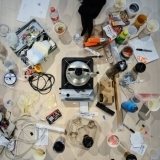 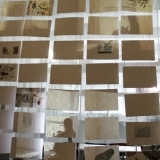 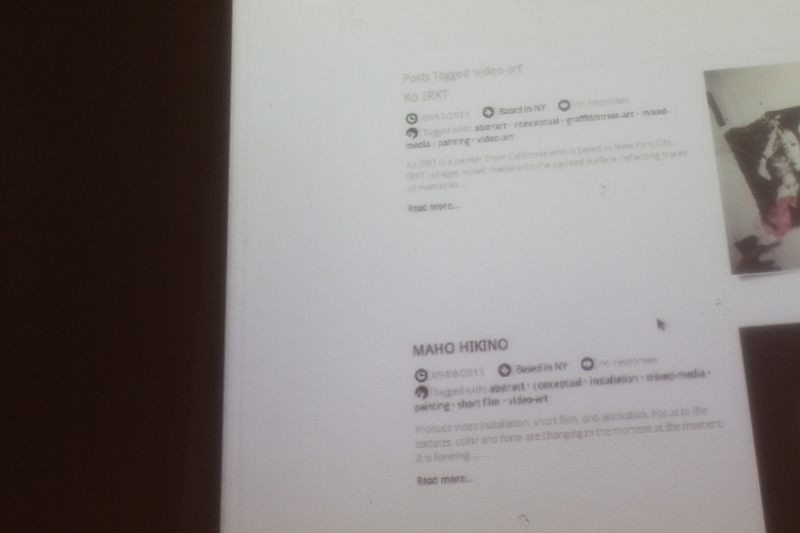 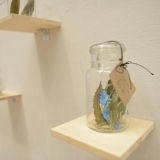 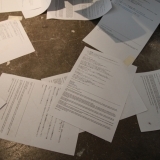 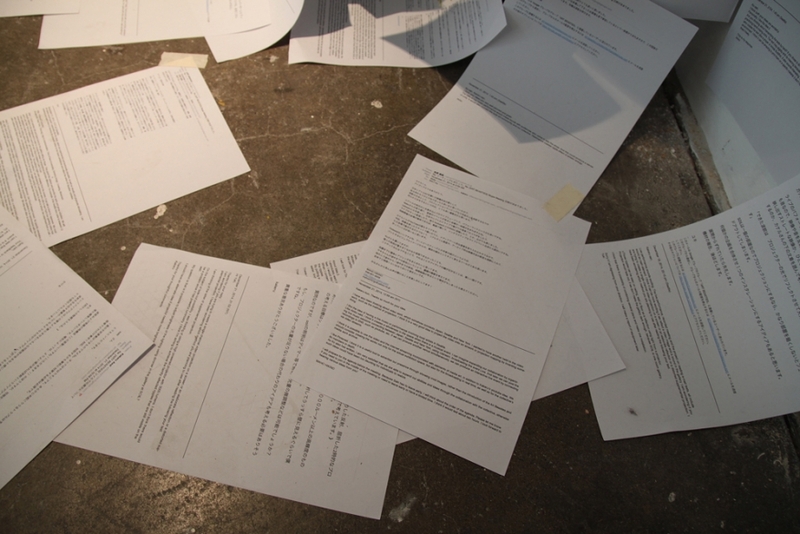 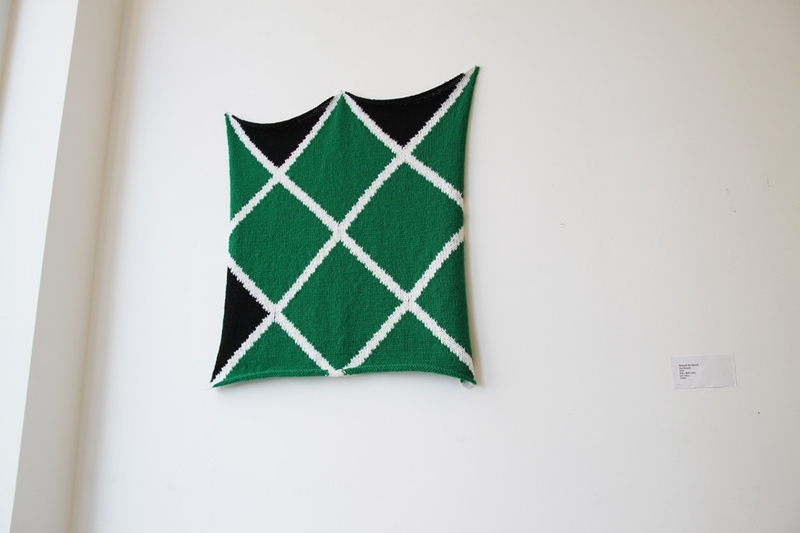 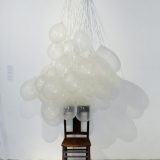 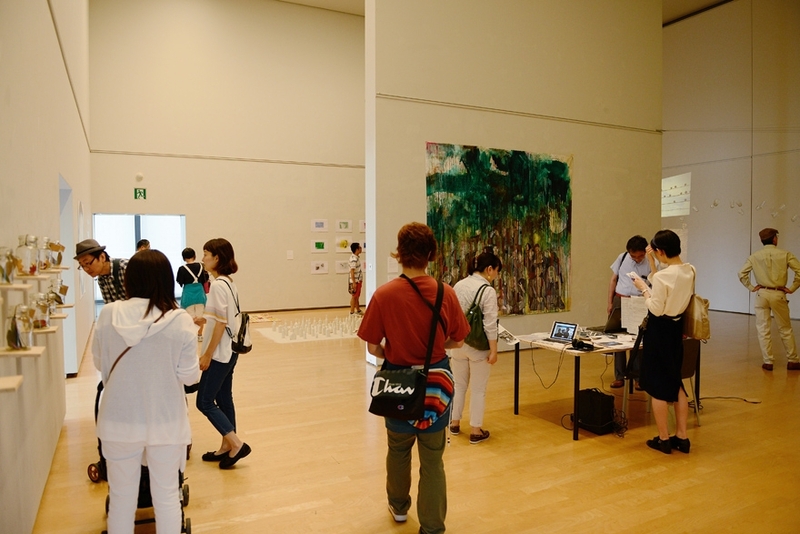 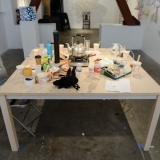 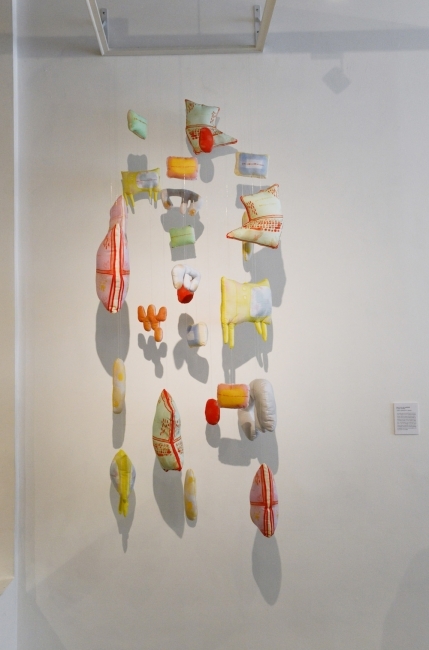 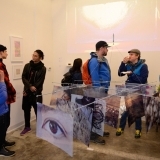 The projects include painting, photography, printing, sculpture installation, video installation, clothing, knitting and contemporary dance performance. 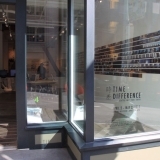 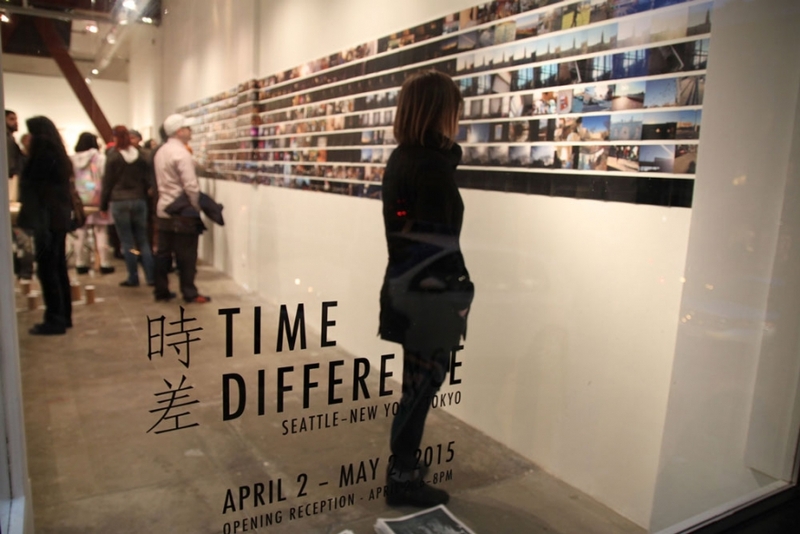 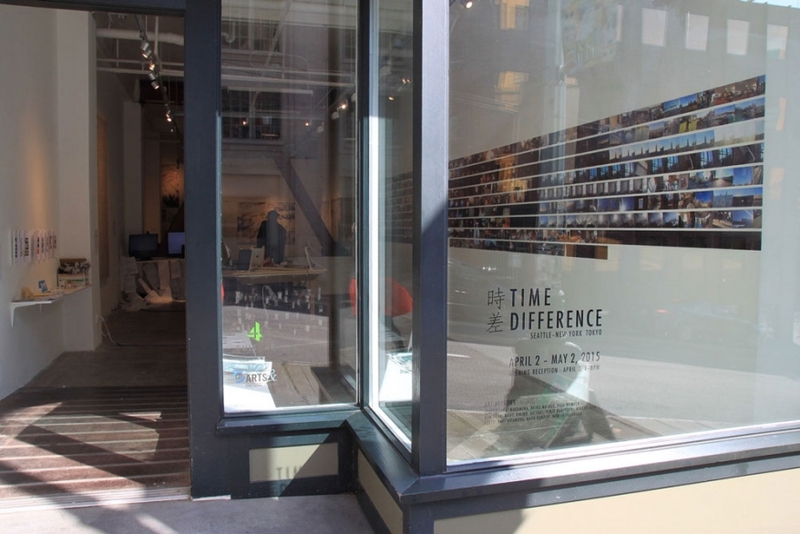 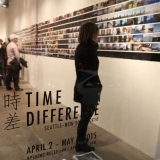 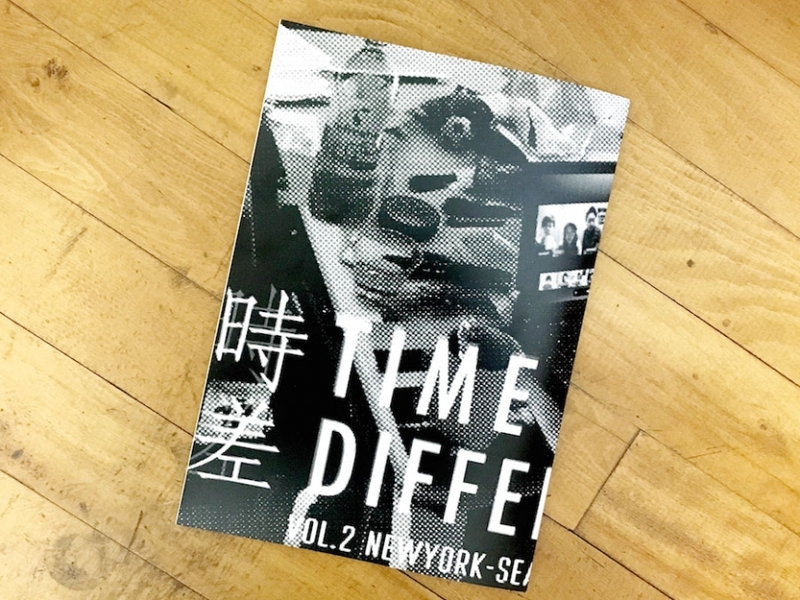 Time Difference is our first collaboration between the members exploring time, locations, and surroundings from various perspectives. 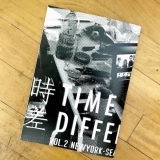 We live in different time zones, countries and cities; we communicate online and some of us never met in person. 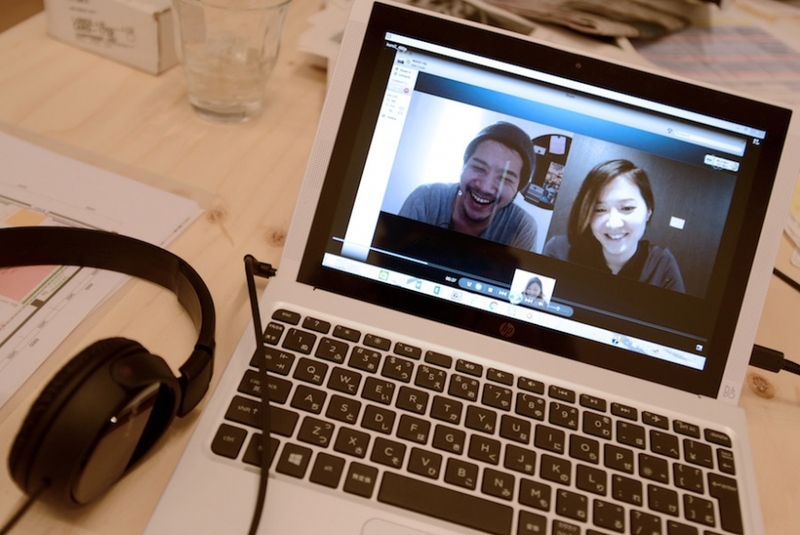 Starting off from experiencing somewhat counter-intuitive and awkward moments created through Skype communication between three time zones, we explore the gap in our perception of time in the different time zones. 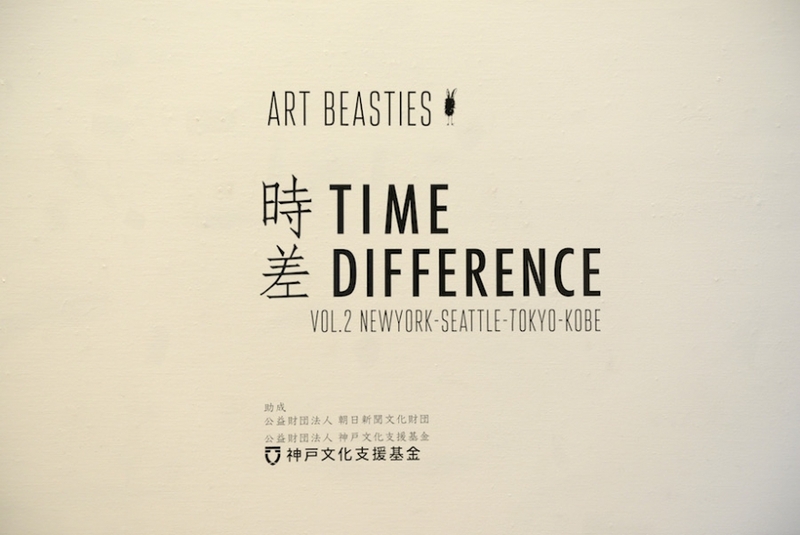 The Art Beasties members investigate new discoveries and possibilities that real-time, time lag, digital glitch and cultural and linguistic context would create the process. 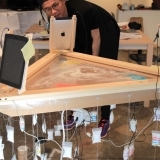 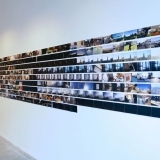 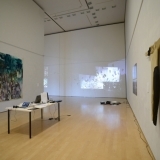 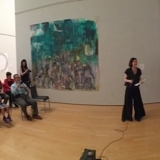 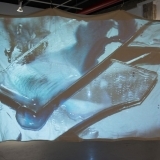 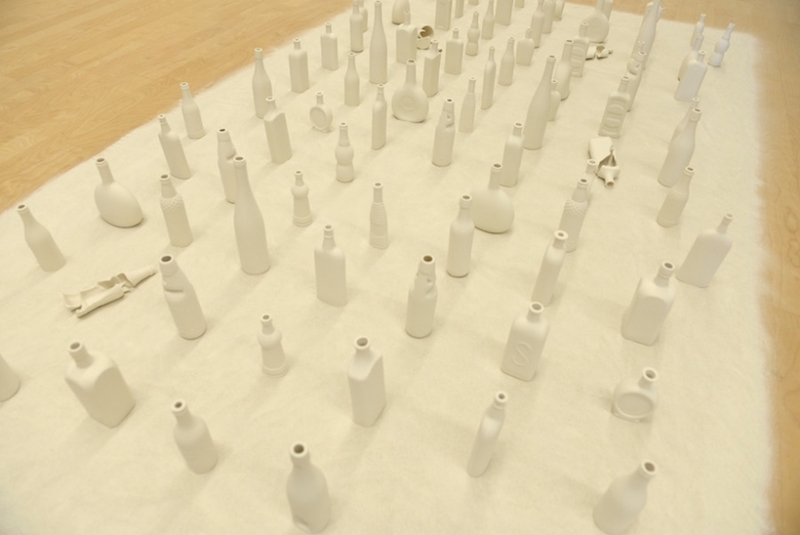 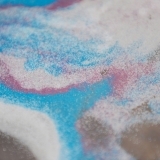 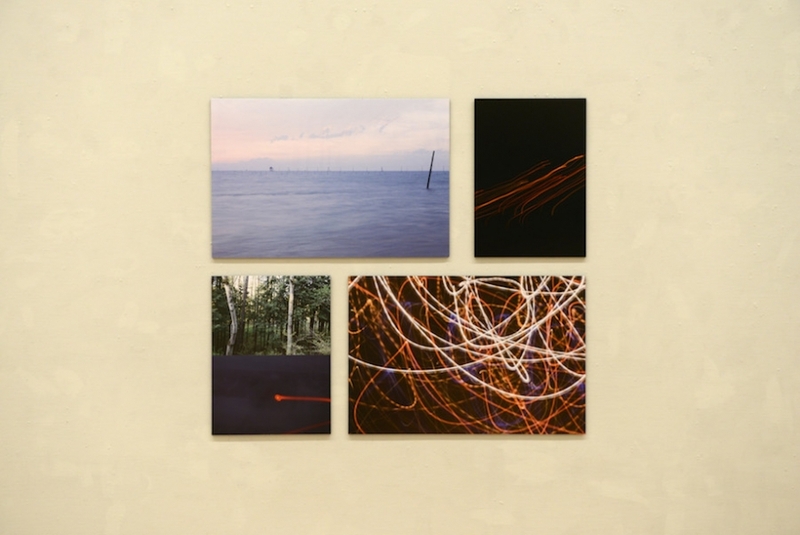 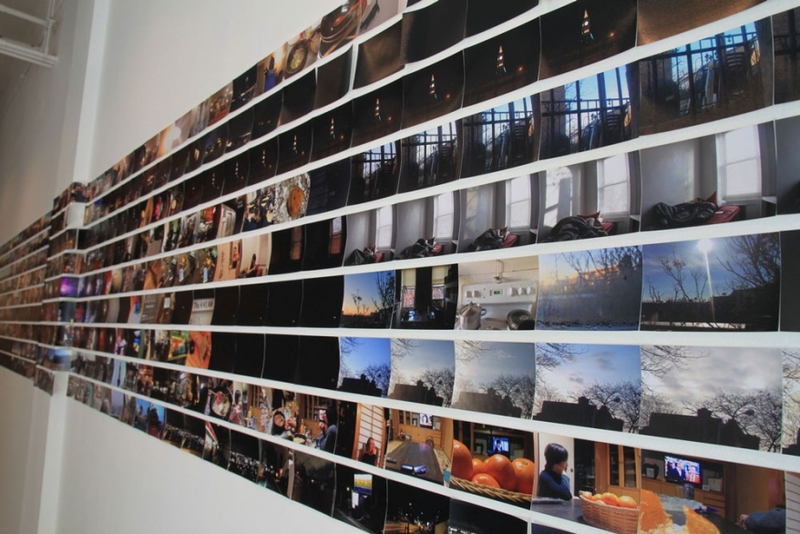 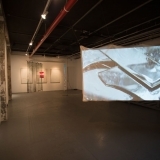 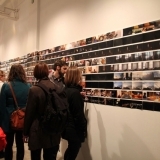 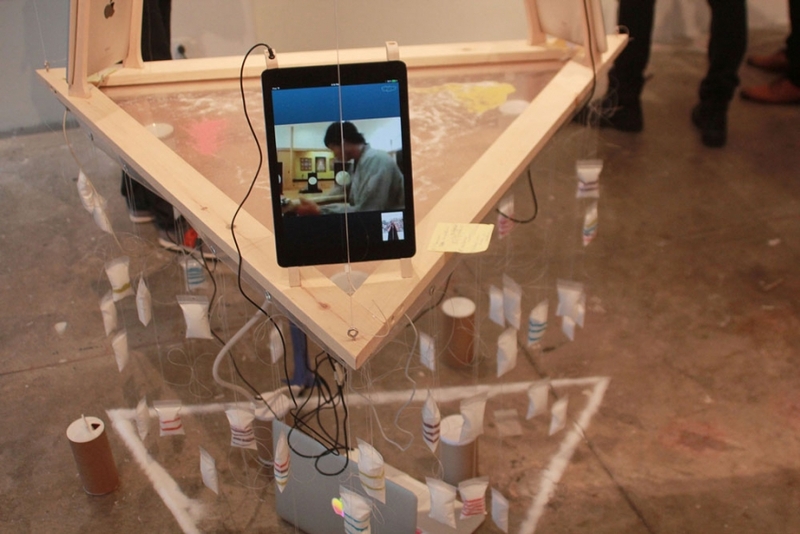 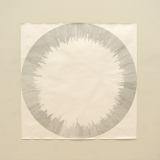 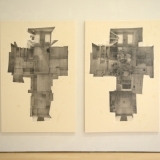 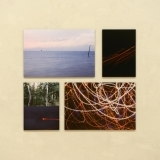 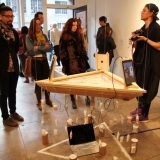 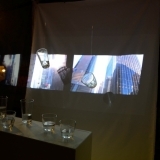 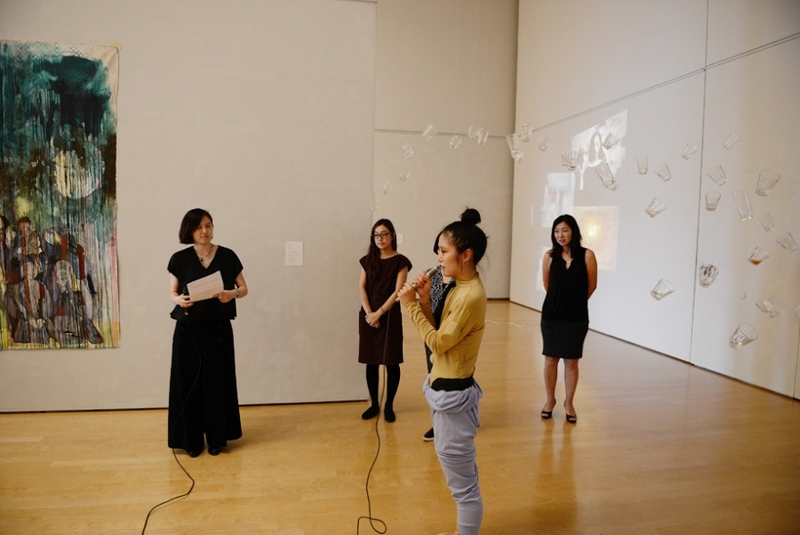 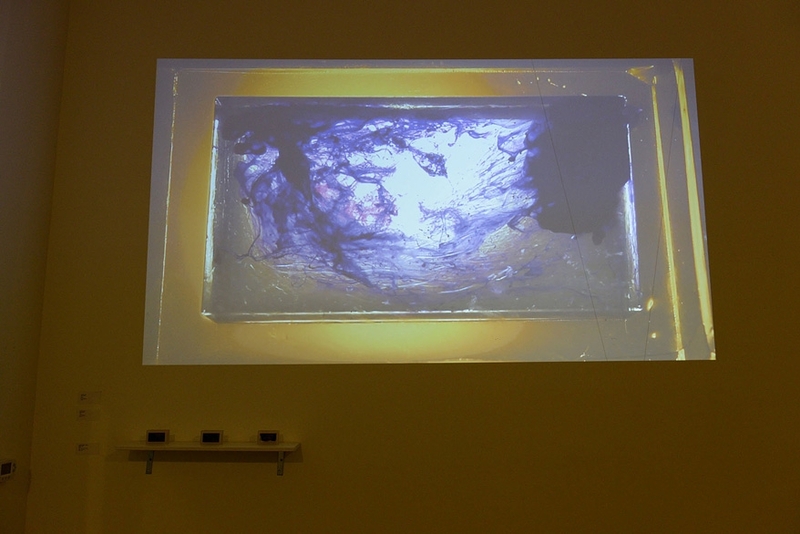 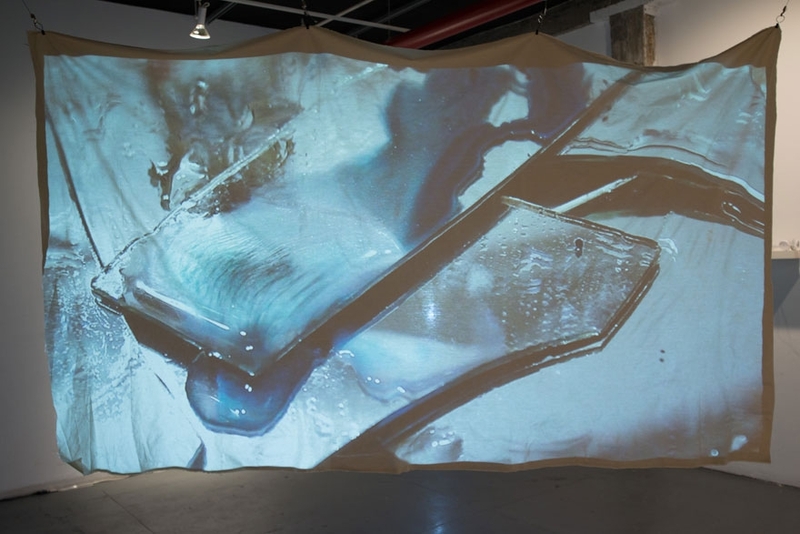 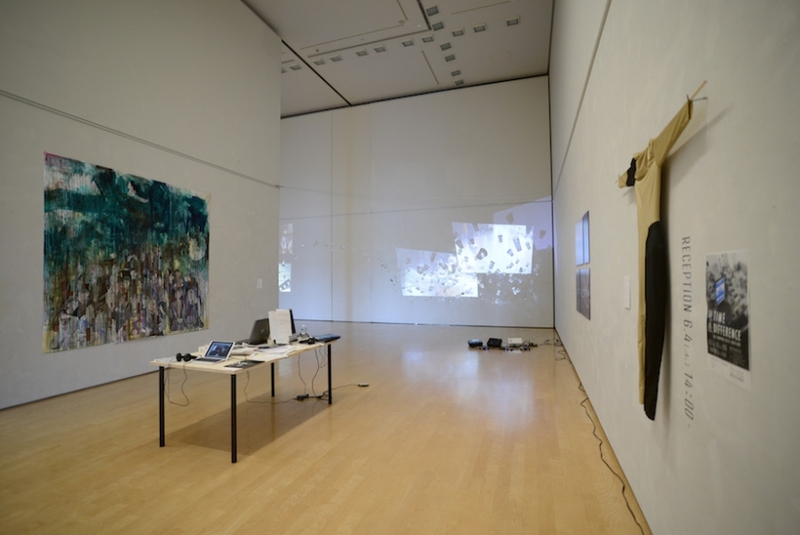 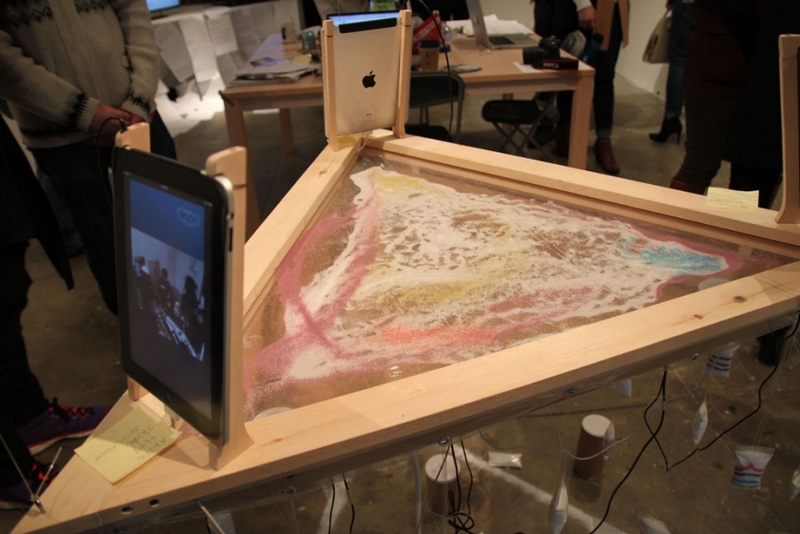 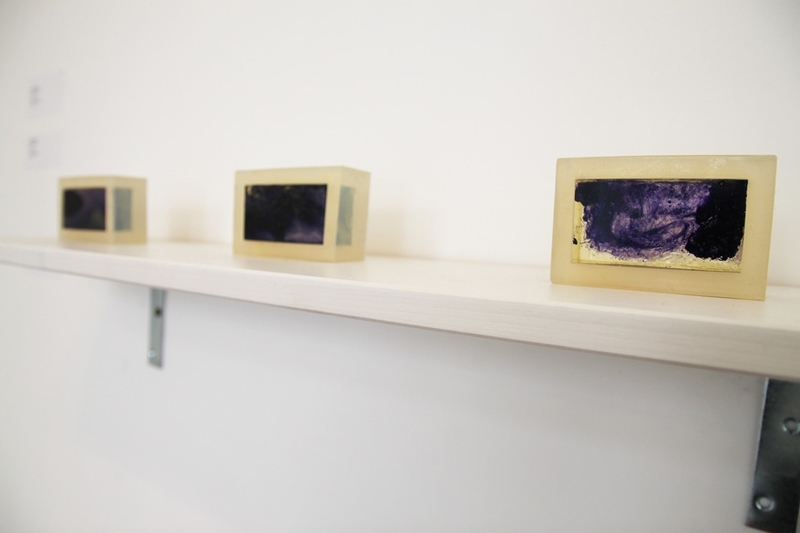 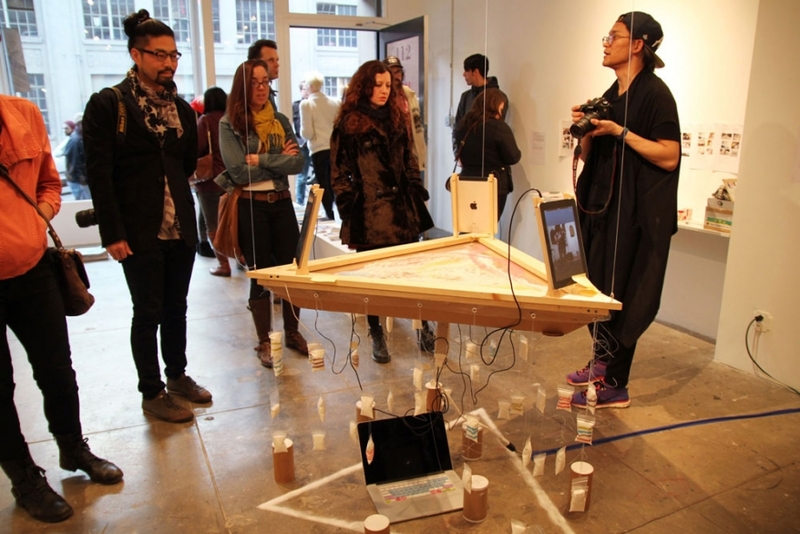 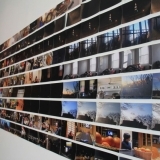 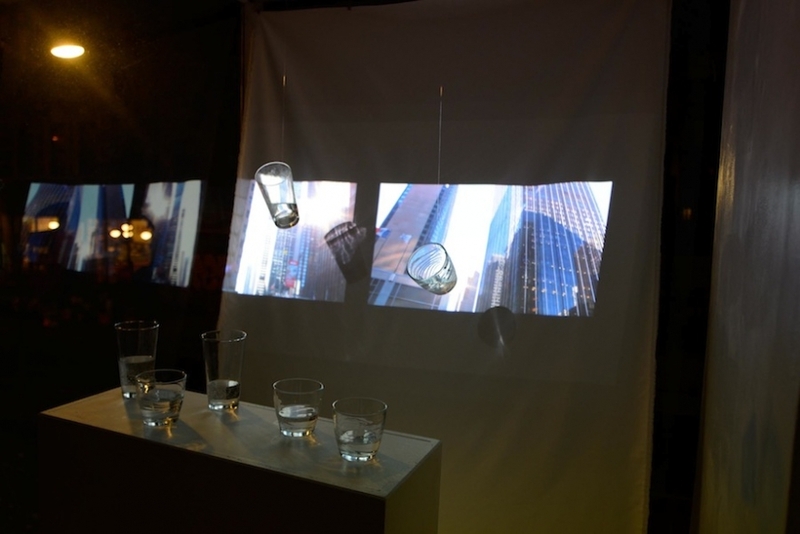 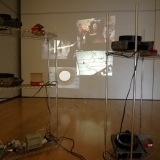 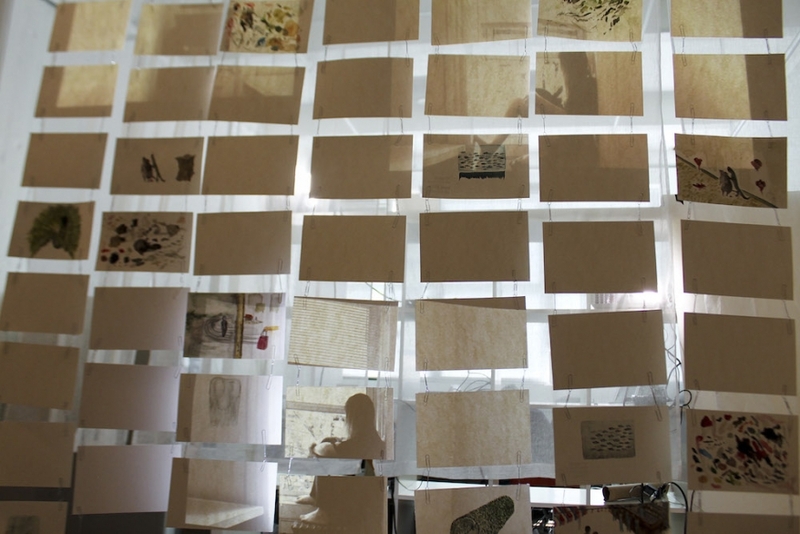 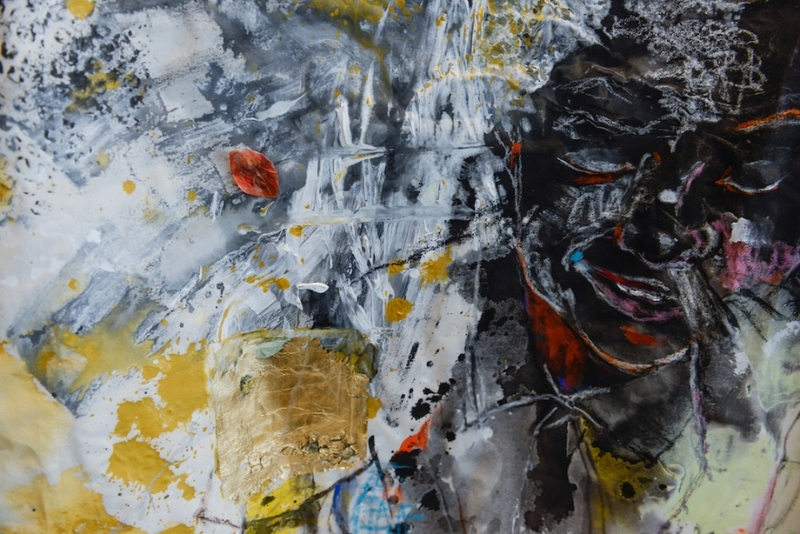 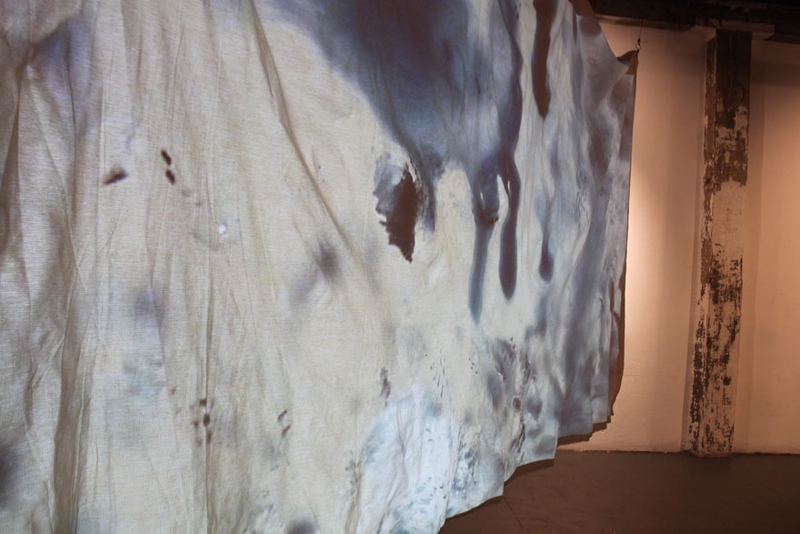 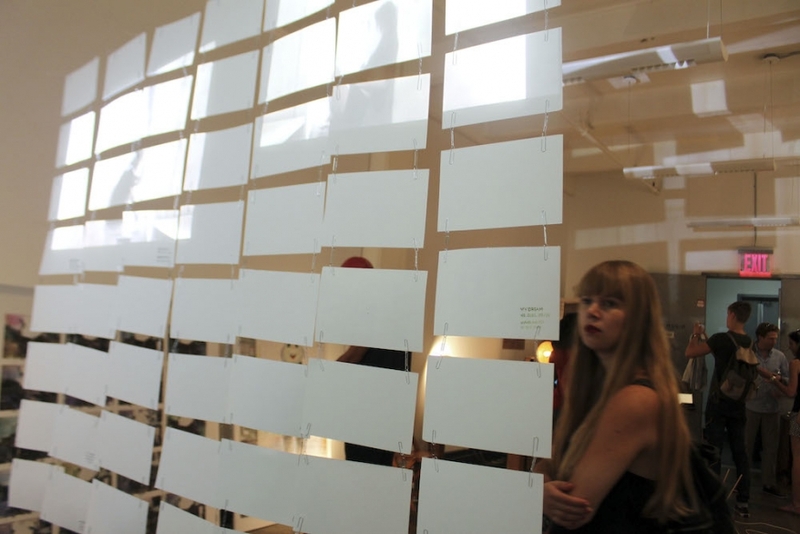 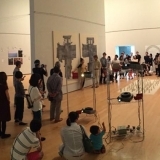 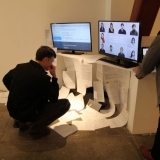 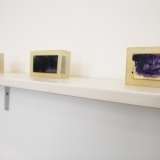 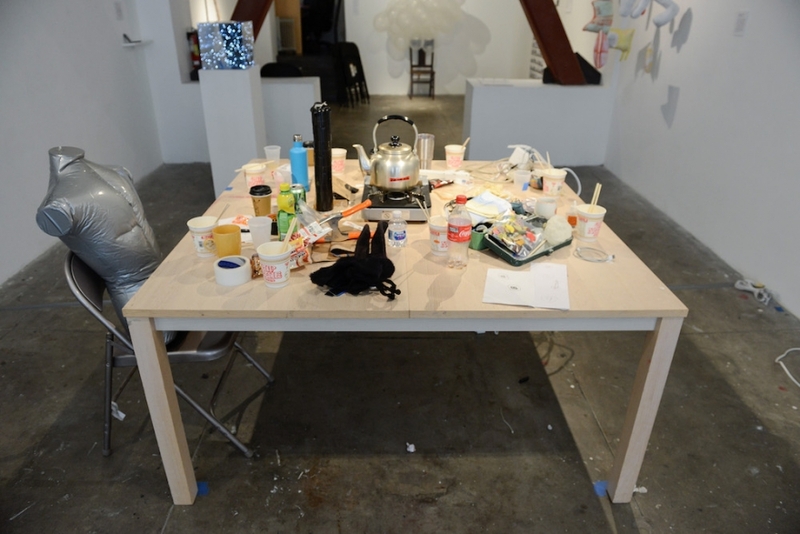 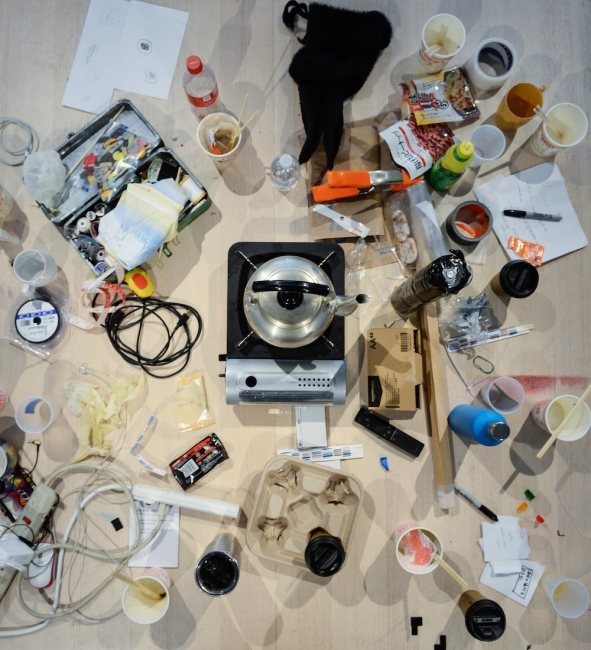 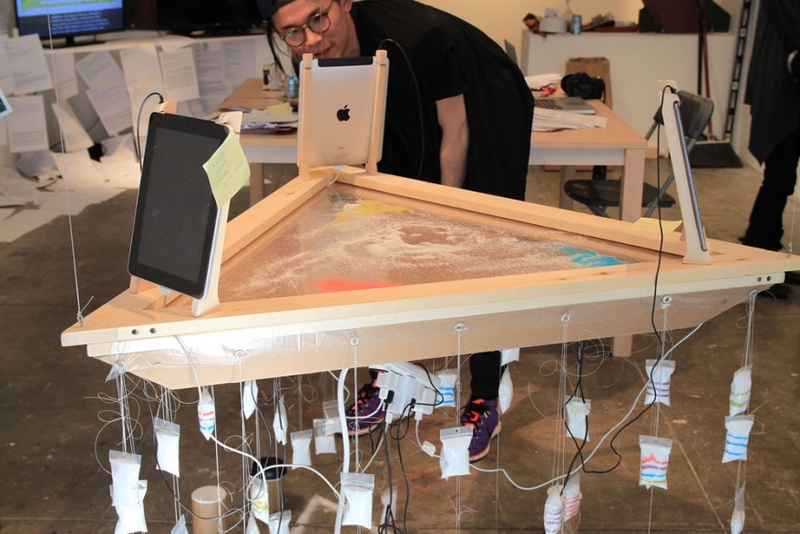 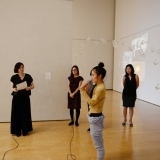 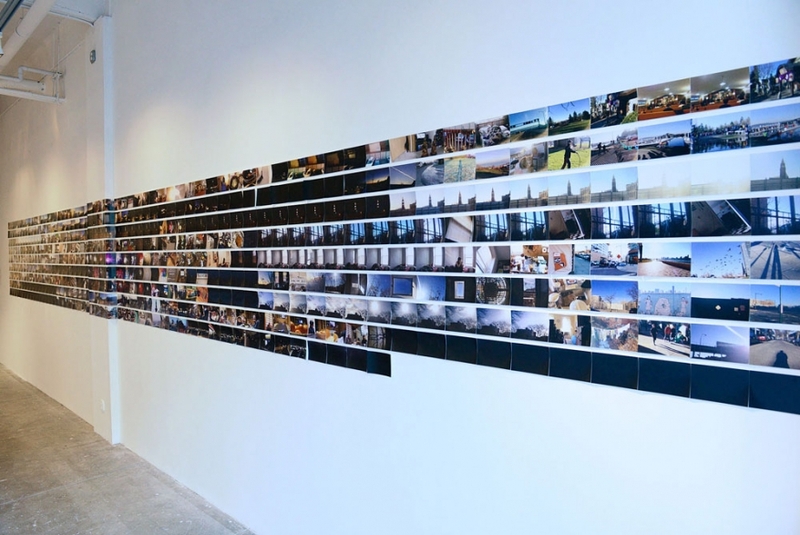 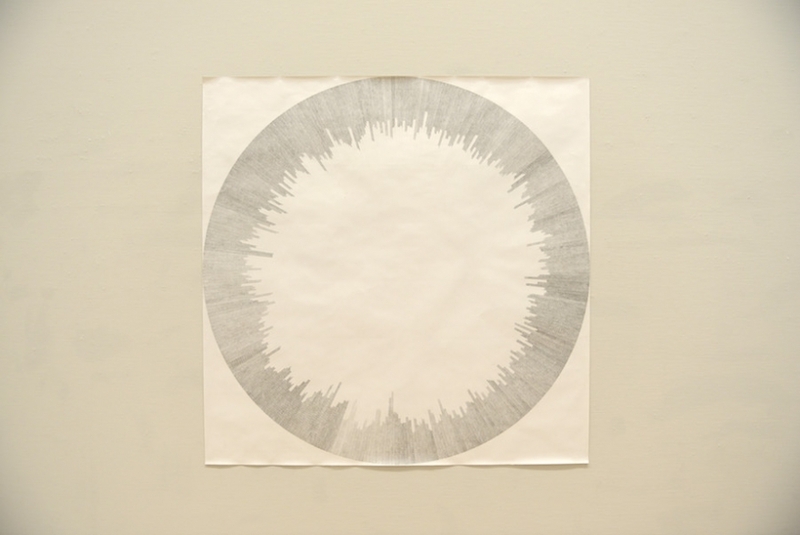 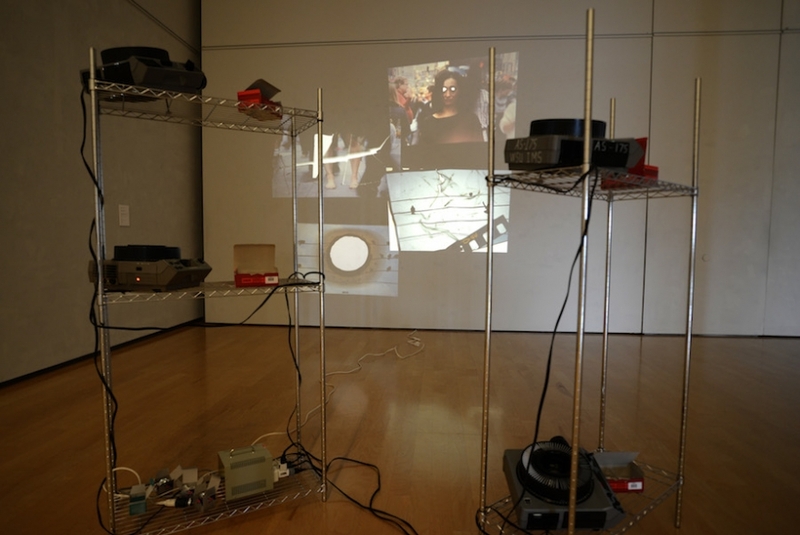 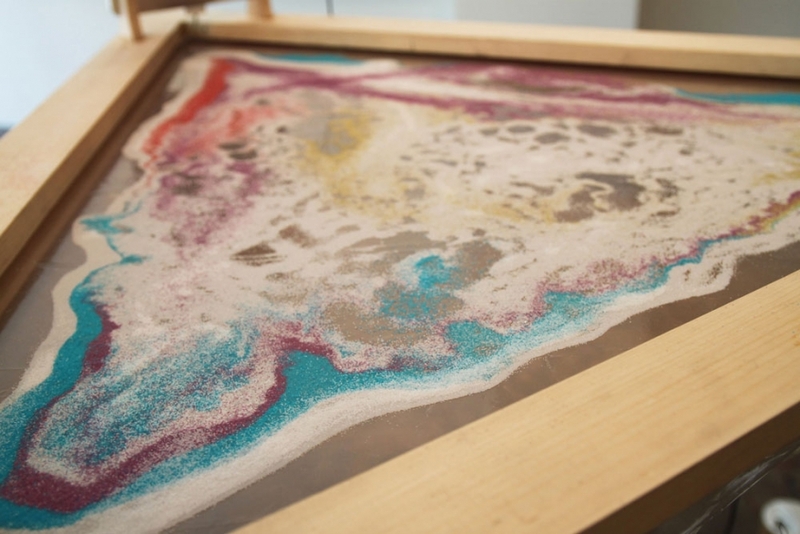 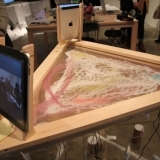 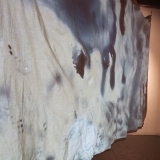 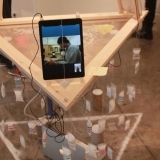 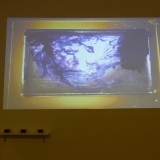 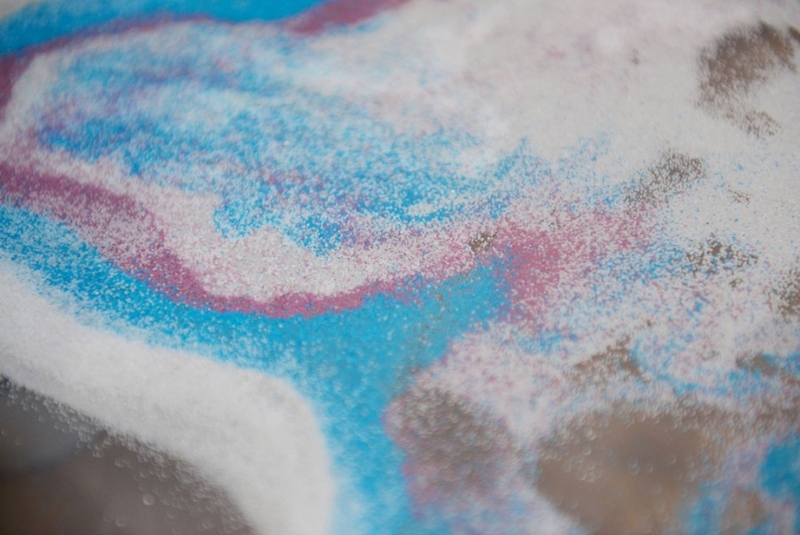 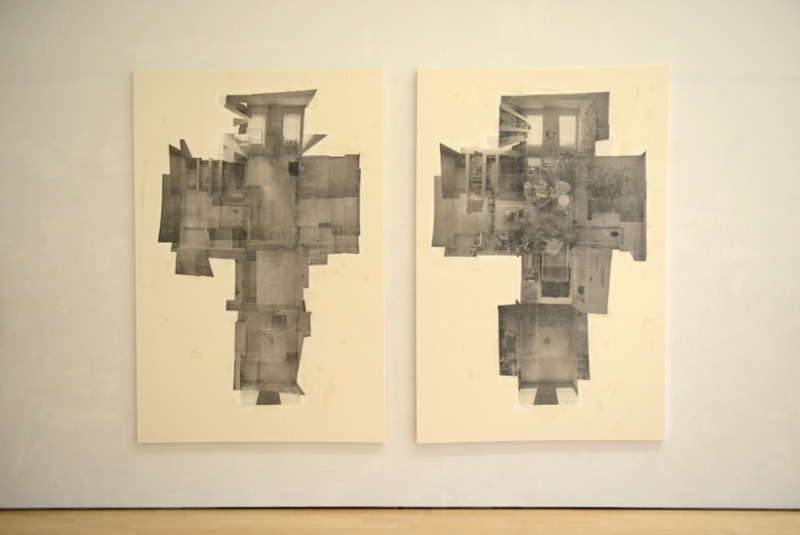 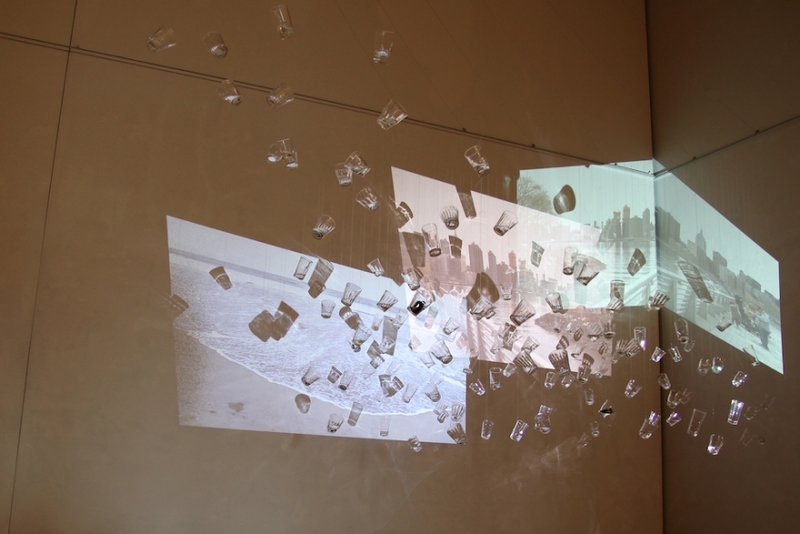 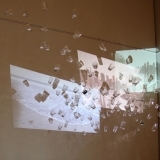 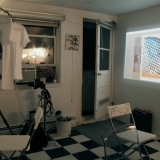 The projects include live music performance, photography, installation, video, and painting. 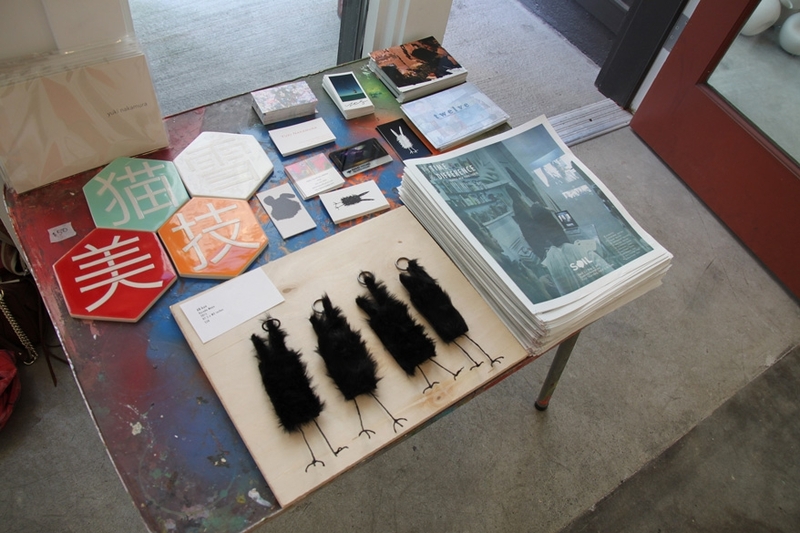 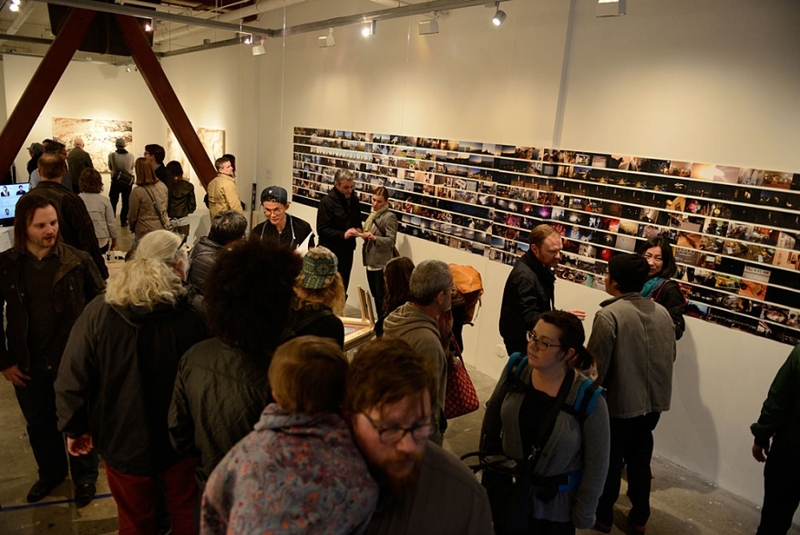 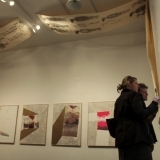 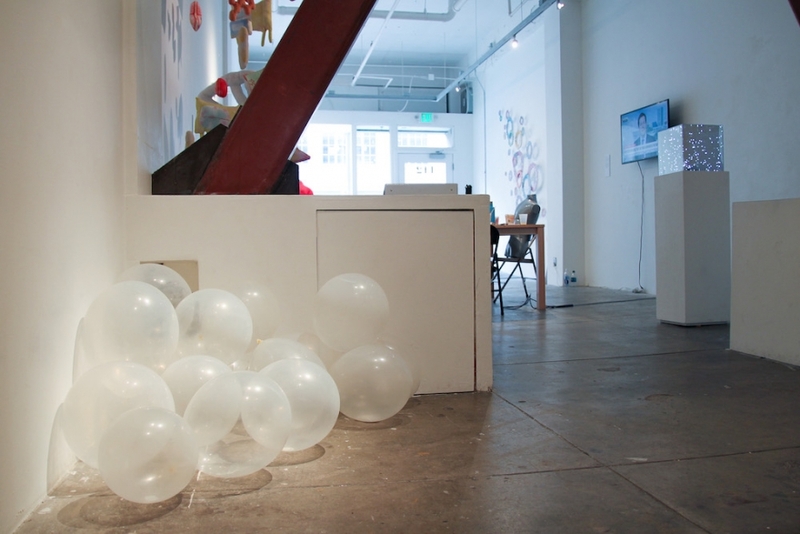 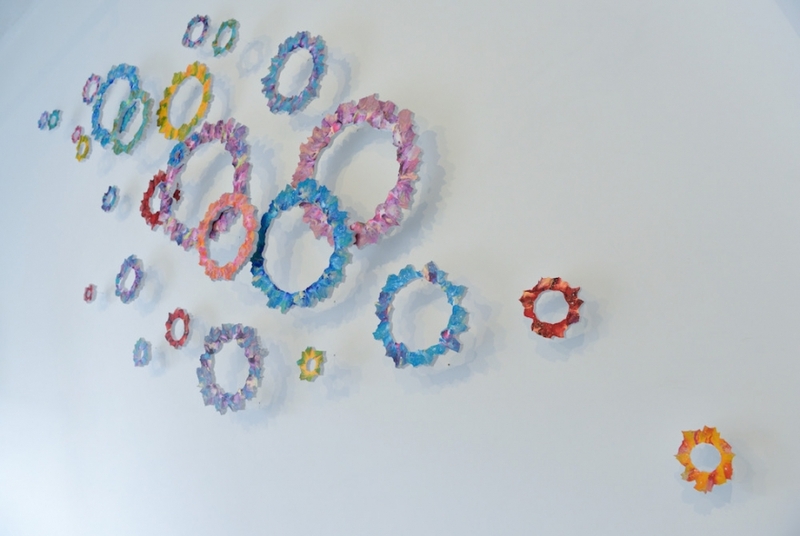 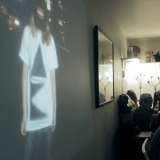 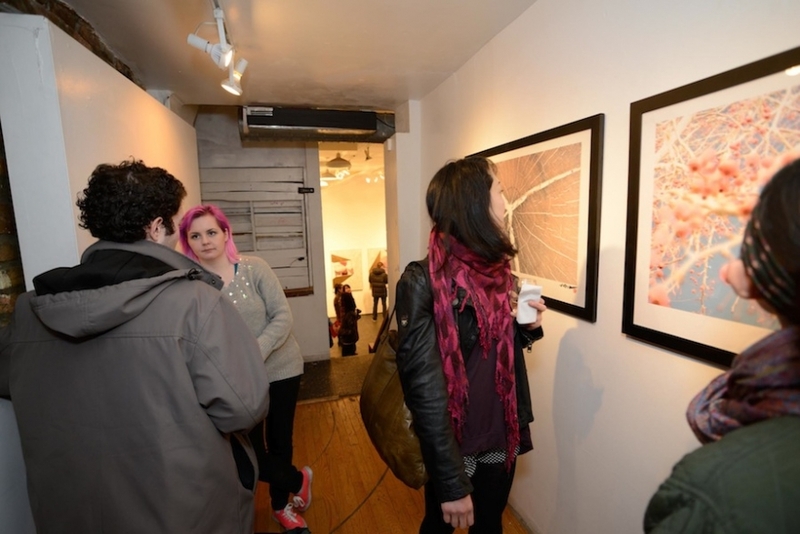 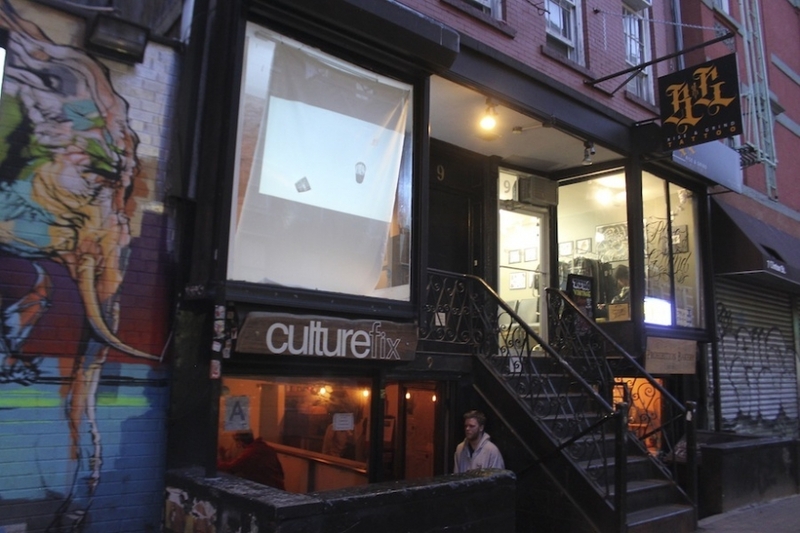 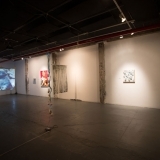 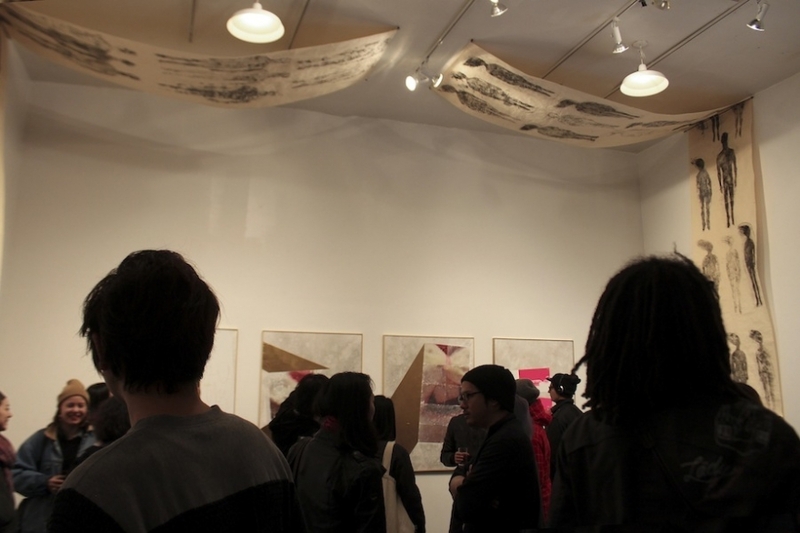 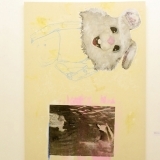 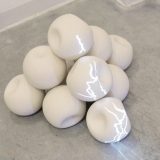 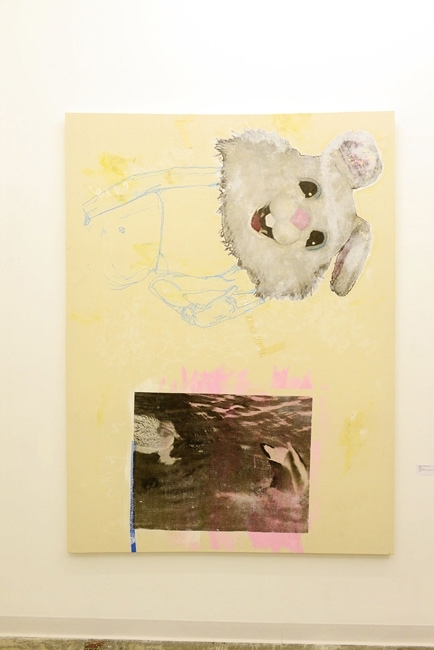 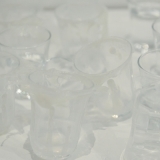 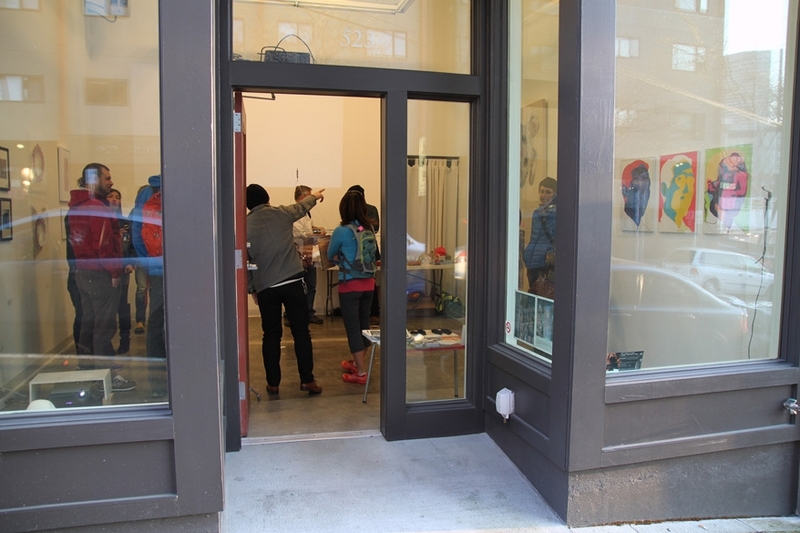 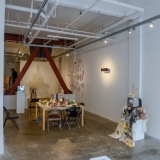 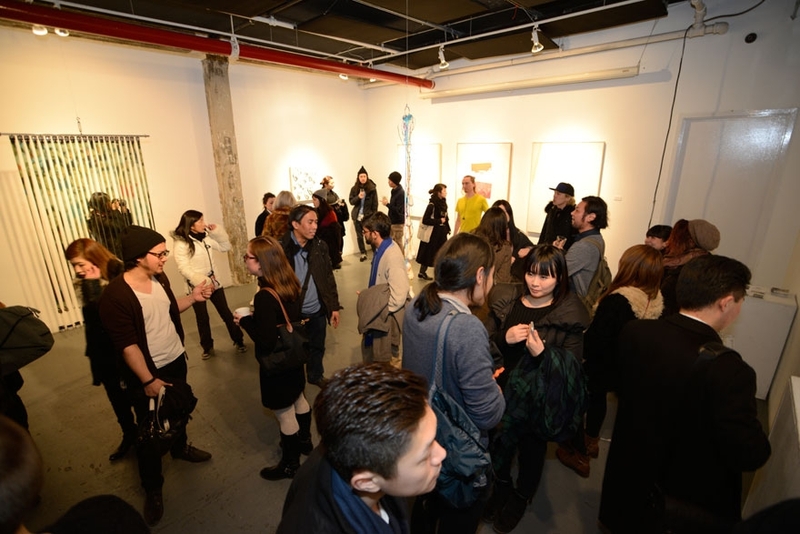 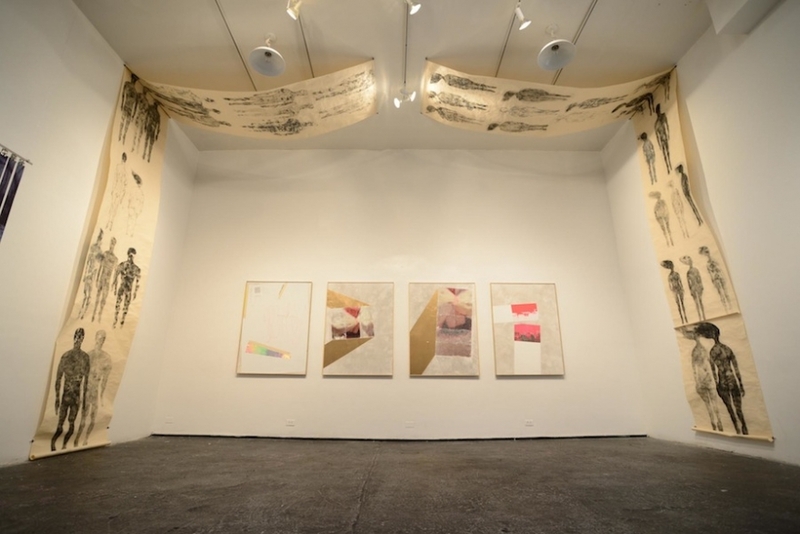 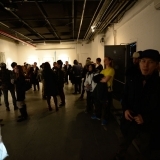 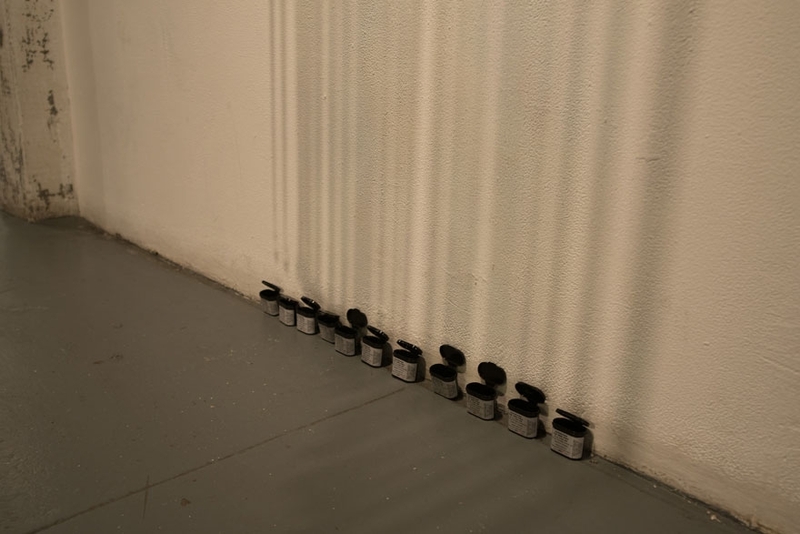 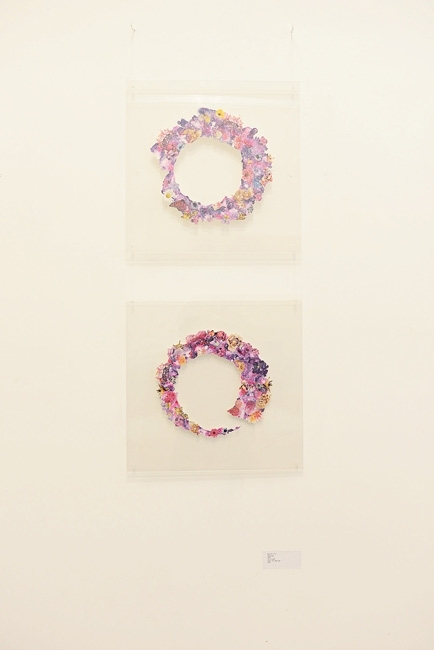 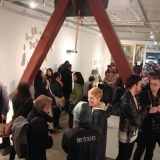 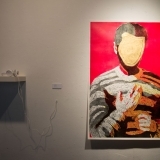 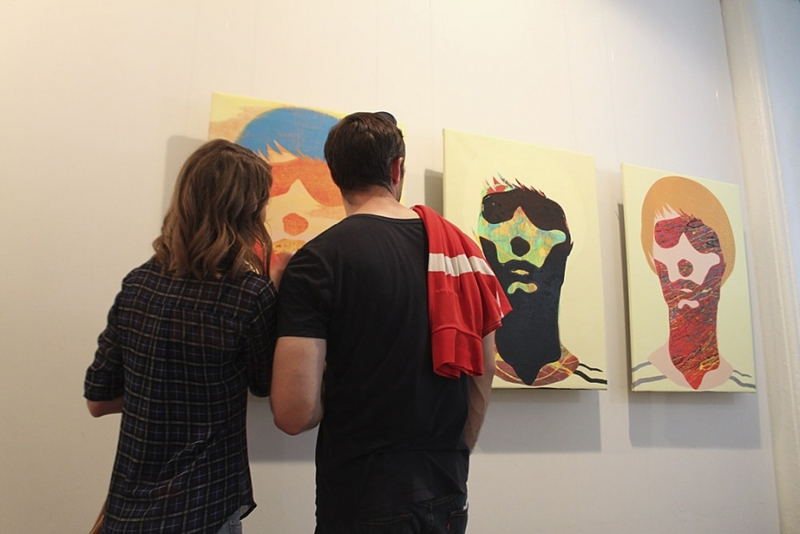 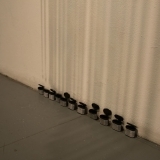 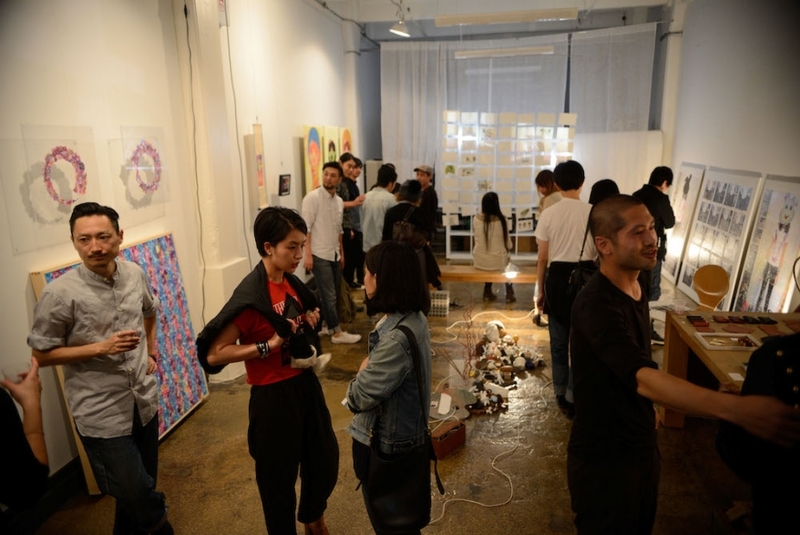 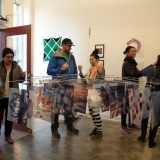 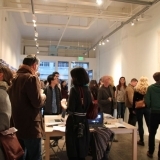 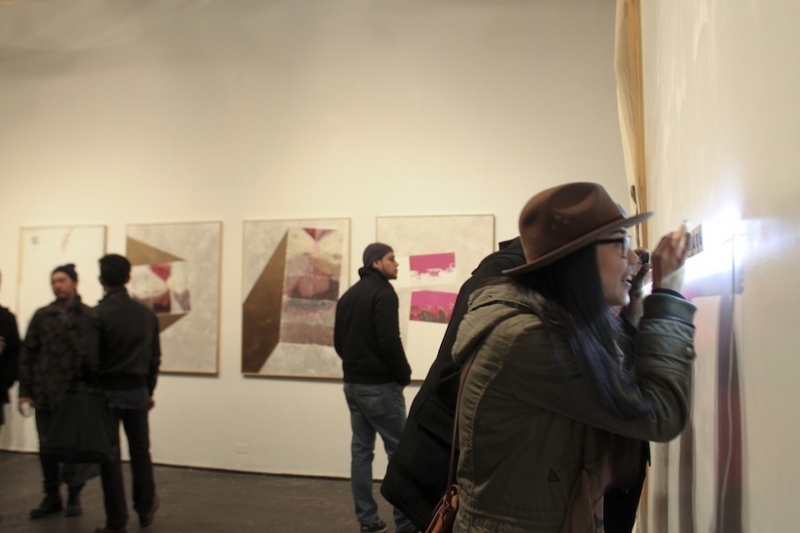 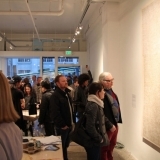 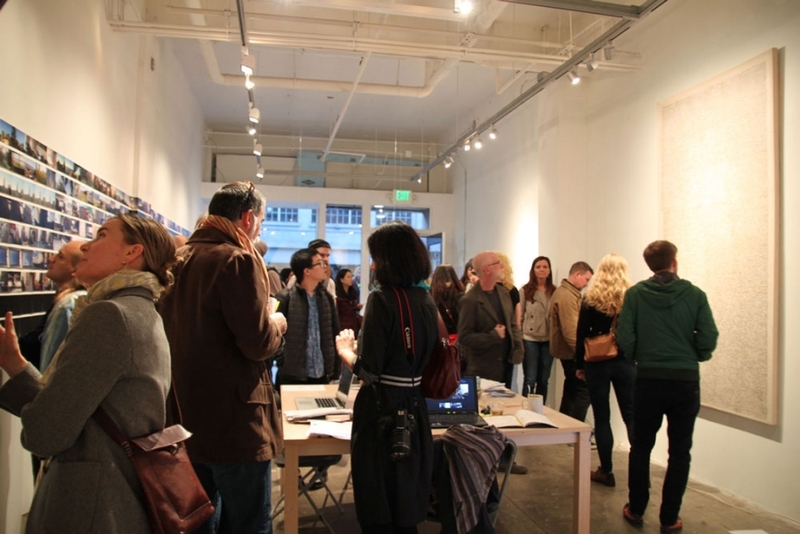 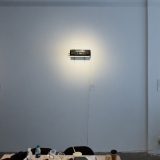 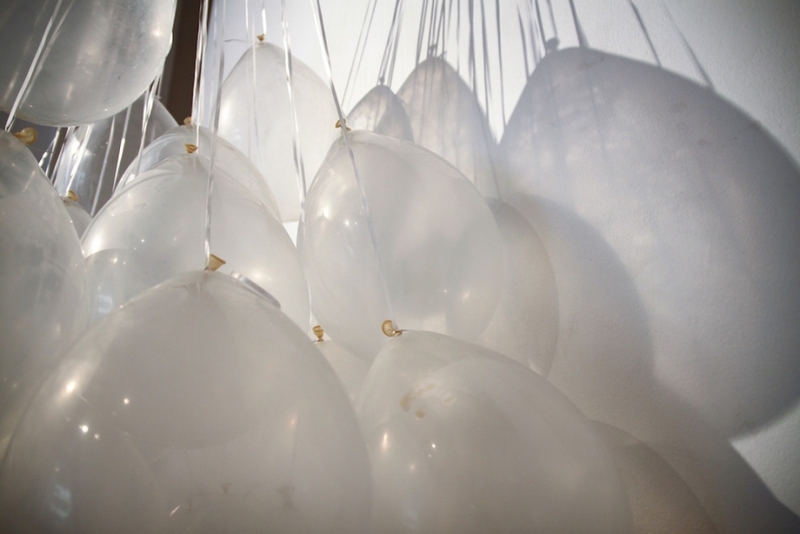 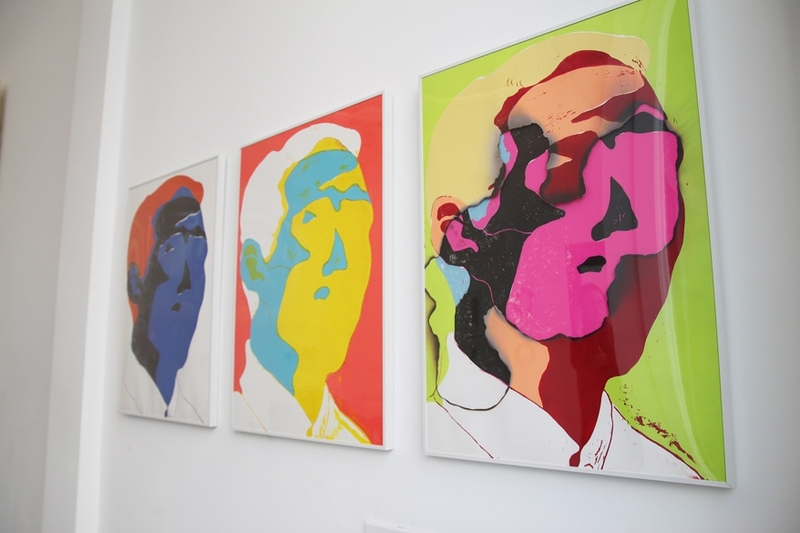 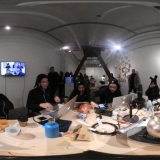 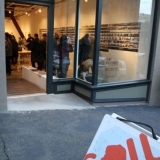 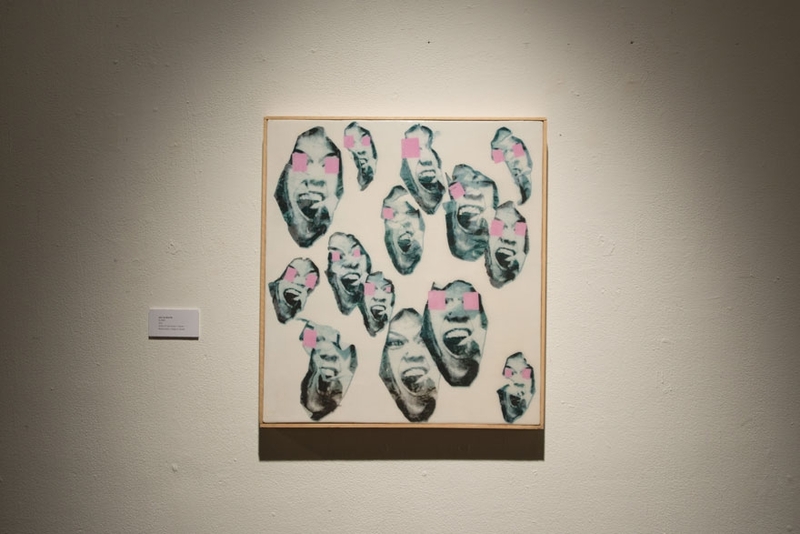 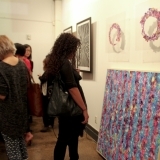 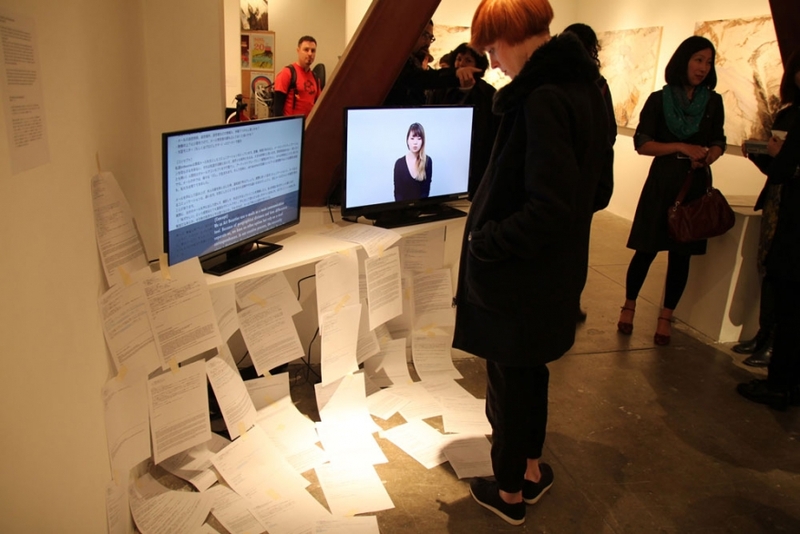 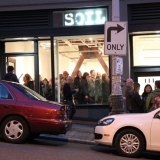 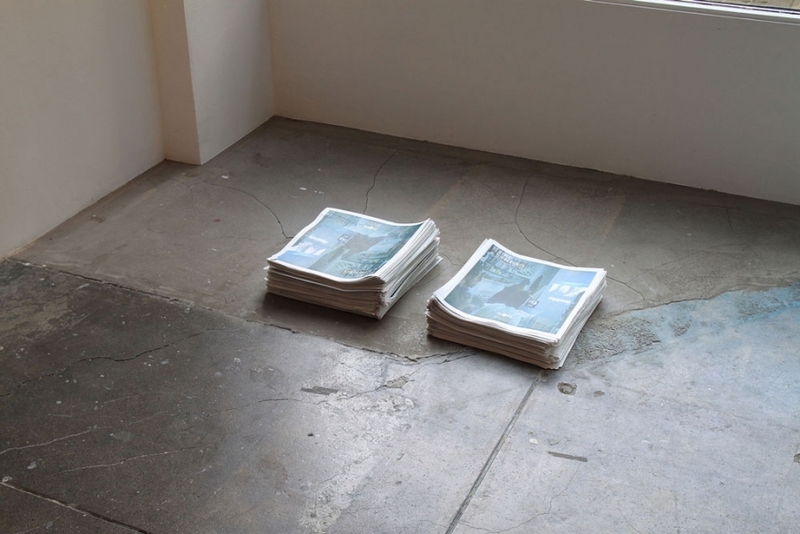 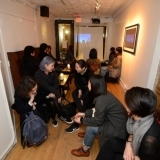 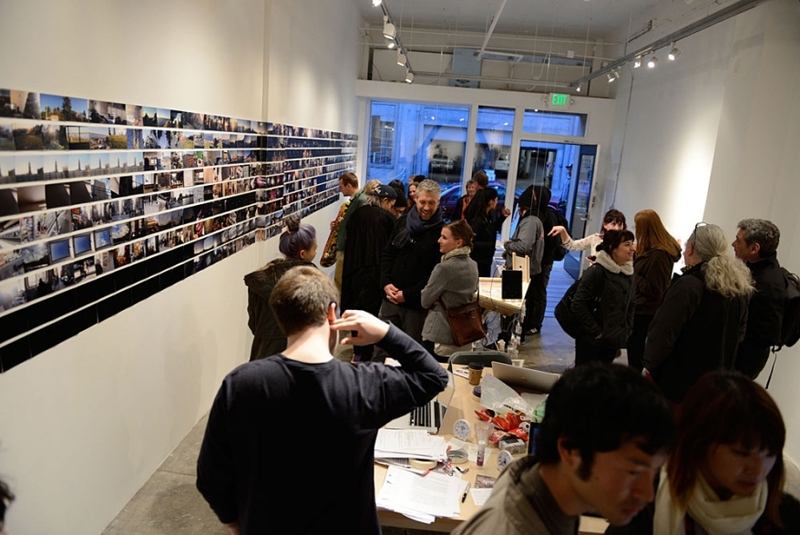 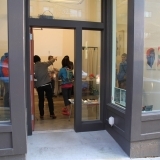 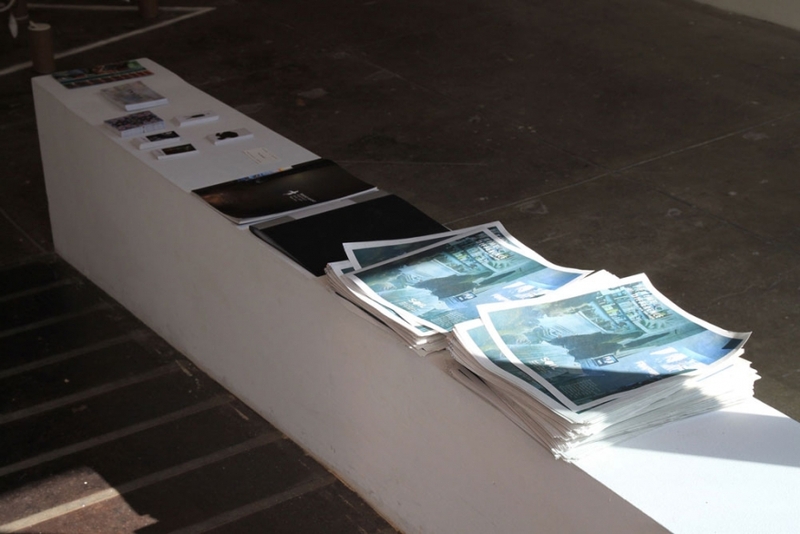 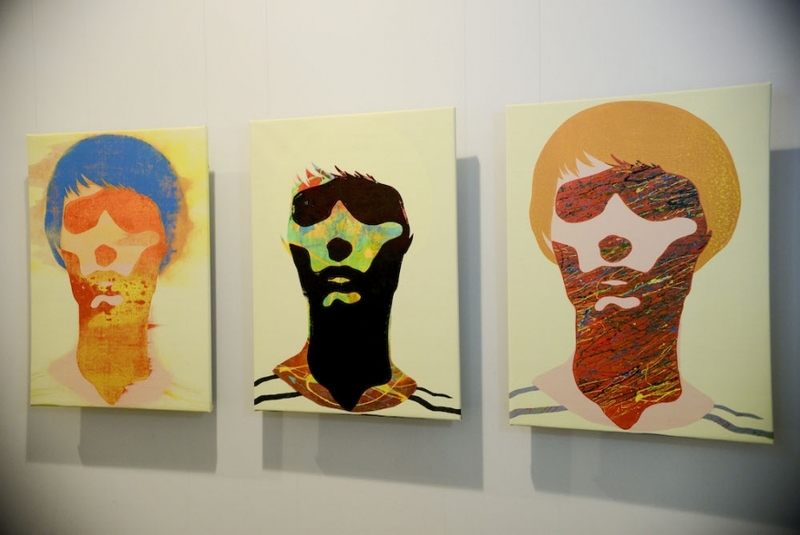 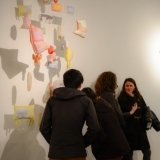 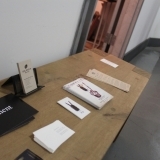 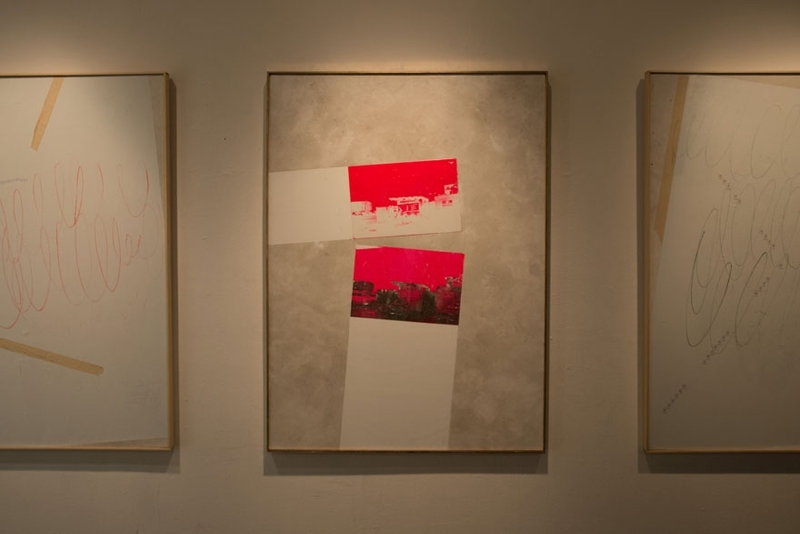 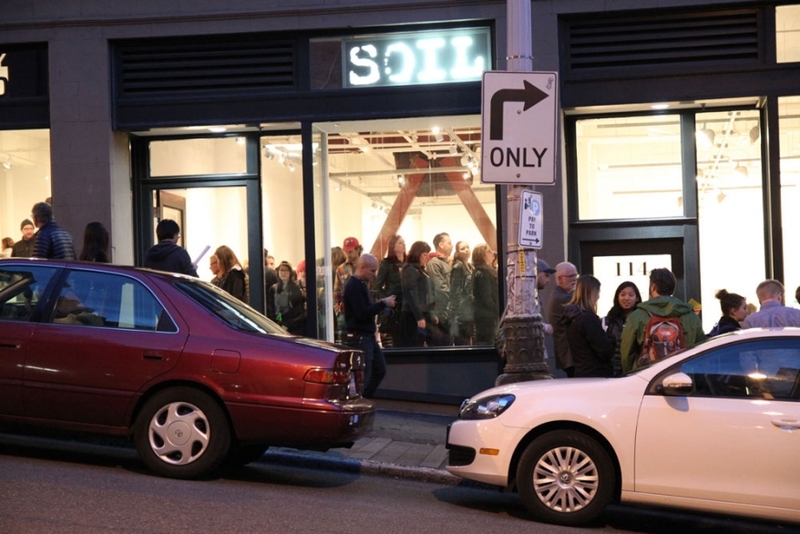 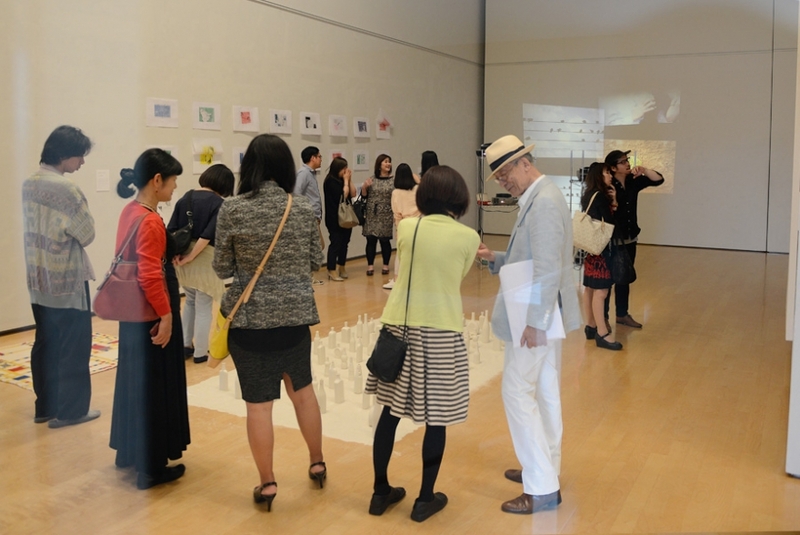 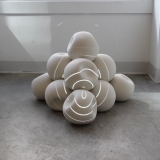 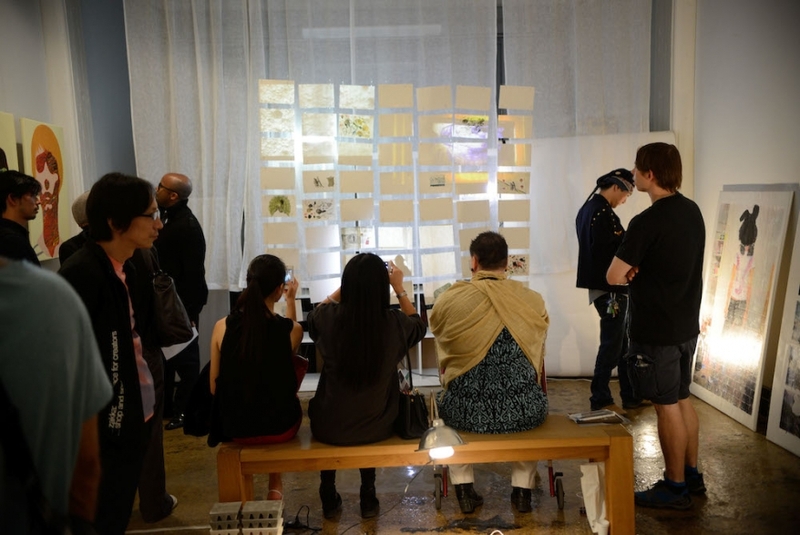 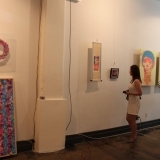 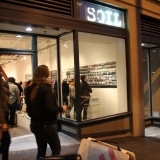 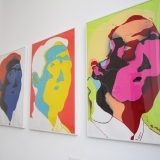 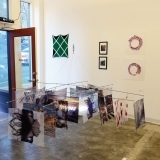 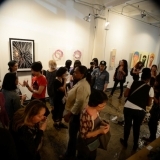 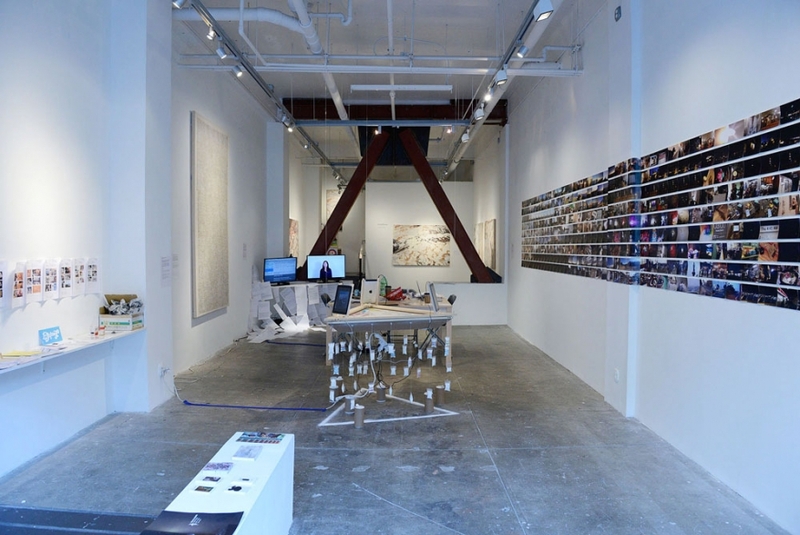 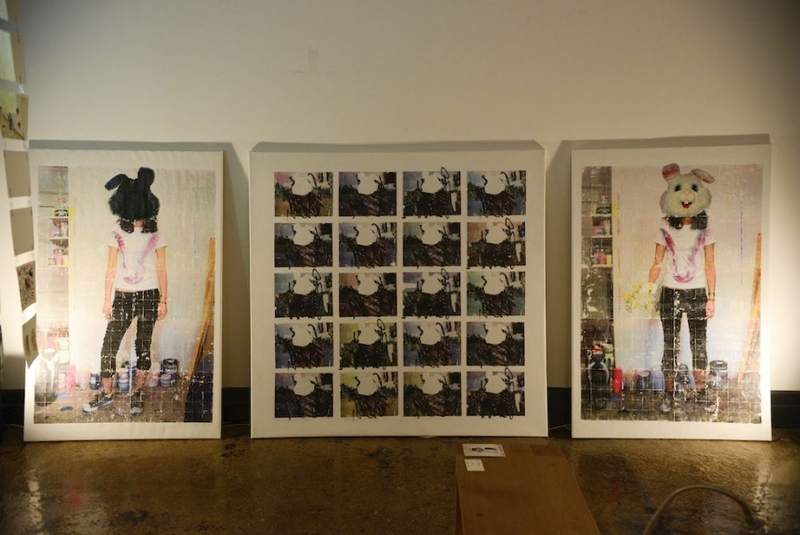 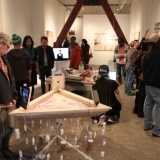 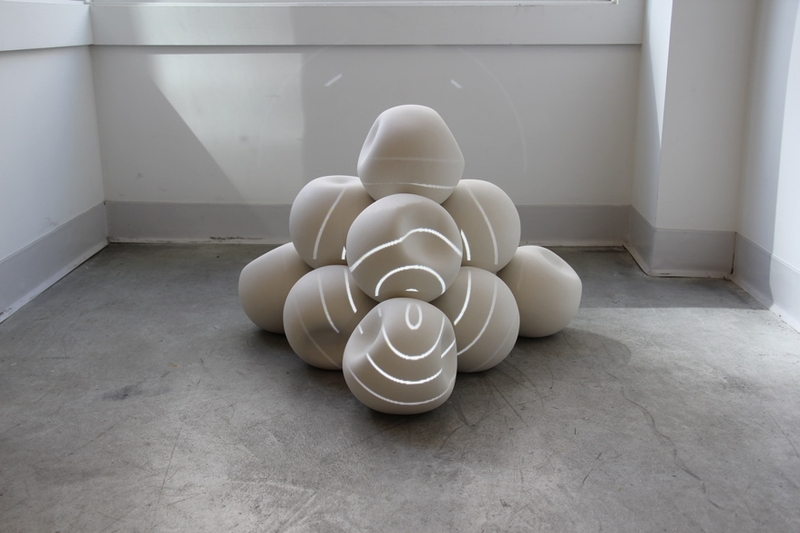 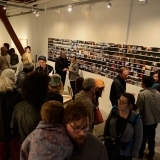 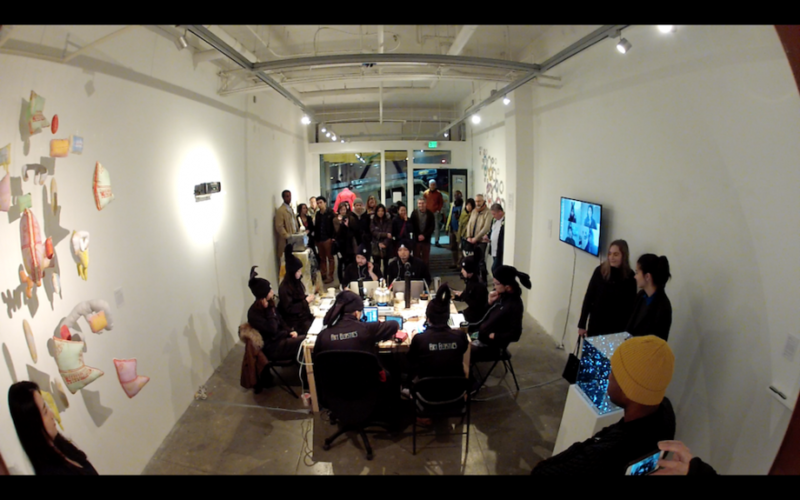 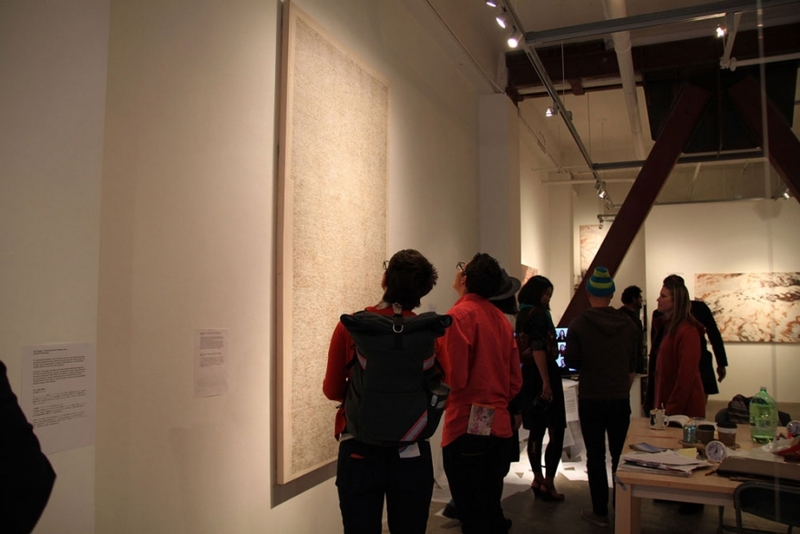 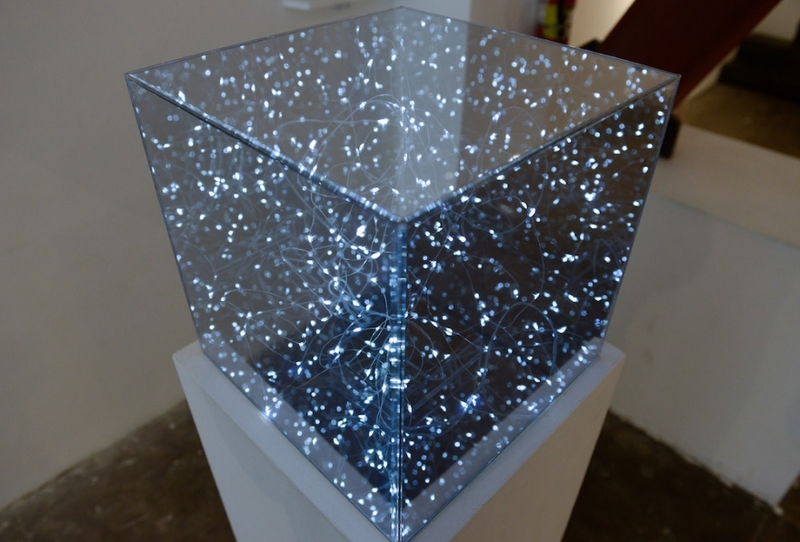 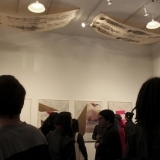 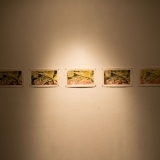 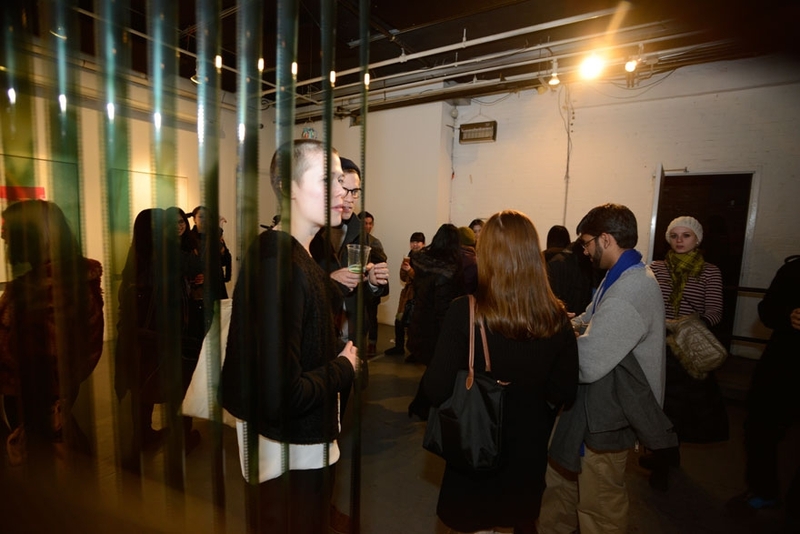 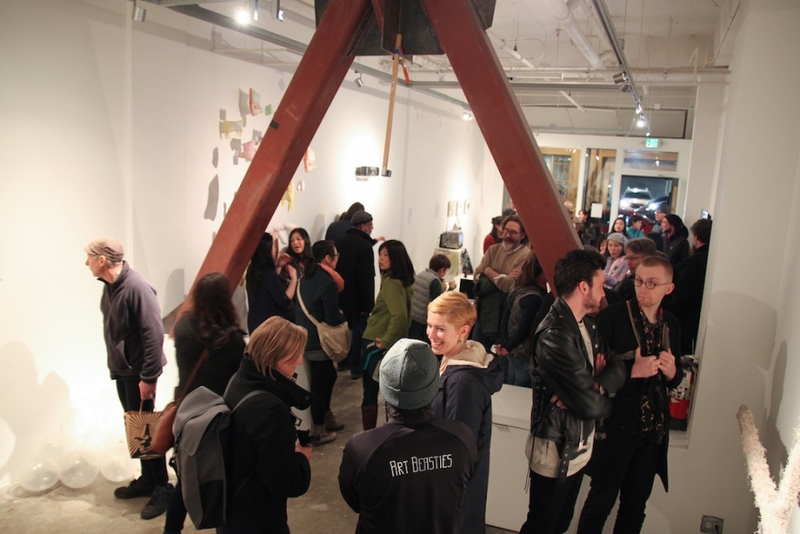 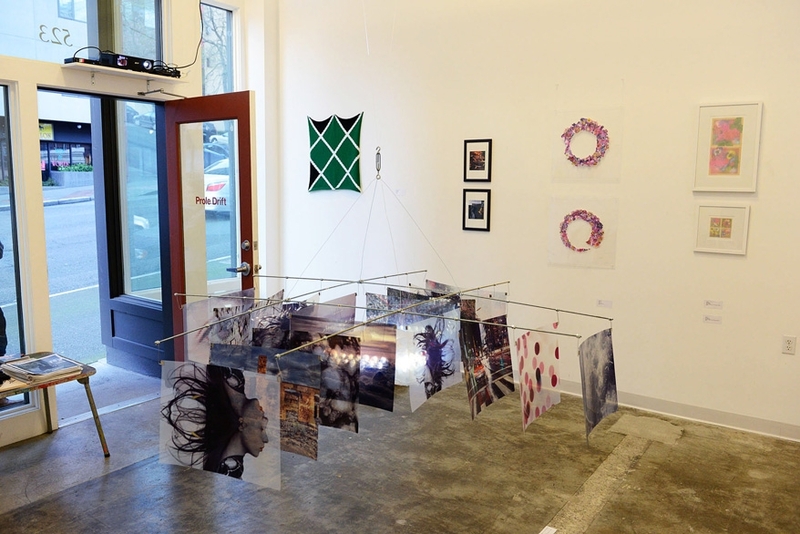 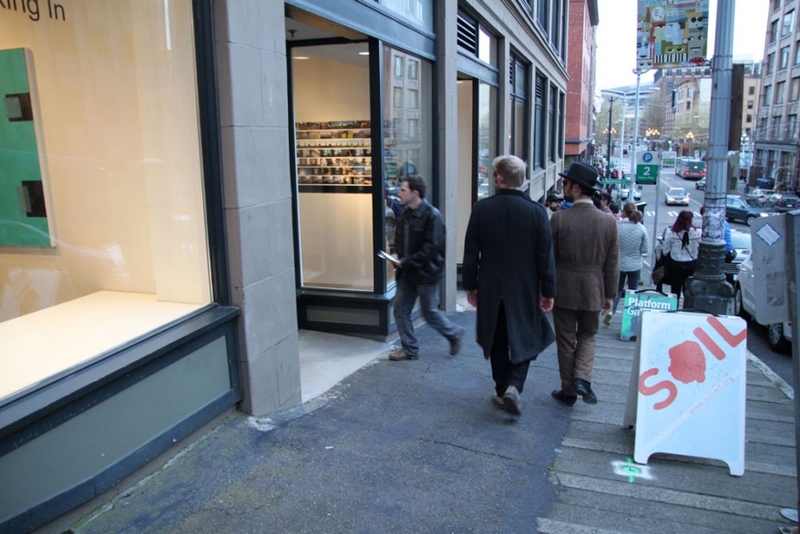 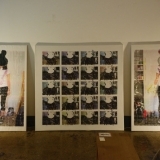 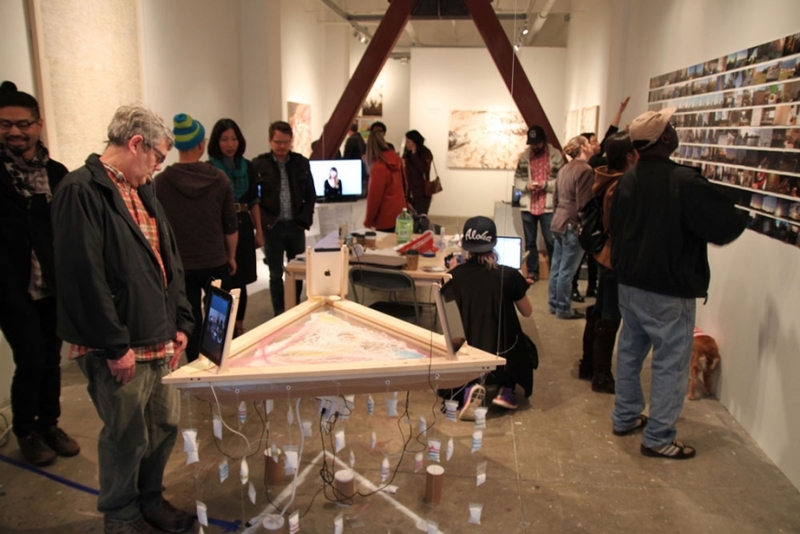 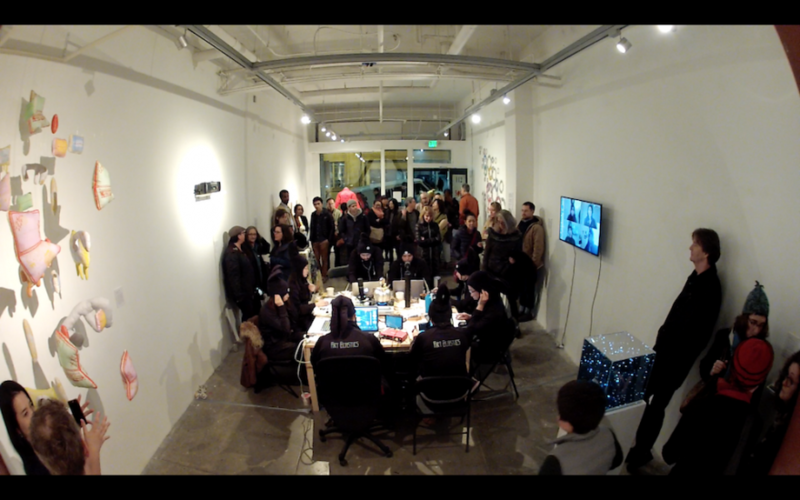 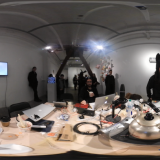 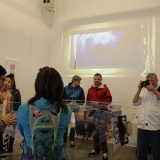 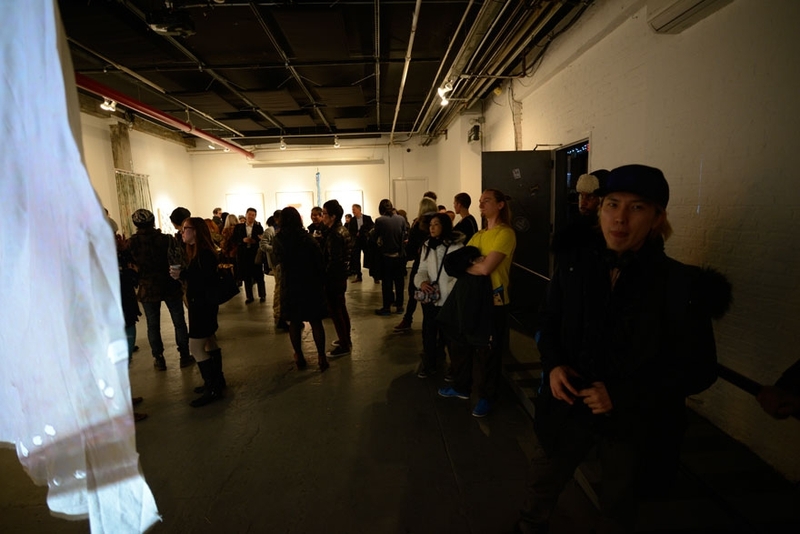 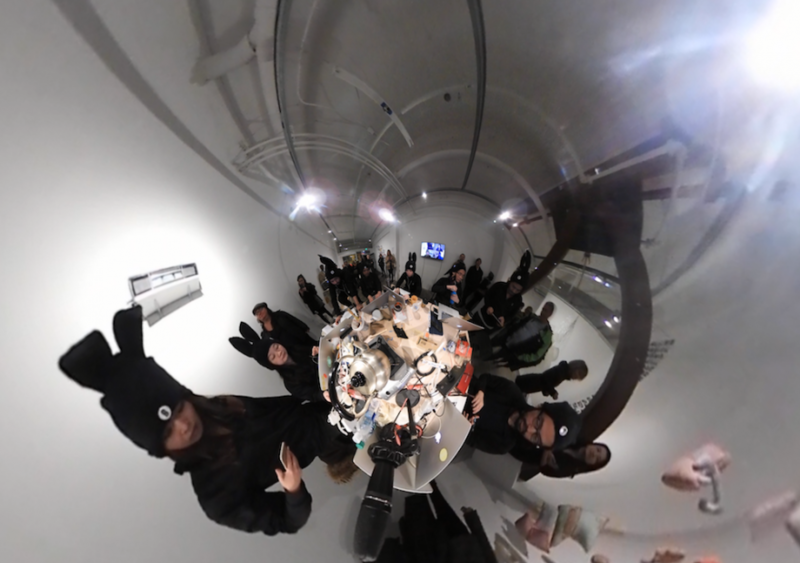 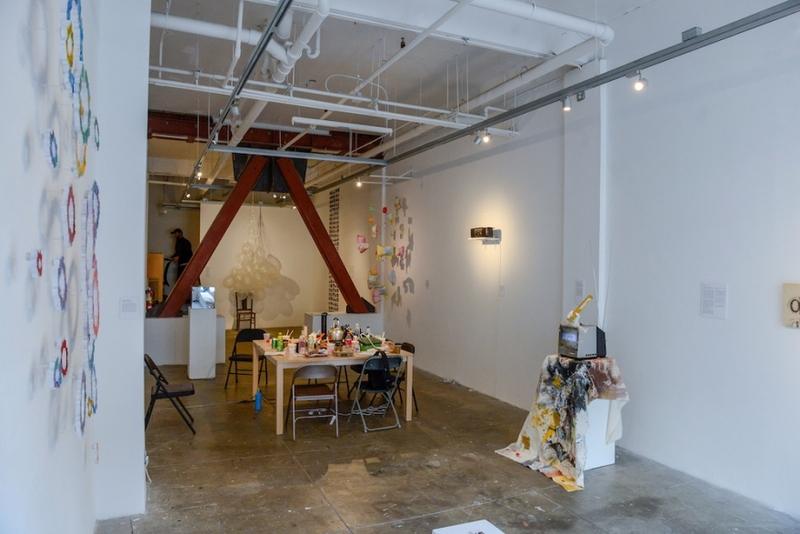 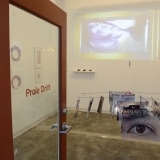 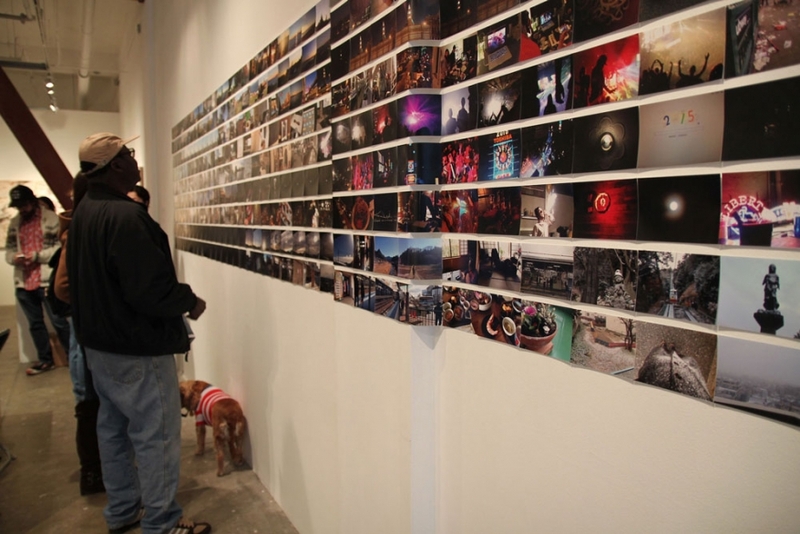 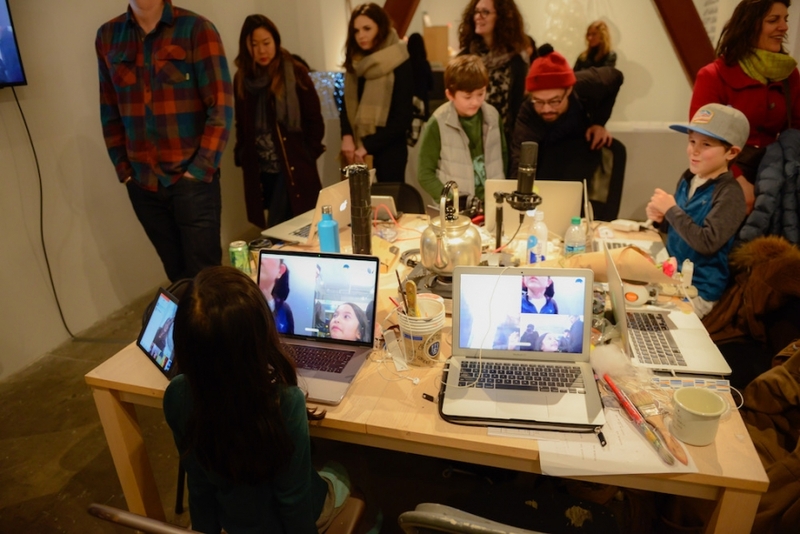 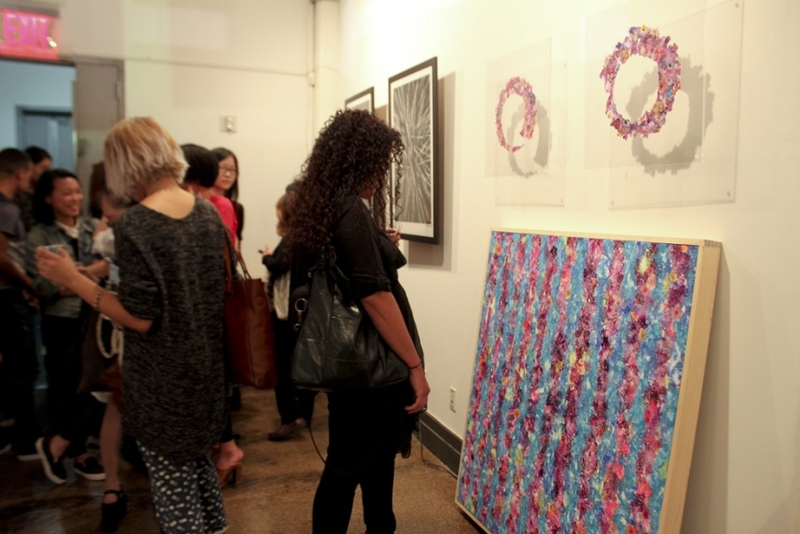 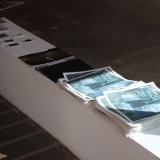 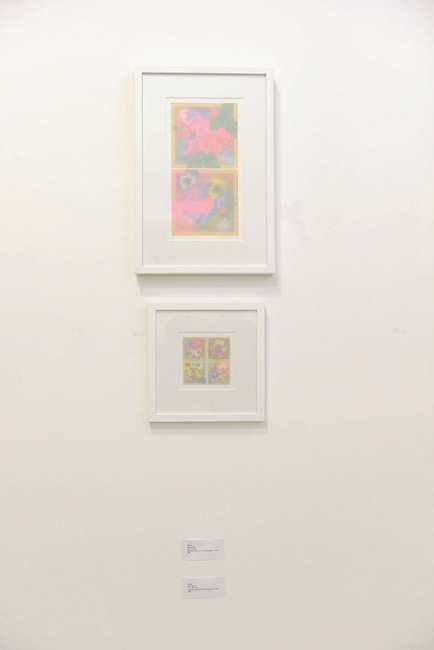 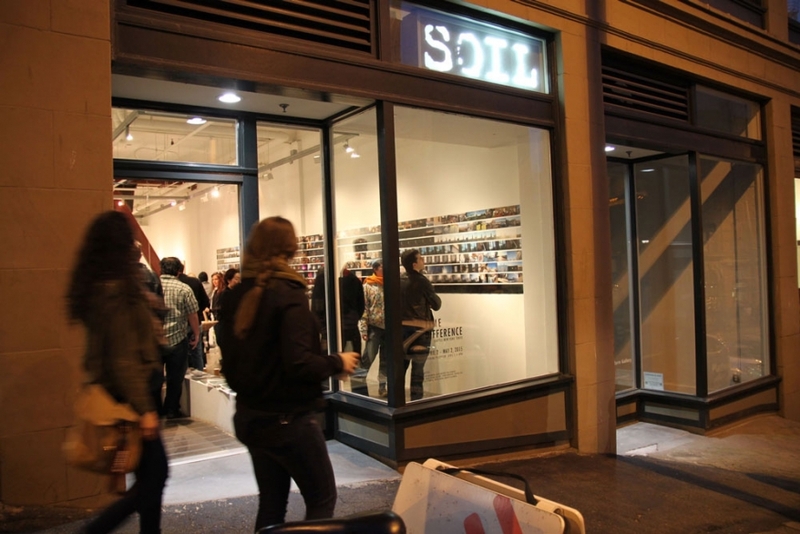 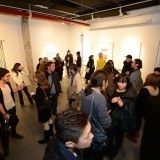 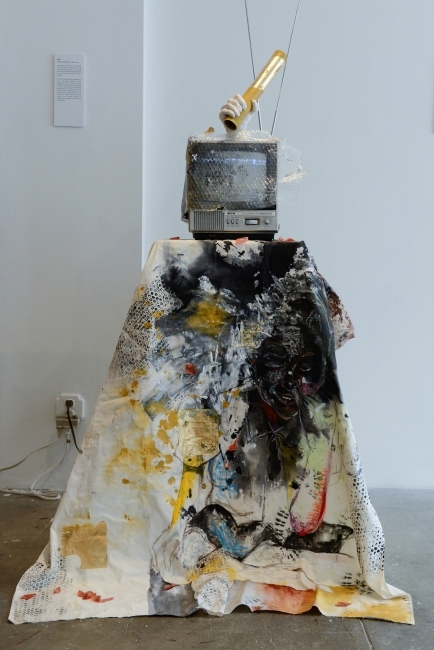 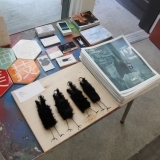 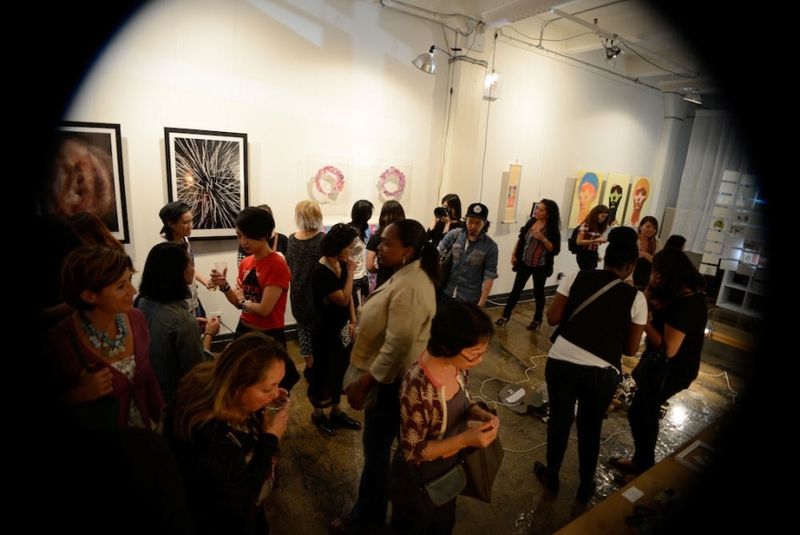 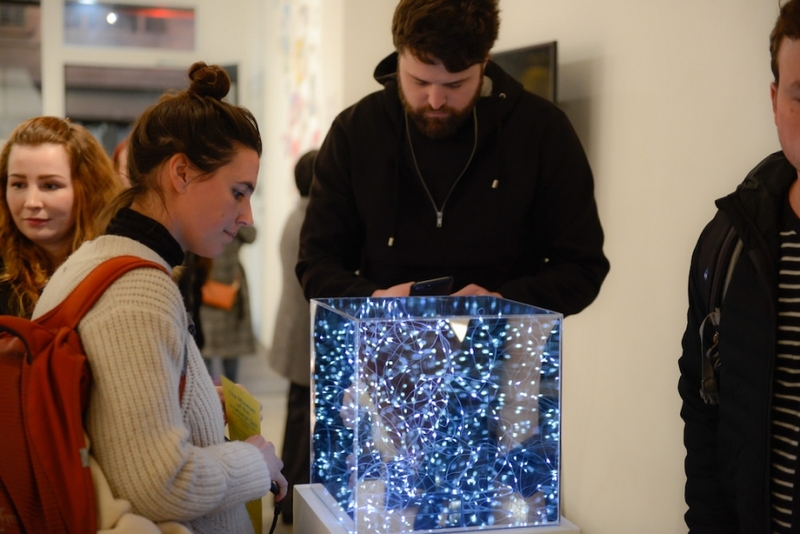 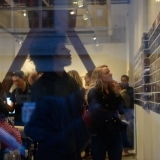 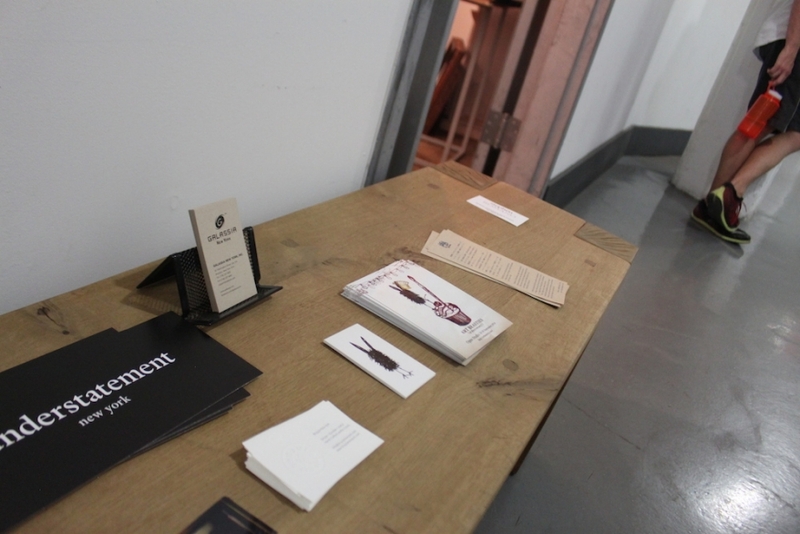 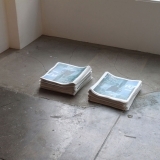 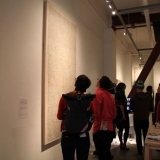 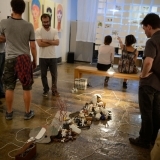 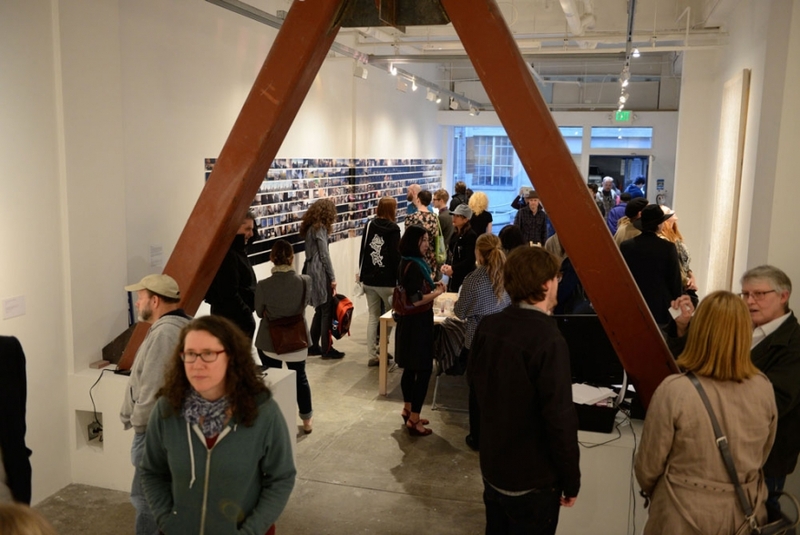 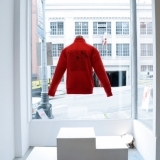 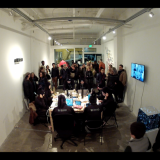 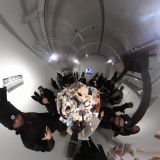 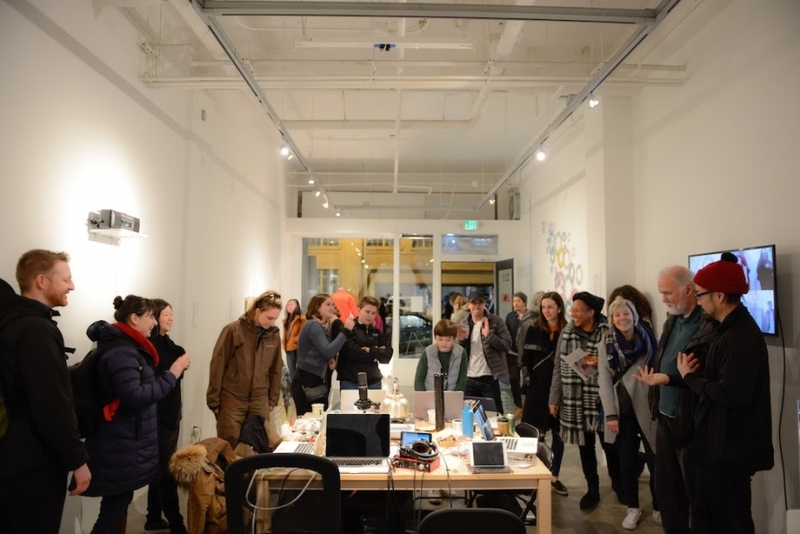 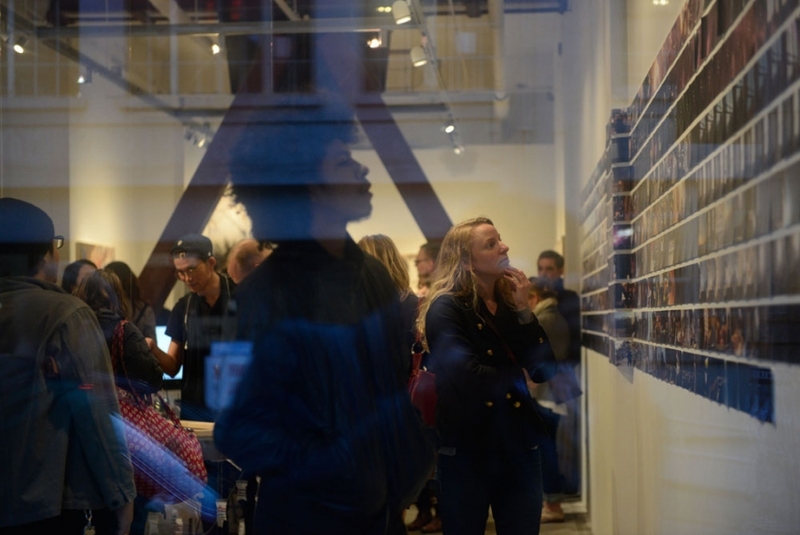 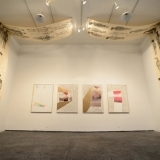 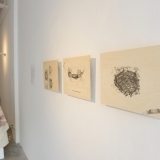 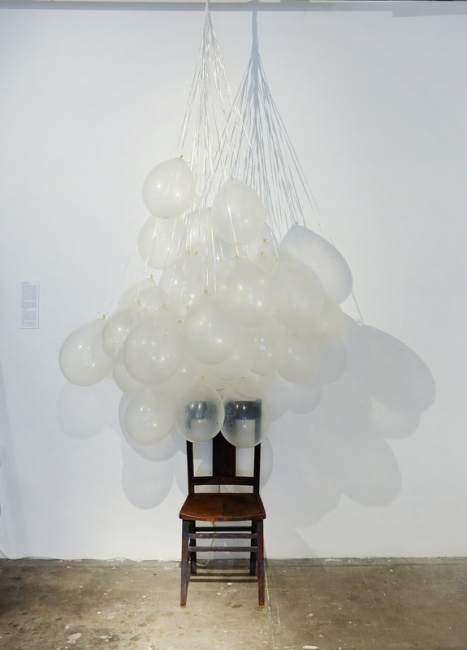 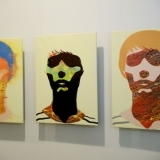 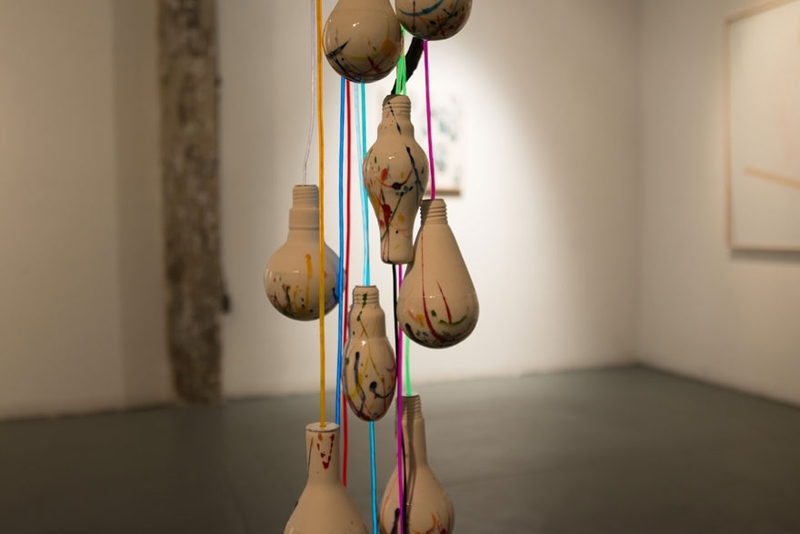 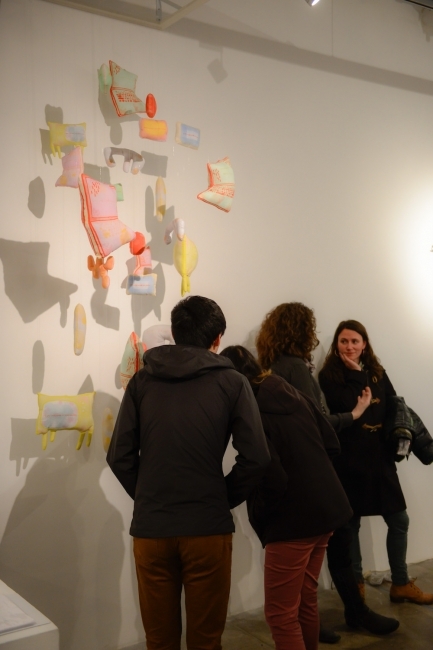 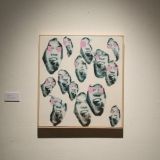 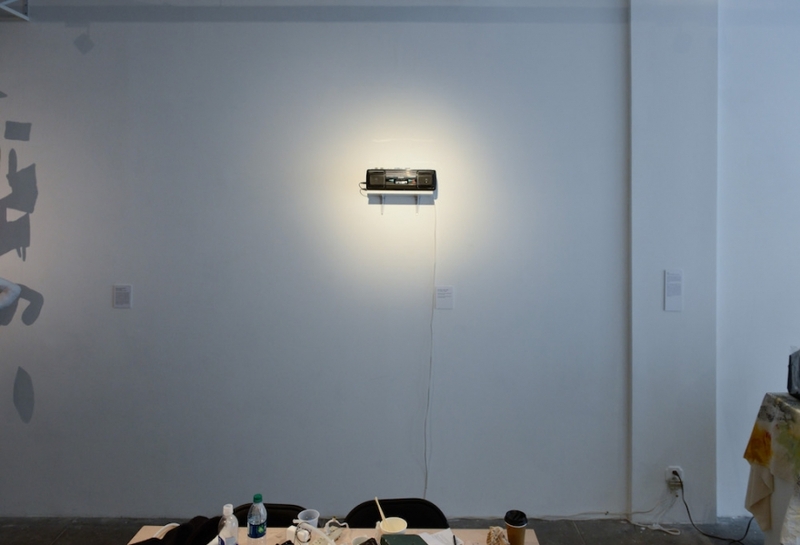 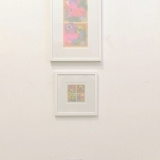 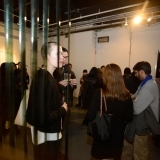 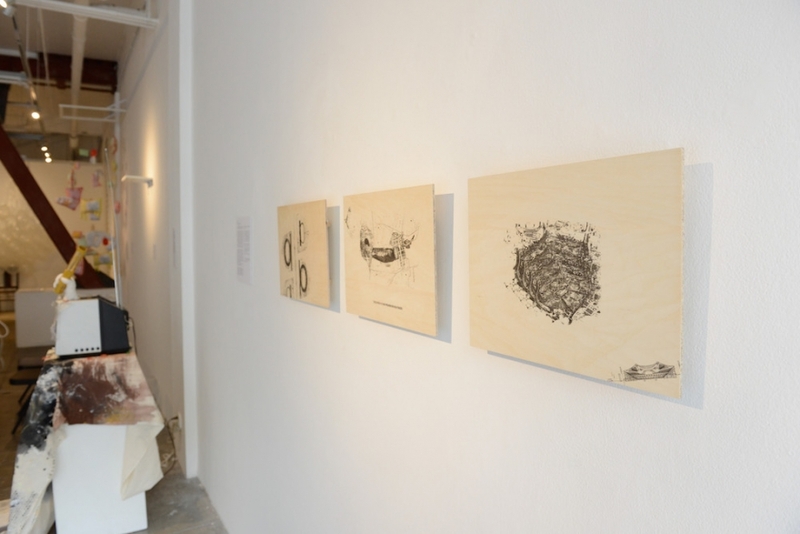 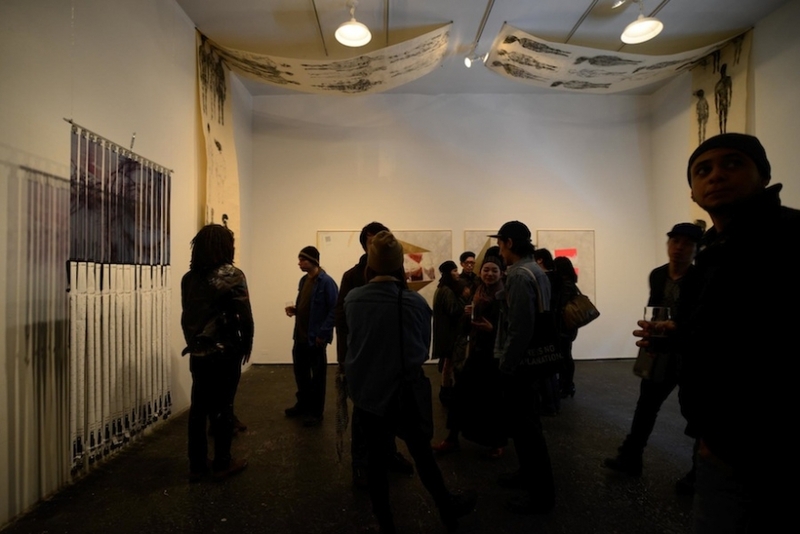 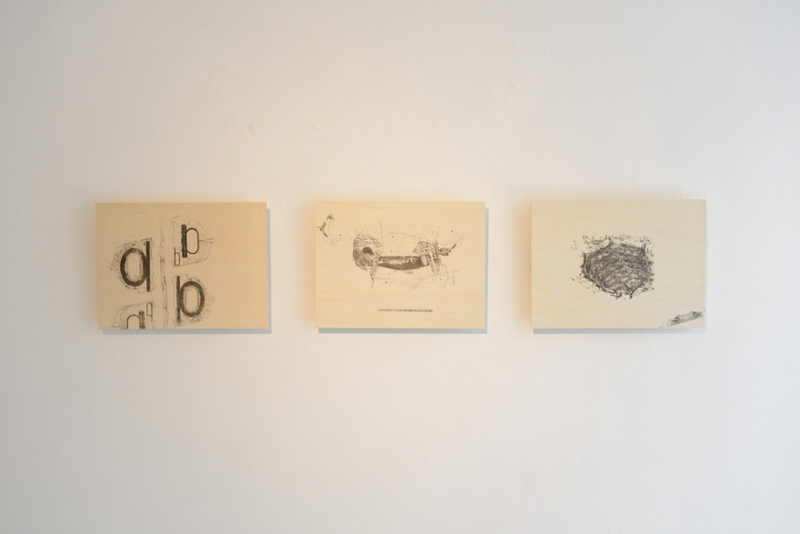 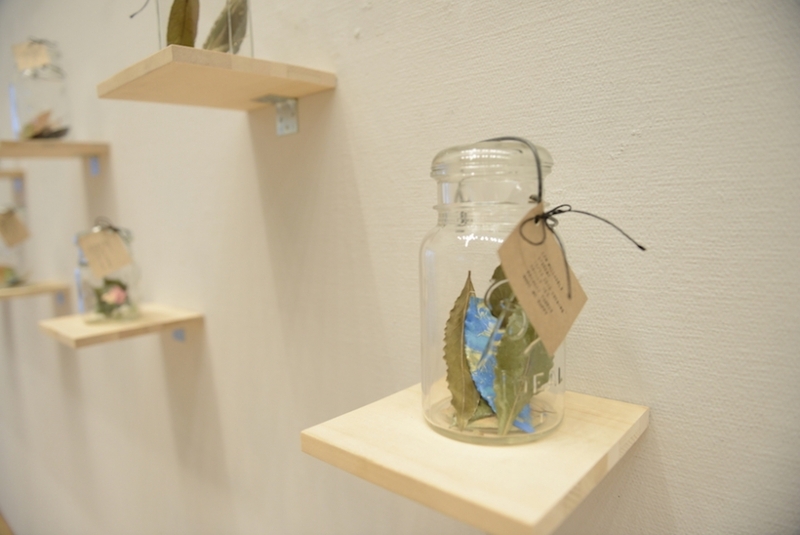 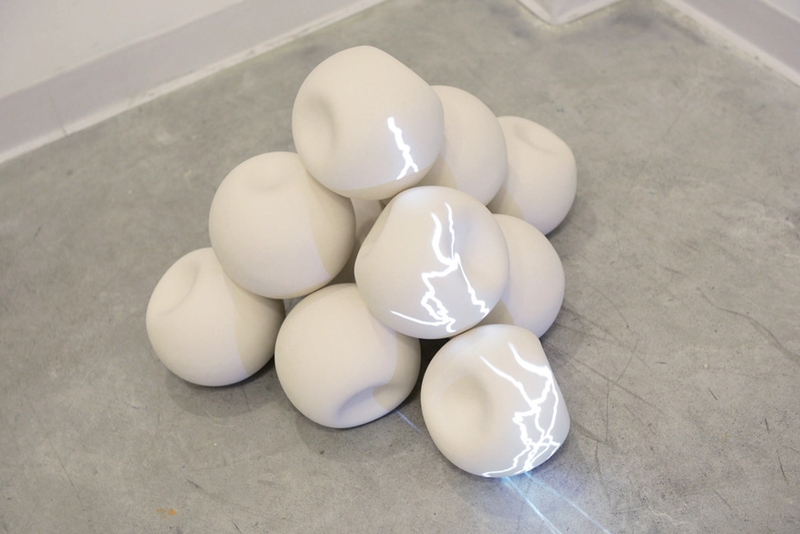 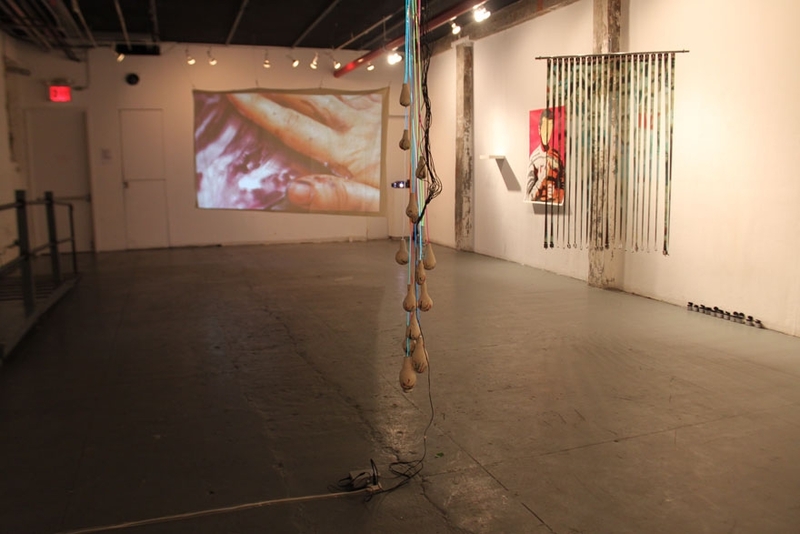 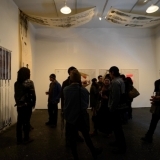 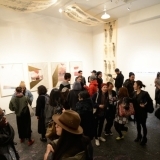 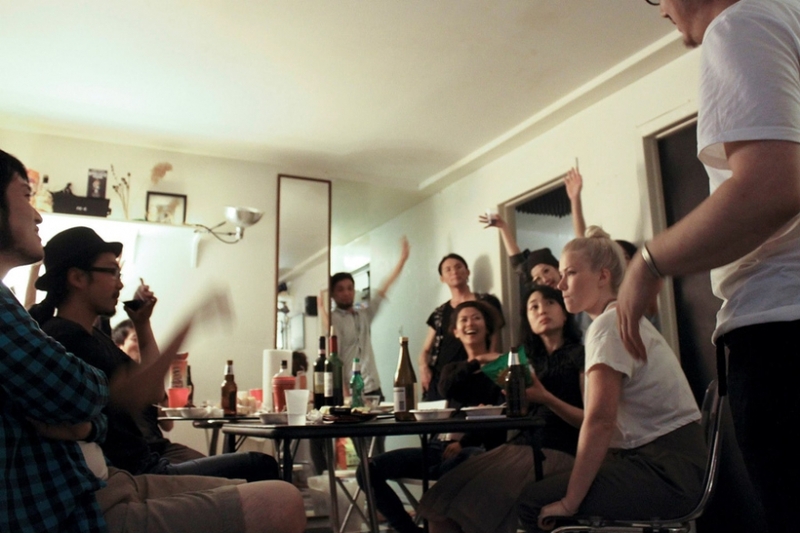 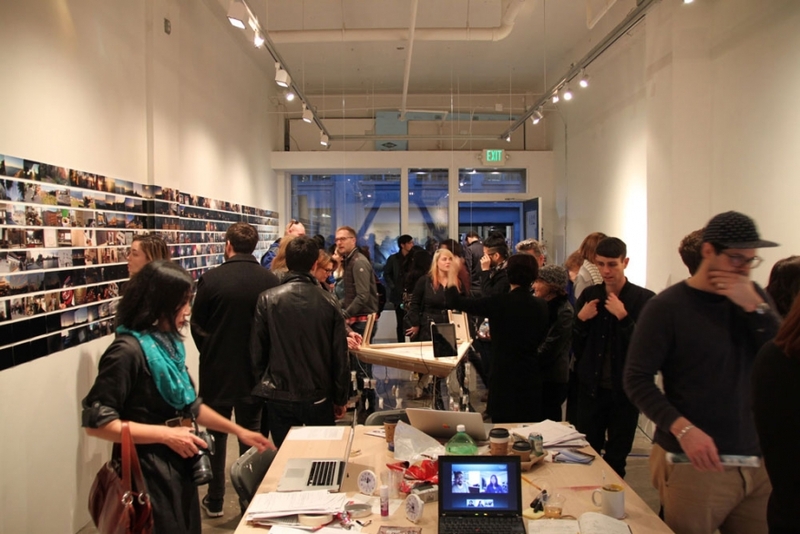 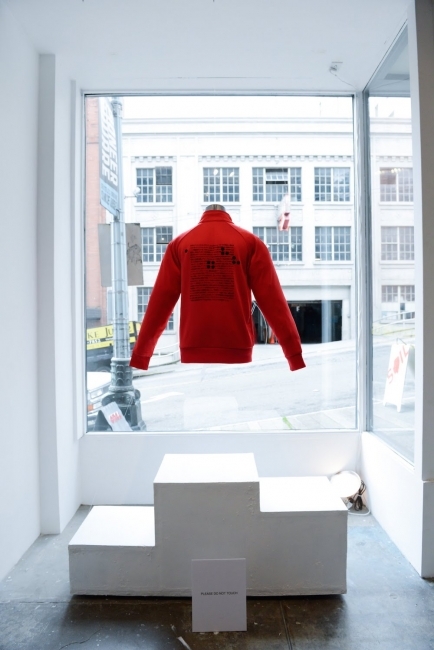 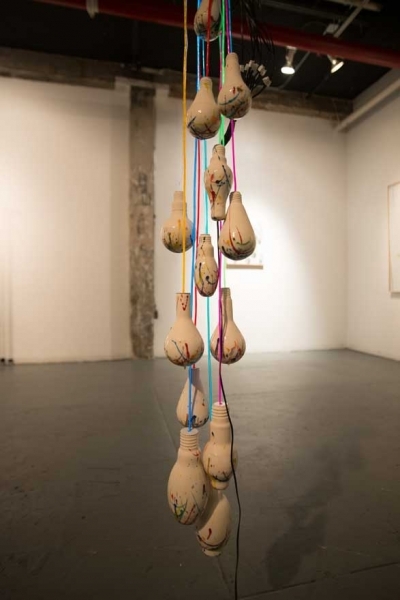 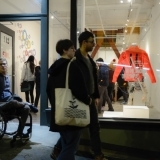 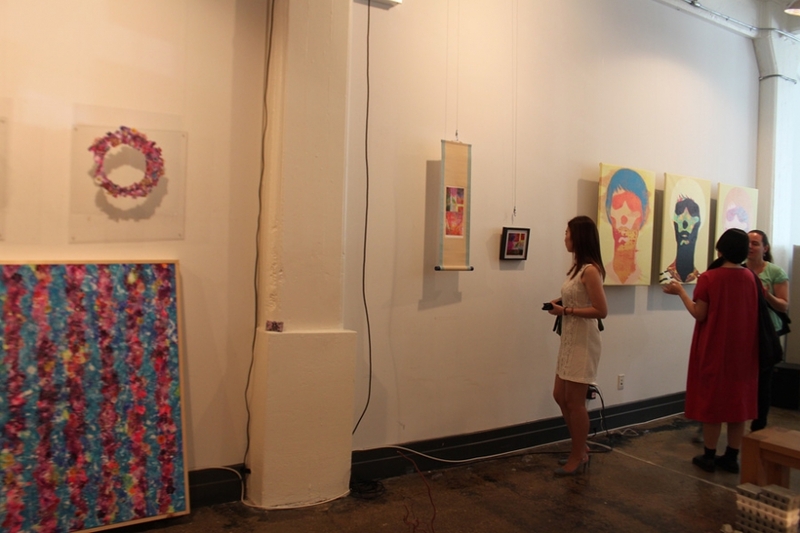 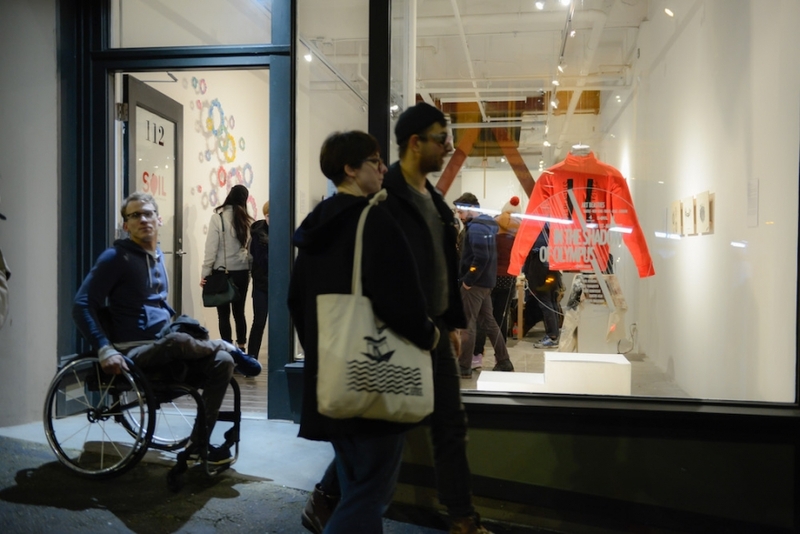 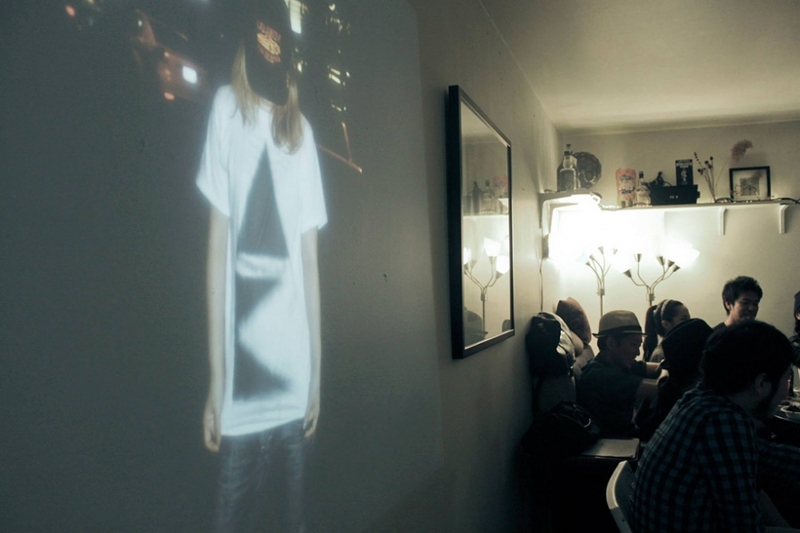 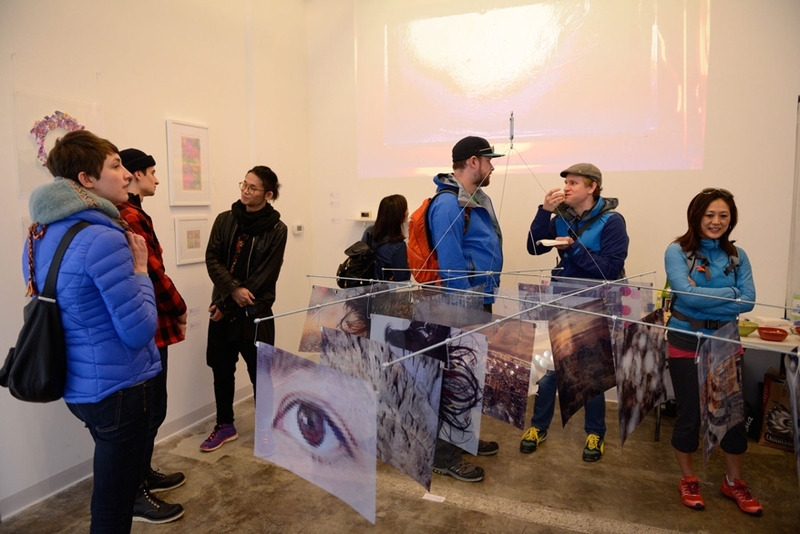 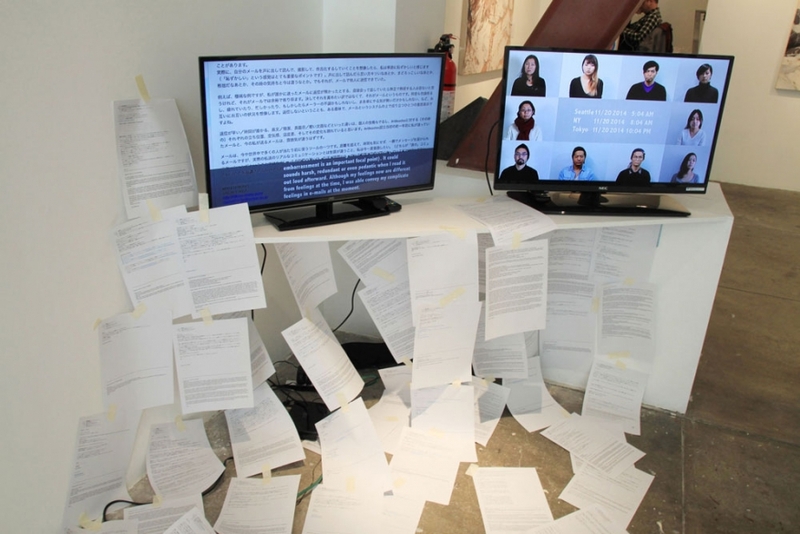 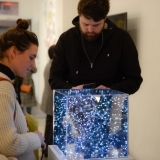 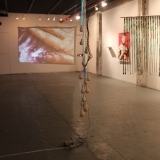 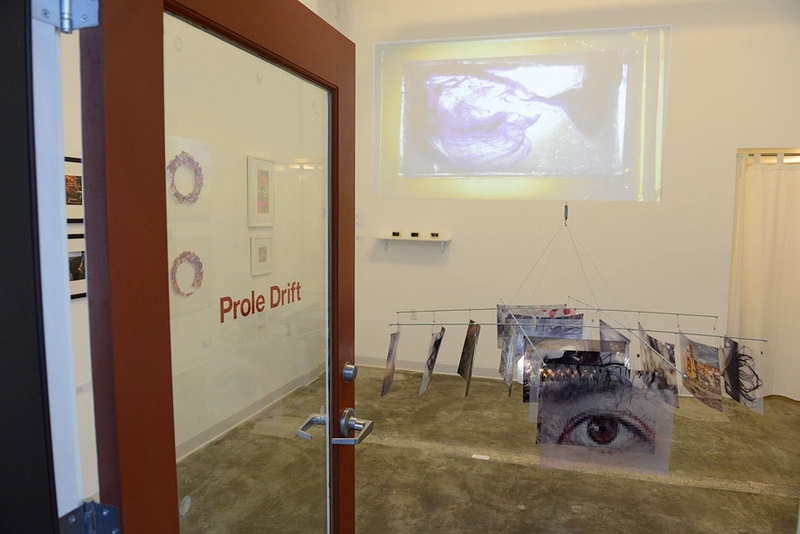 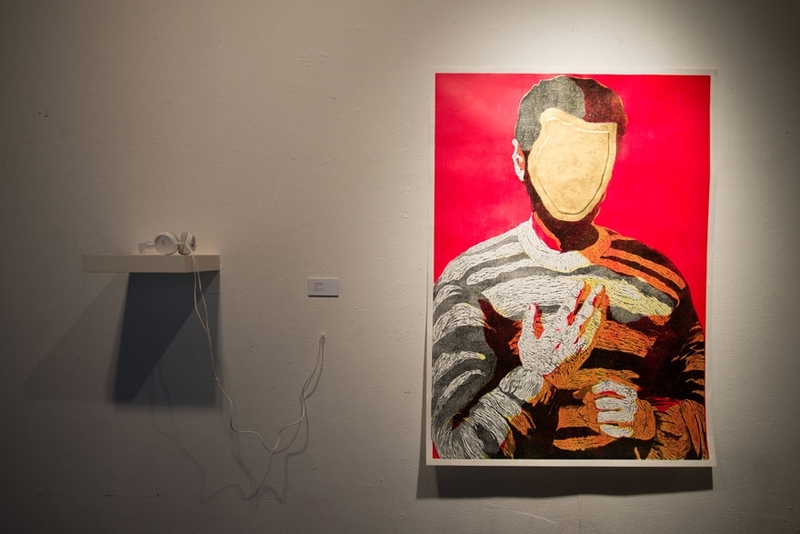 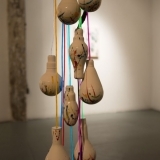 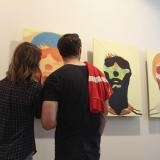 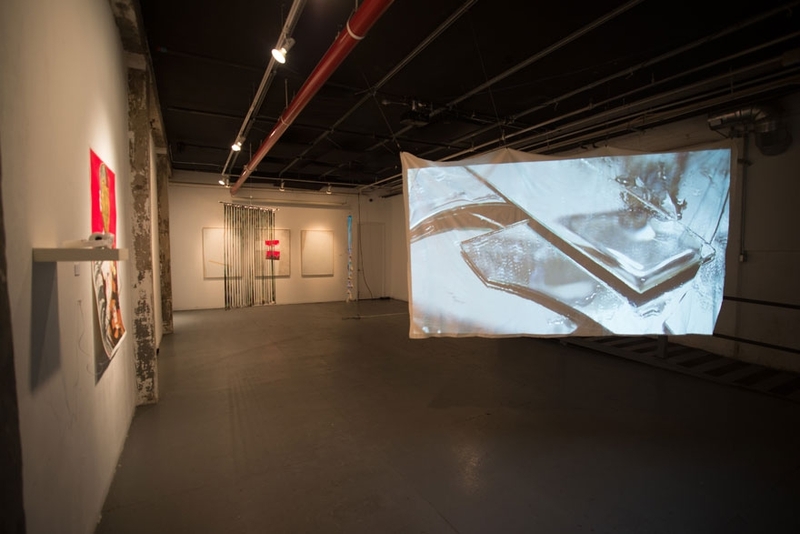 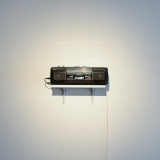 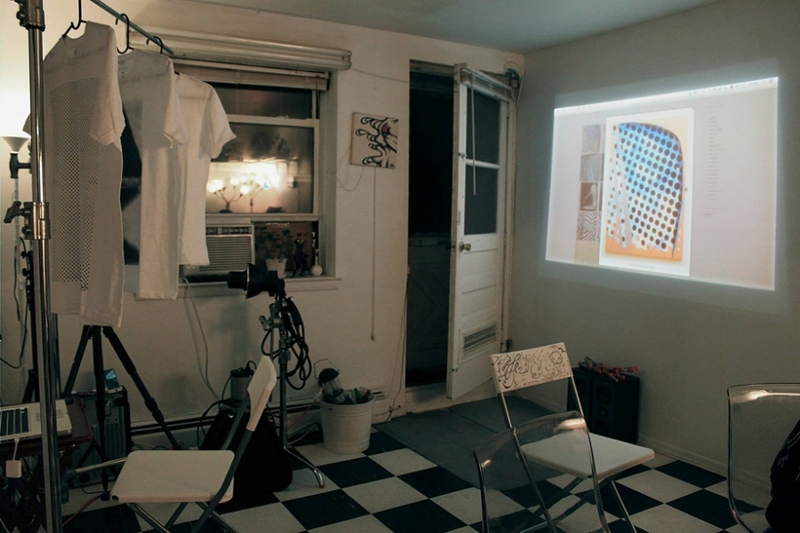 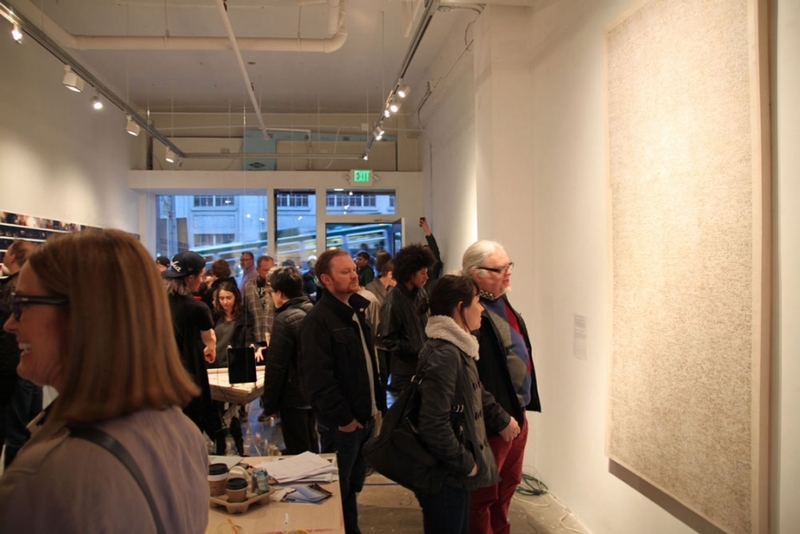 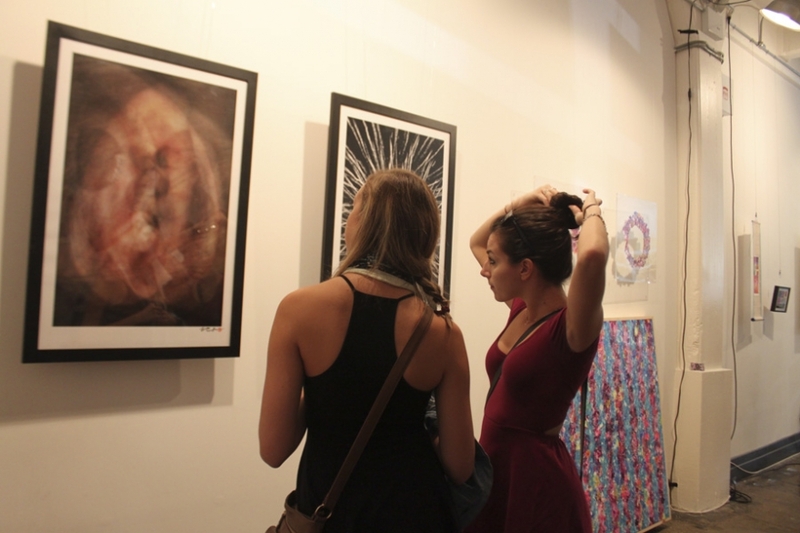 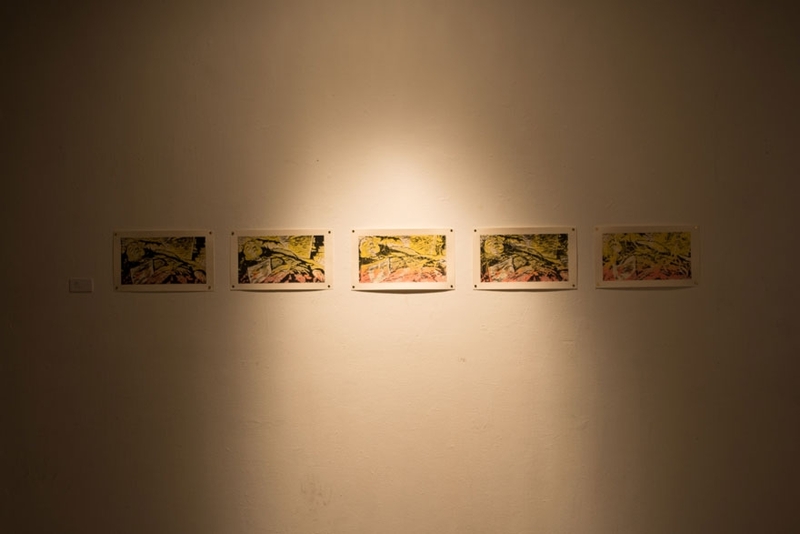 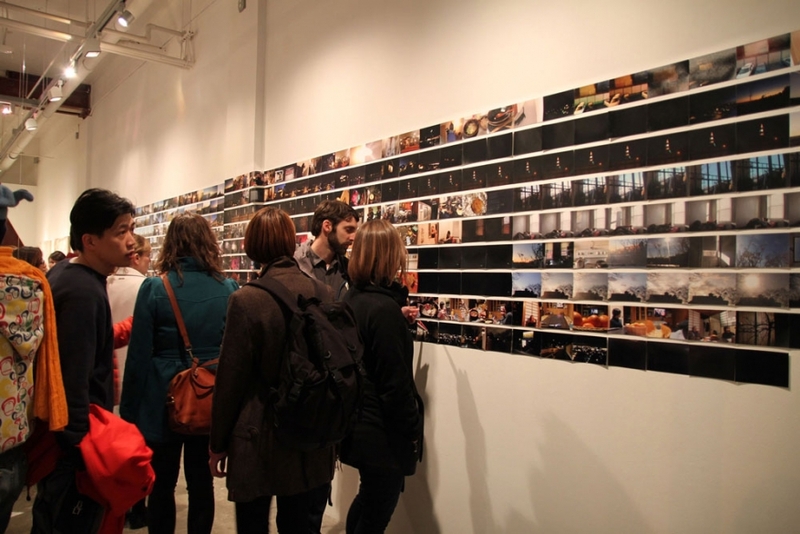 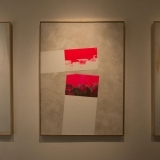 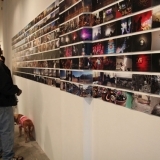 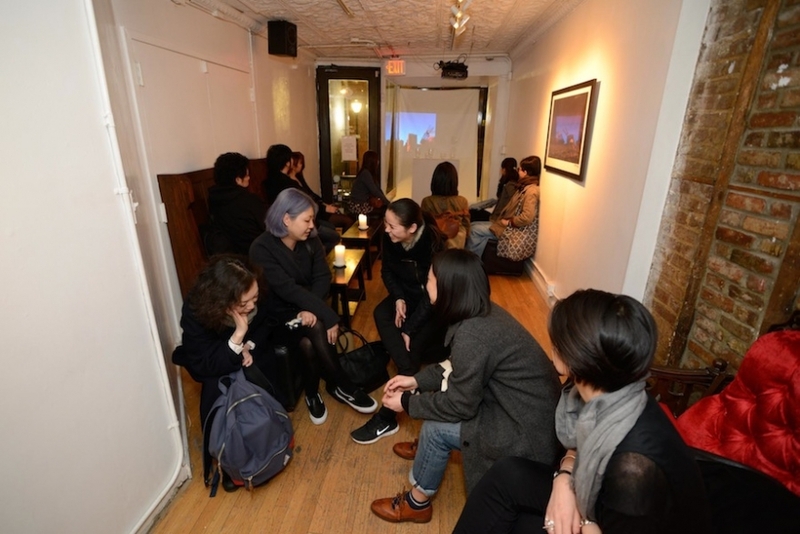 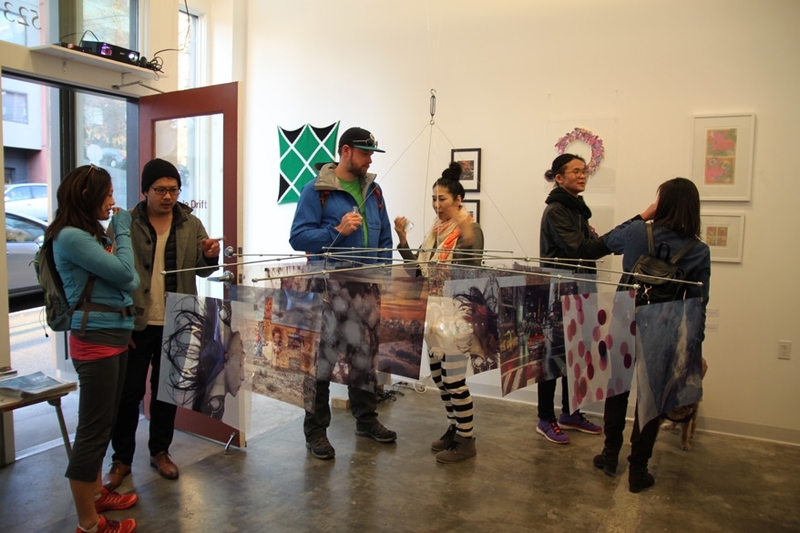 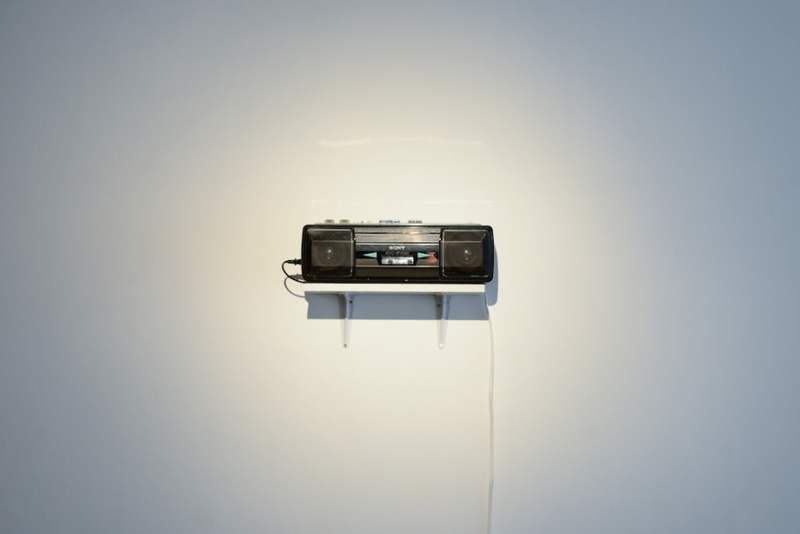 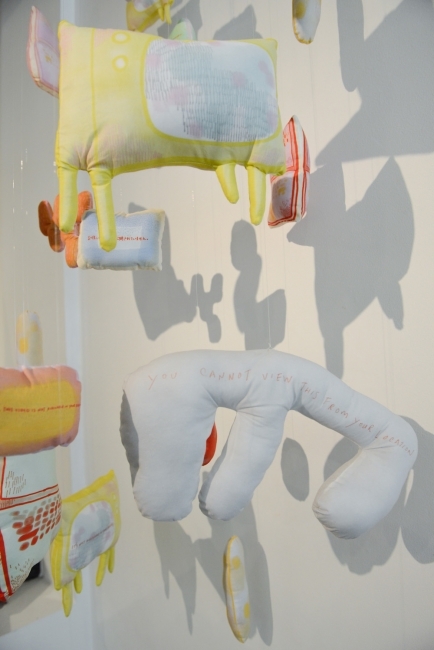 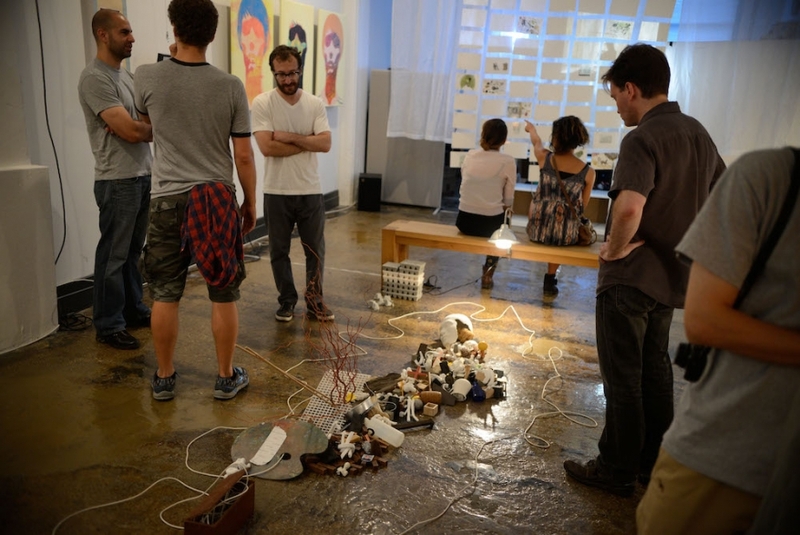 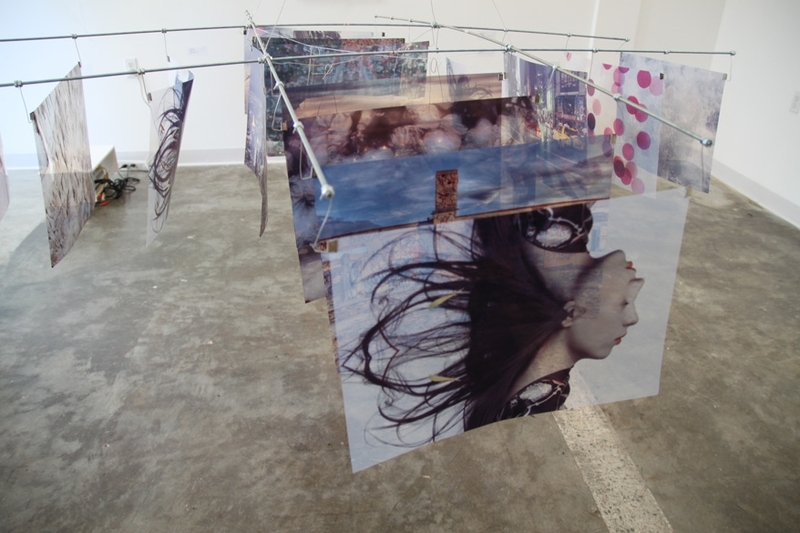 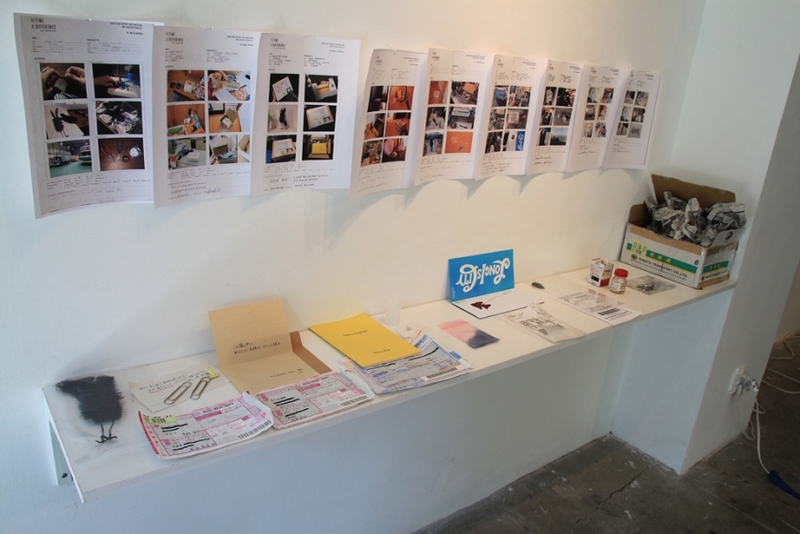 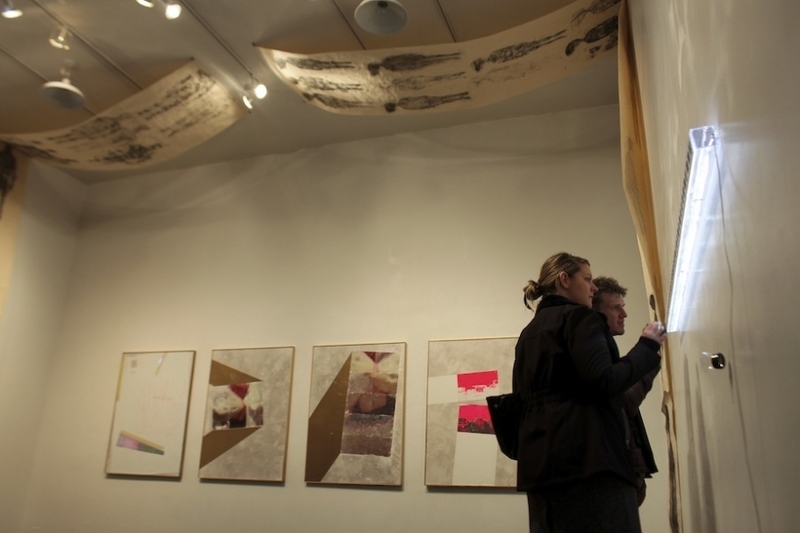 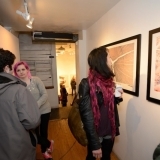 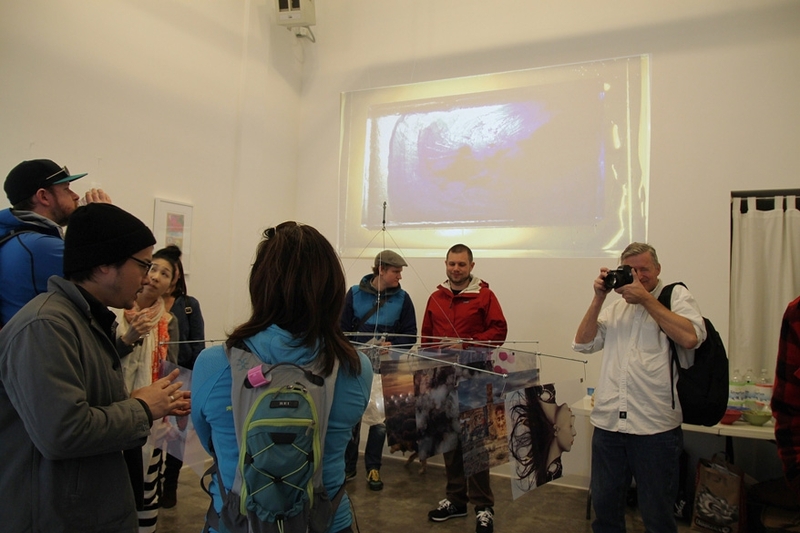 A concurrent pop-up show was held at Prole Drift Gallery. 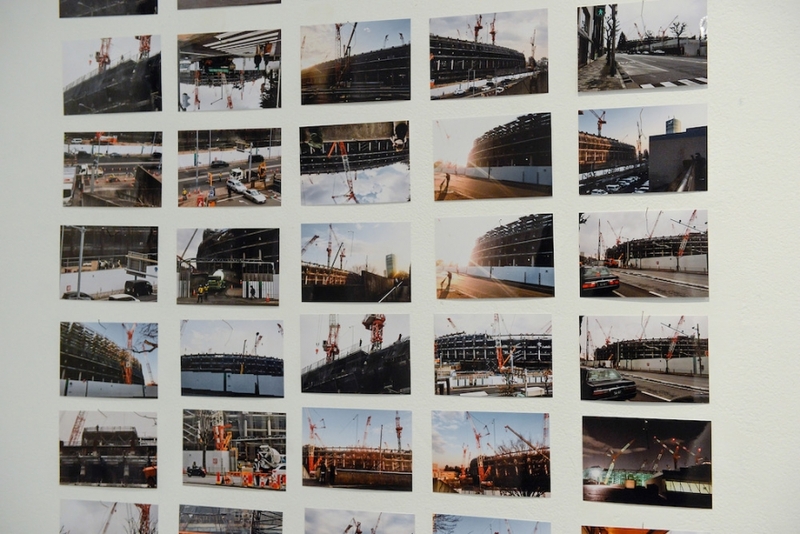 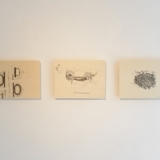 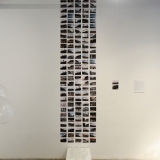 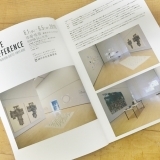 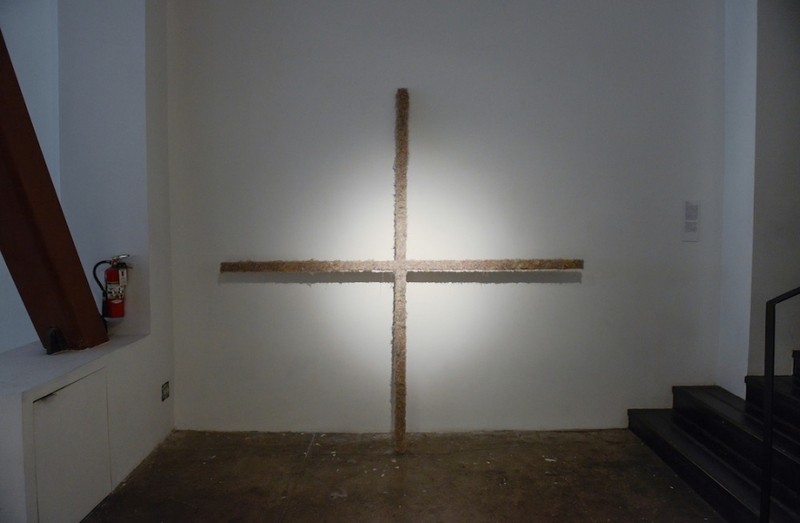 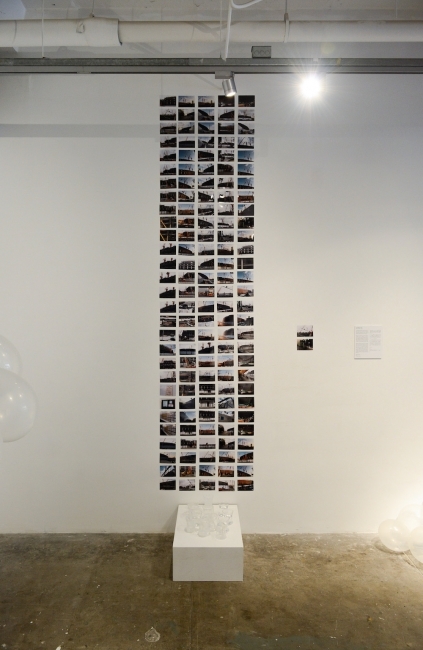 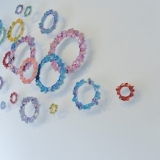 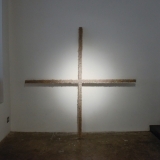 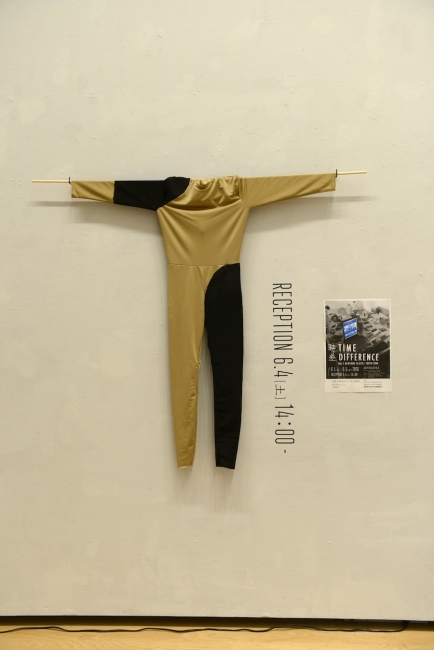 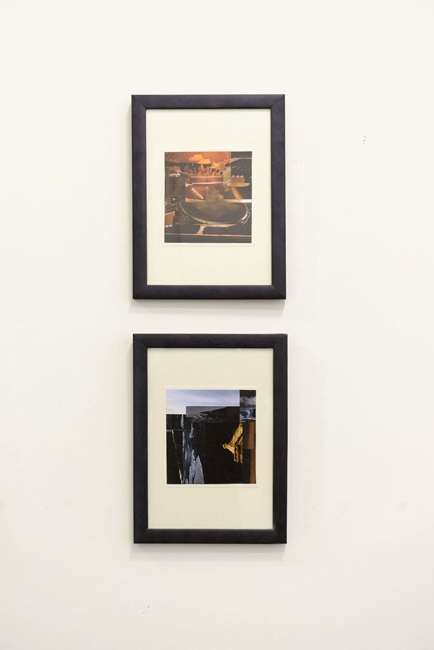 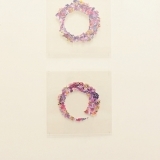 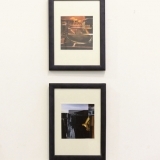 Reception Party 26th September ( Friday ), 6pm – 9pm. 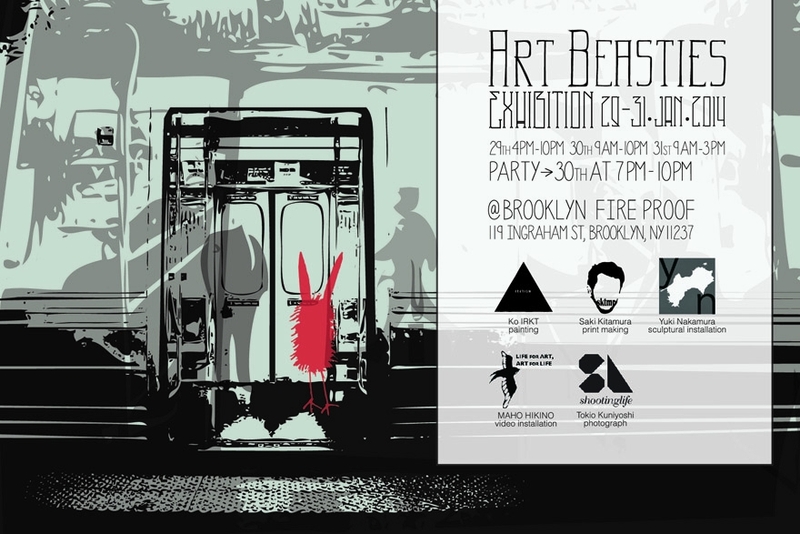 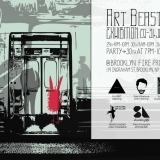 ART BEASTIES is pleased to announce a show and party to celebrate our first year Anniversary. 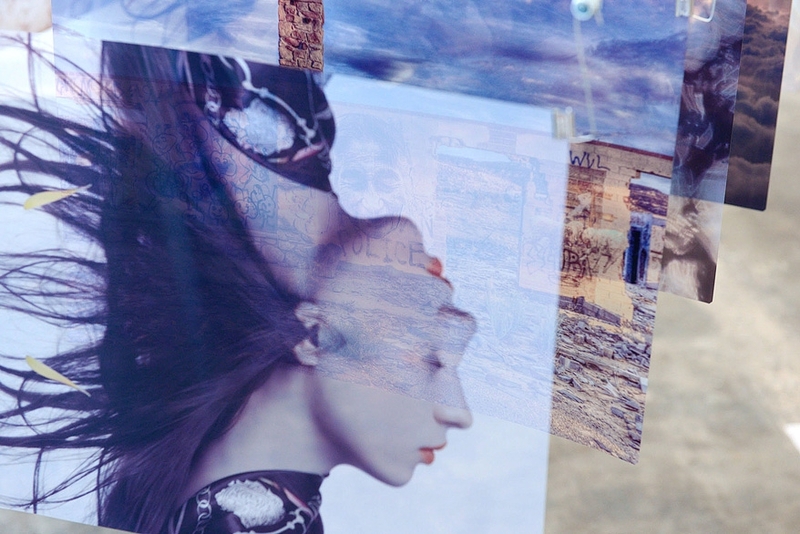 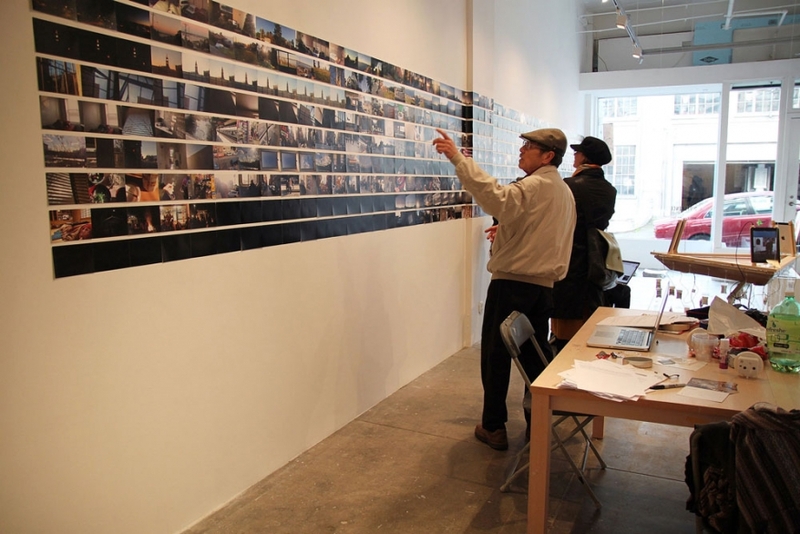 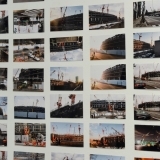 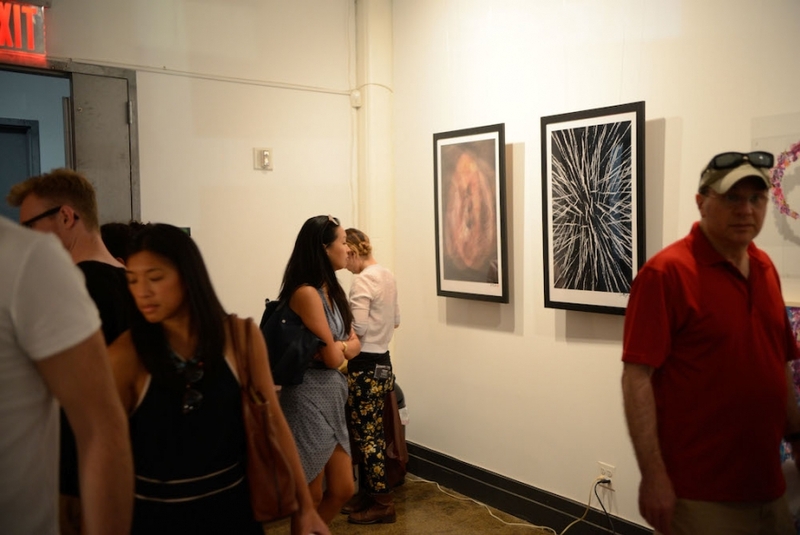 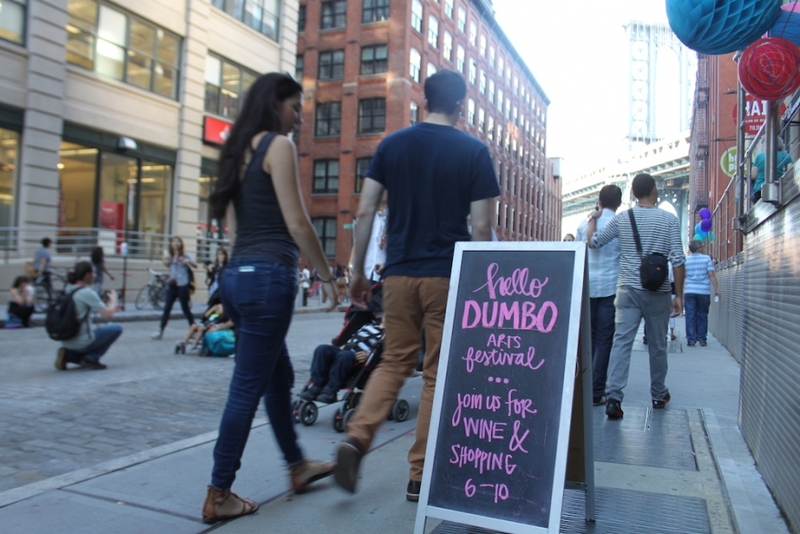 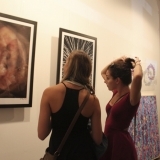 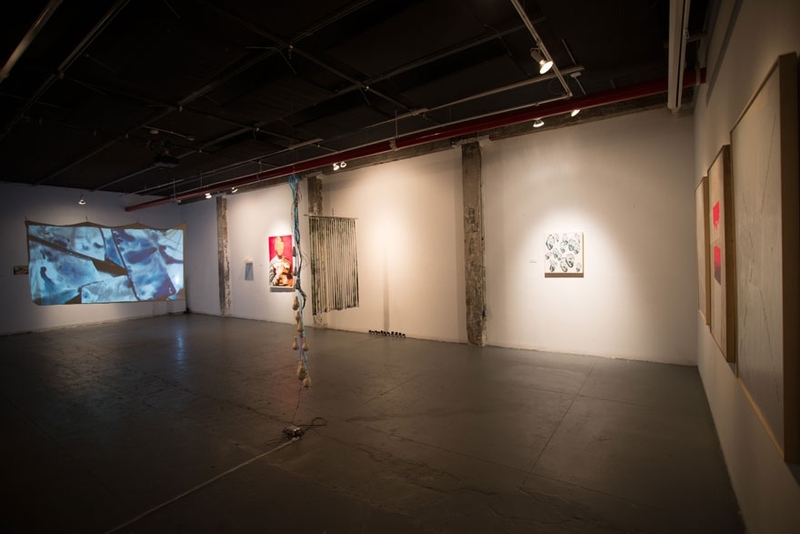 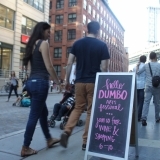 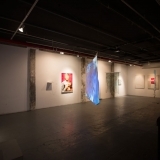 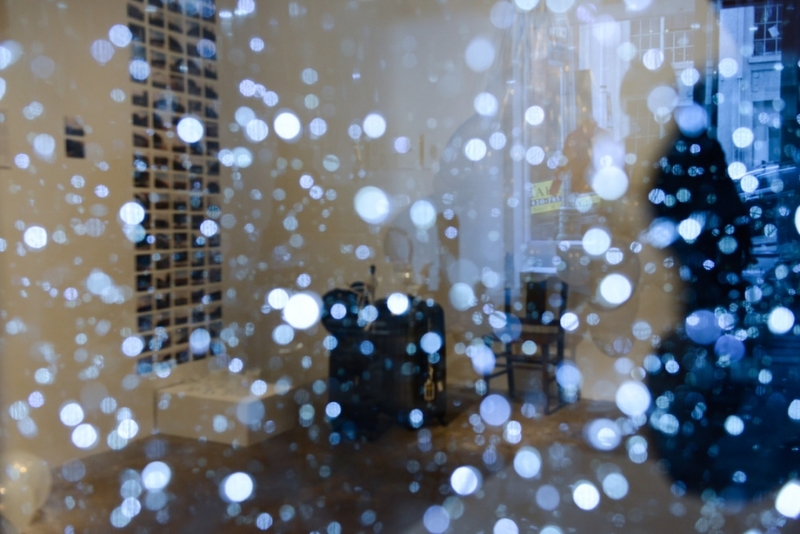 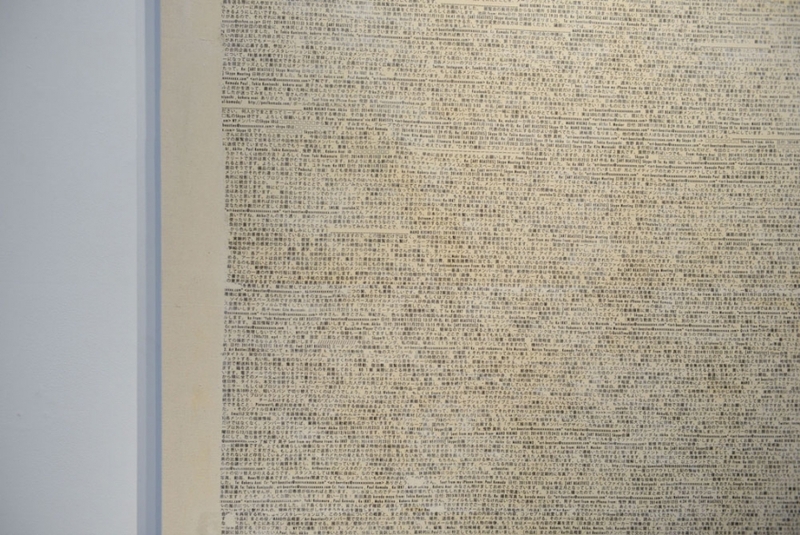 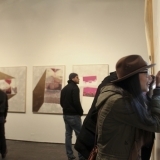 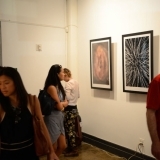 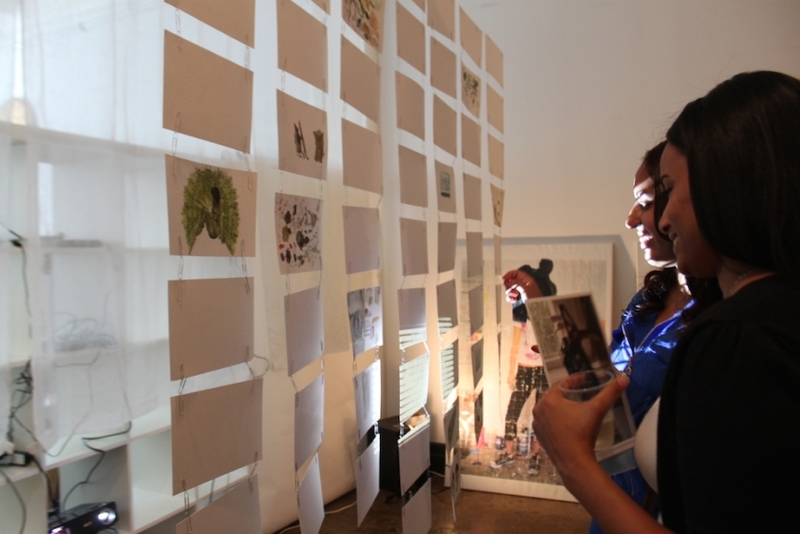 Visit our open studio show during DUMBO Arts Festival when more than 200,000 visitors gather in our neighborhood to experience the many artworks, studios, galleries and public art installations on view. 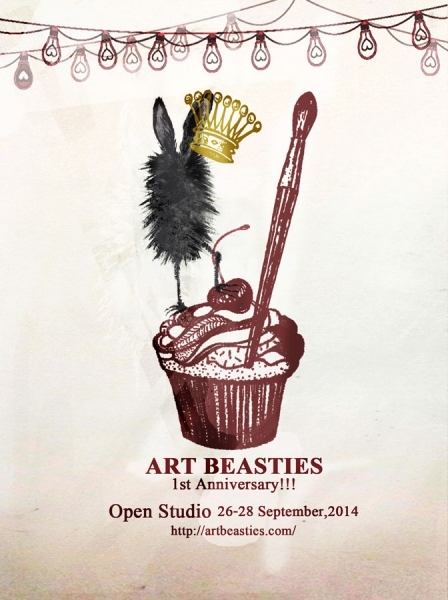 We will be hosting an open day on the 26th September 2014 to thank all our existing supporters, plus welcome new visitors to enjoy a party and the opportunity to talk about future plans and ideas about our new experimental works – painting, photography, video installation, woodcut print and mixed media works and much more. 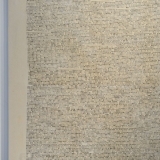 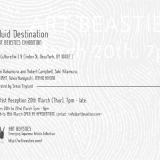 Artist Reception 20th March ( Thursday ), 7pm – late. 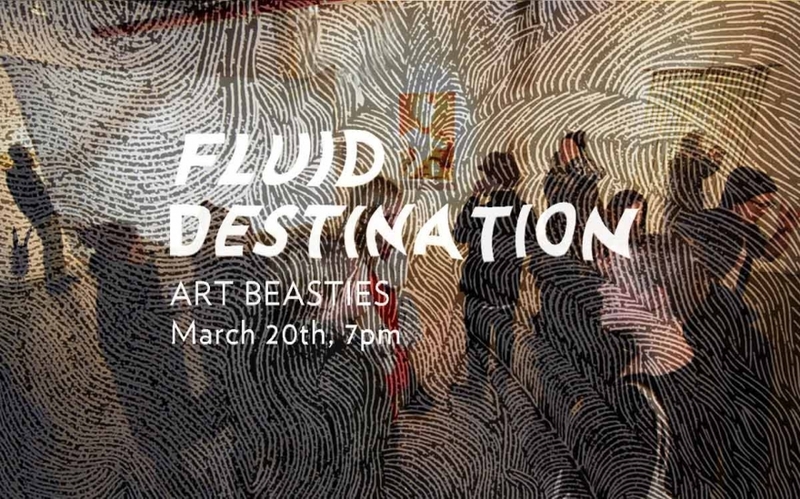 Art Beasties welcomes you to join us at Culture Fix for our second show, Fluid Destination. 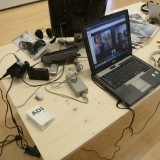 The effects of a global world and a global identity are prevalent in our daily lives; we live half of it online, and many of us spend the other half in flux between two countries or two cultures. 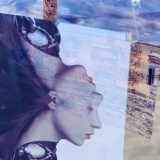 In order to establish ourselves as members of a global community we must constantly flow and change; deciding whether to take the shape of our surroundings like water in a vase, or whether to extend our identity to contain new ideas of who we are and our live, constantly leaving traces of ourselves as we travel, and leaving things behind to discover new experiences. 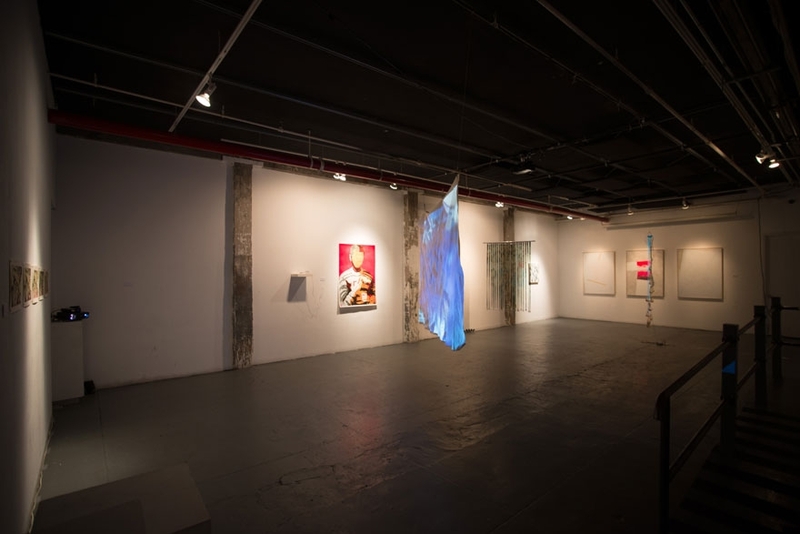 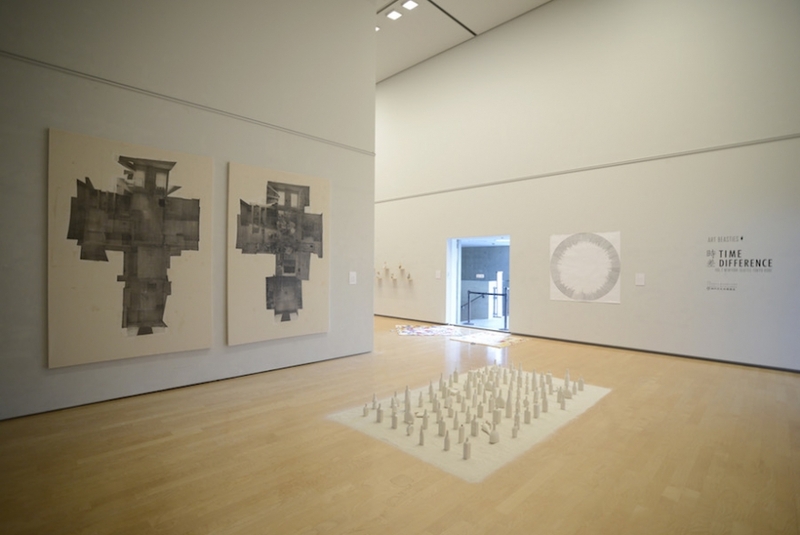 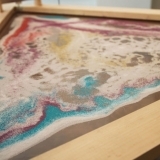 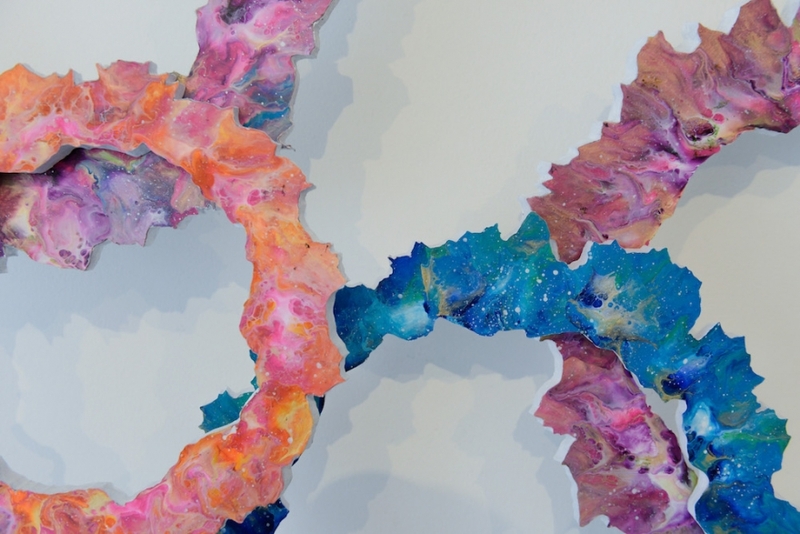 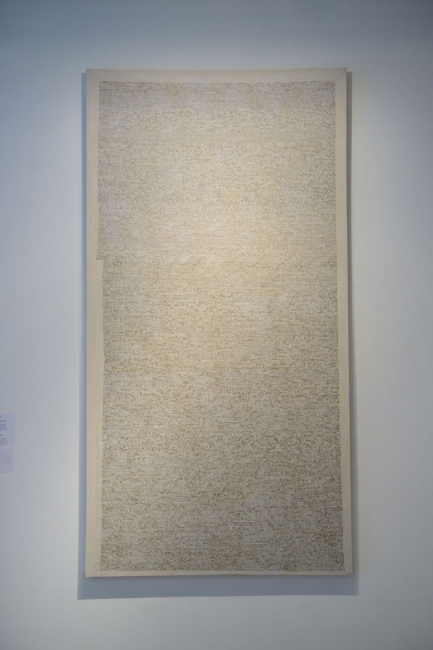 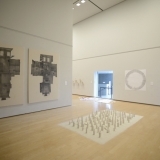 For this show we ask our participating artists to meditate on the fluidity of their work and their experiences, bringing forth a personal and inspired expression of the implications of living globally. 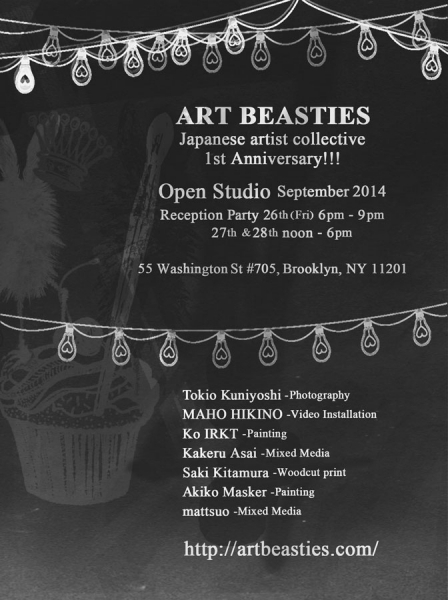 Introducing Art Beasties: a Japanese artist collective working in NYC. 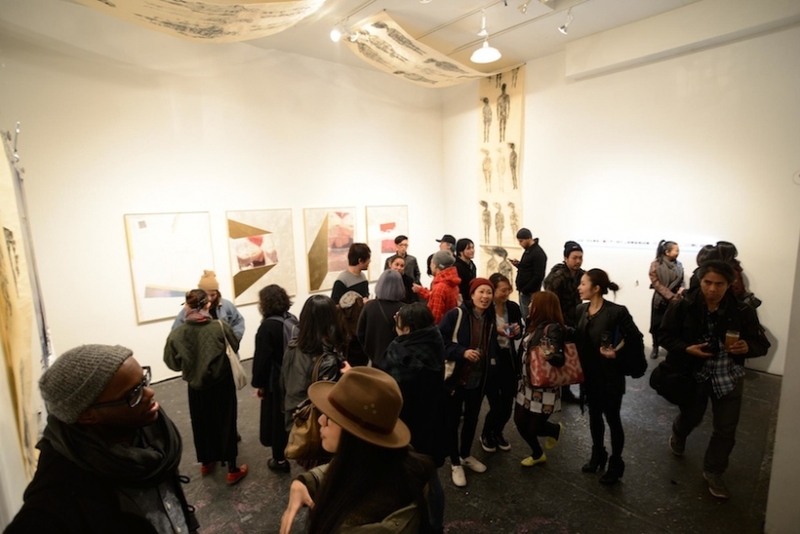 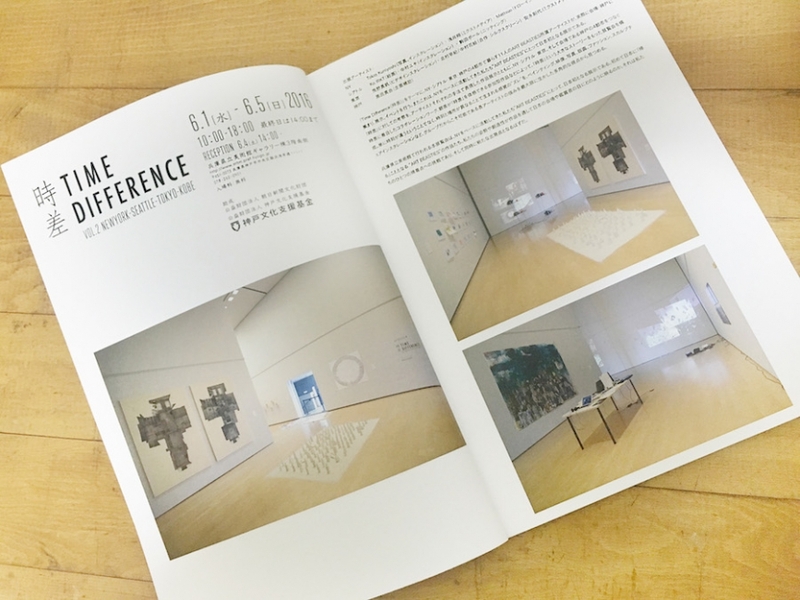 Join us to celebrate the start of a collective that strives to broaden and deepen the understanding of contemporary Japanese art, promoting individuality and diversity of esthetics. 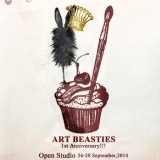 Copyright© 2016 by ART BEASTIES•All images and content remain the © of their rightful owners.